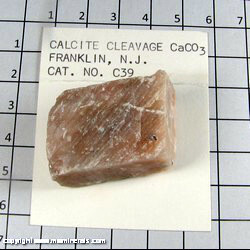 with the indicated first letters. 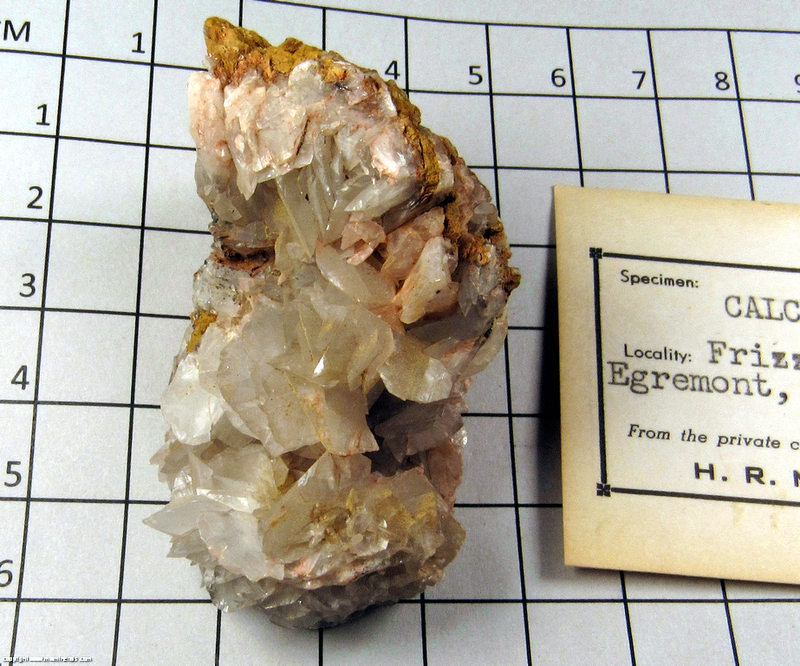 These discounts apply only to the E series specimens and cannot be combined with either thumbnail specimens or specimens with dedicated webpages. 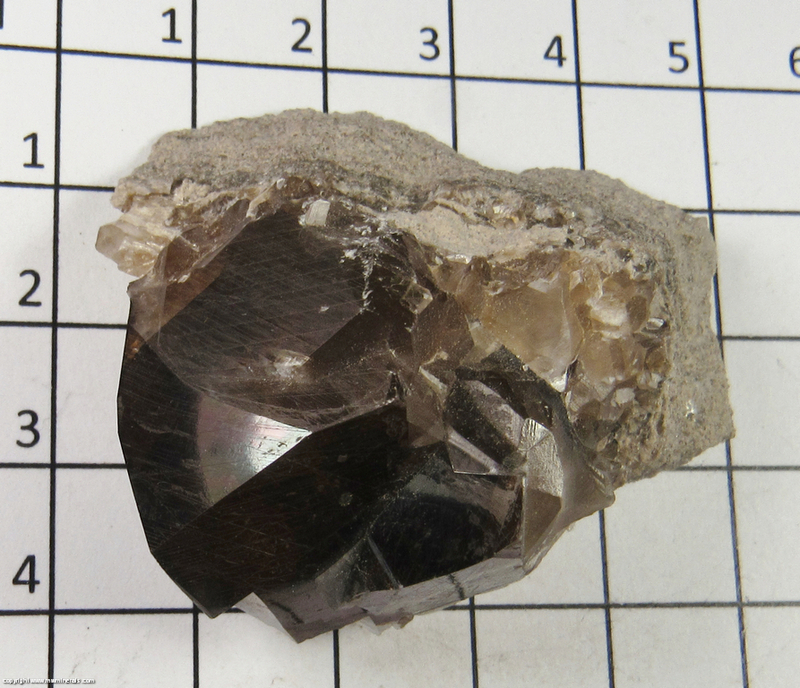 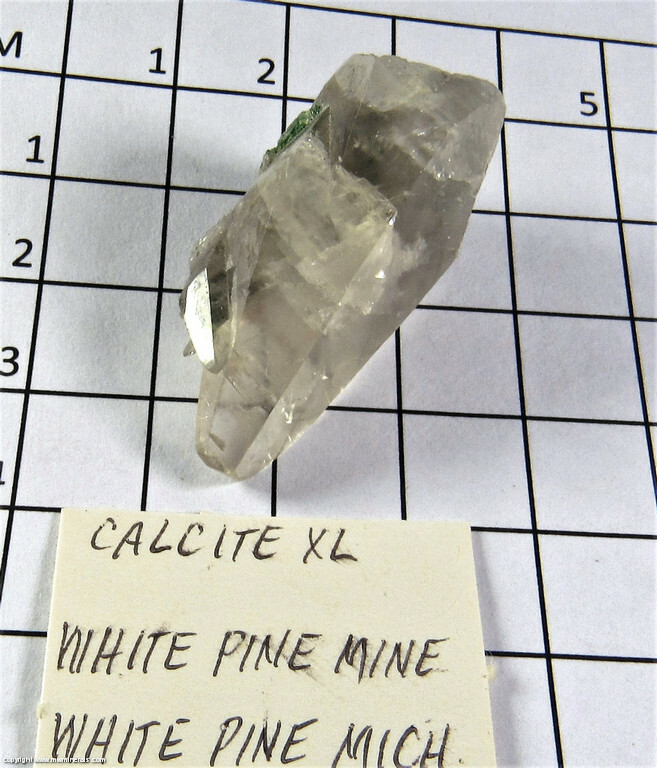 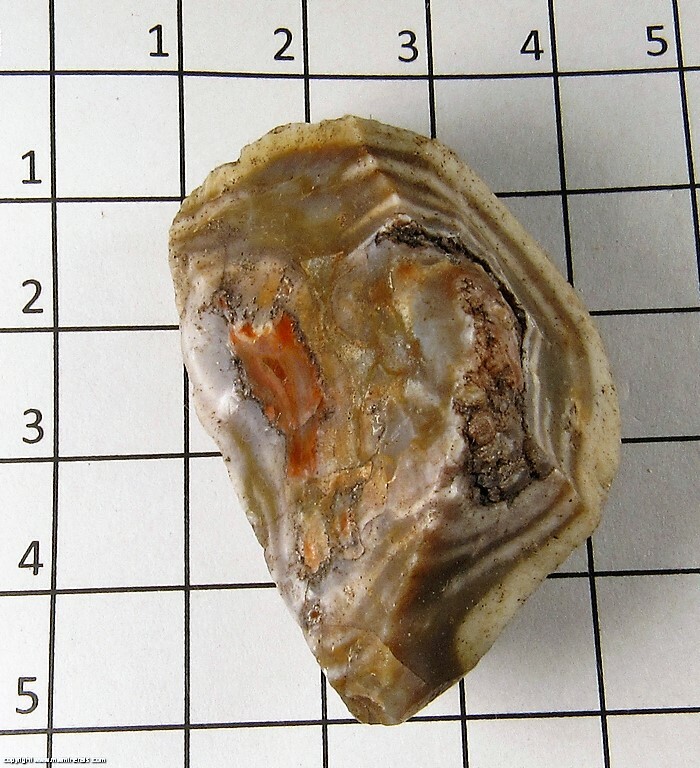 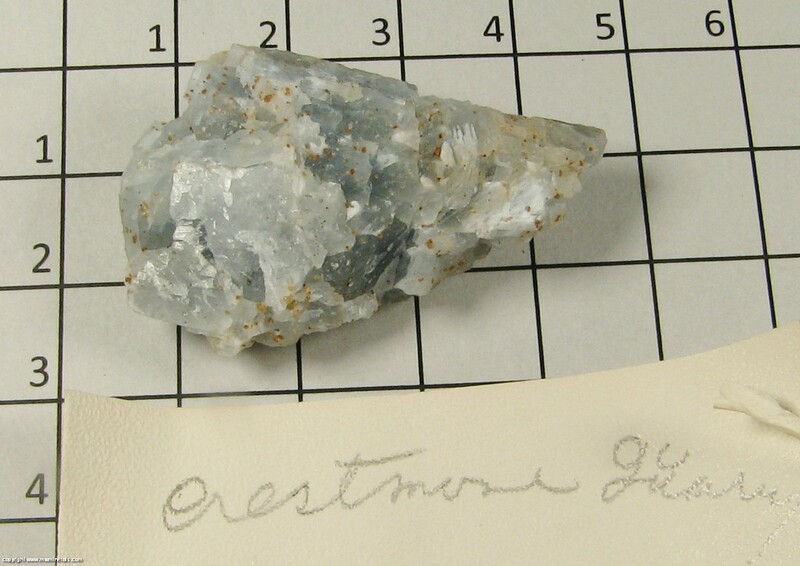 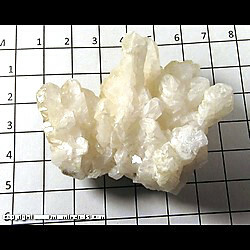 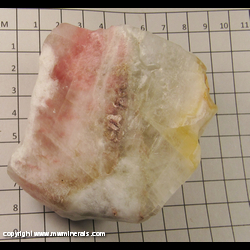 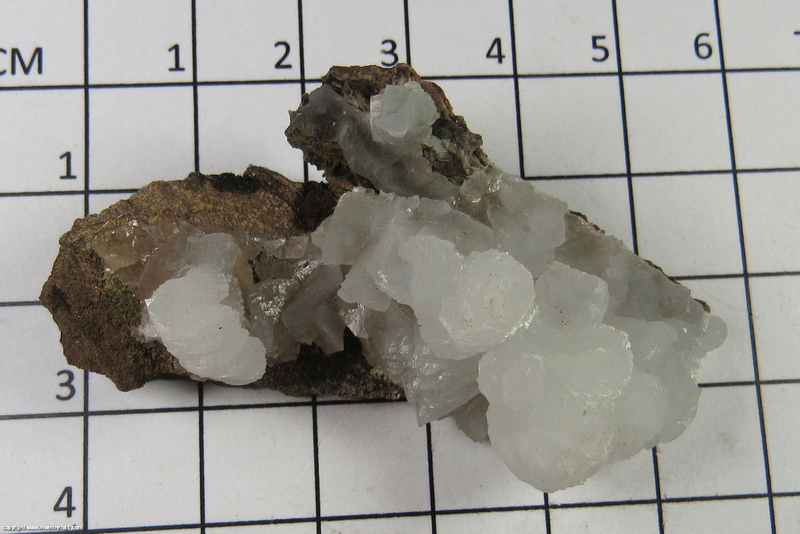 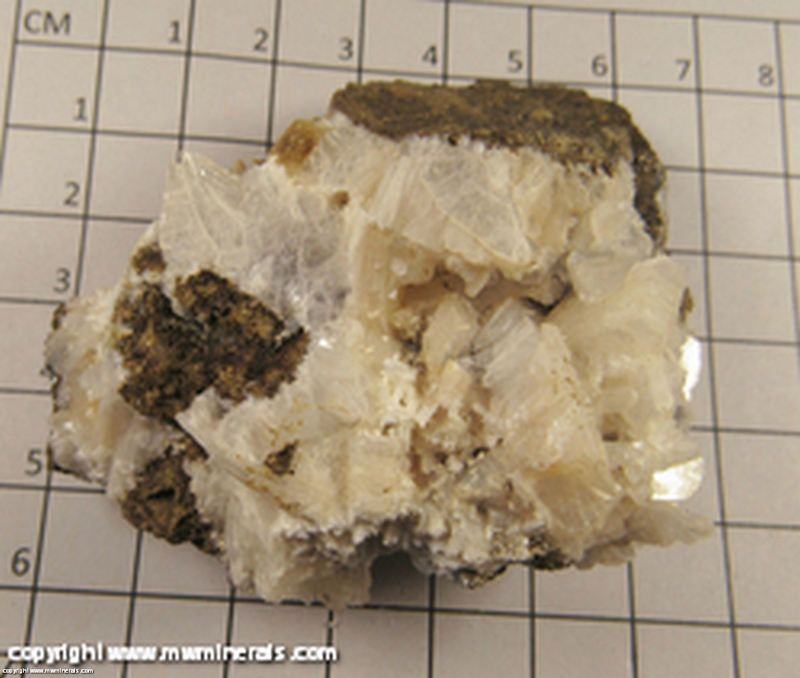 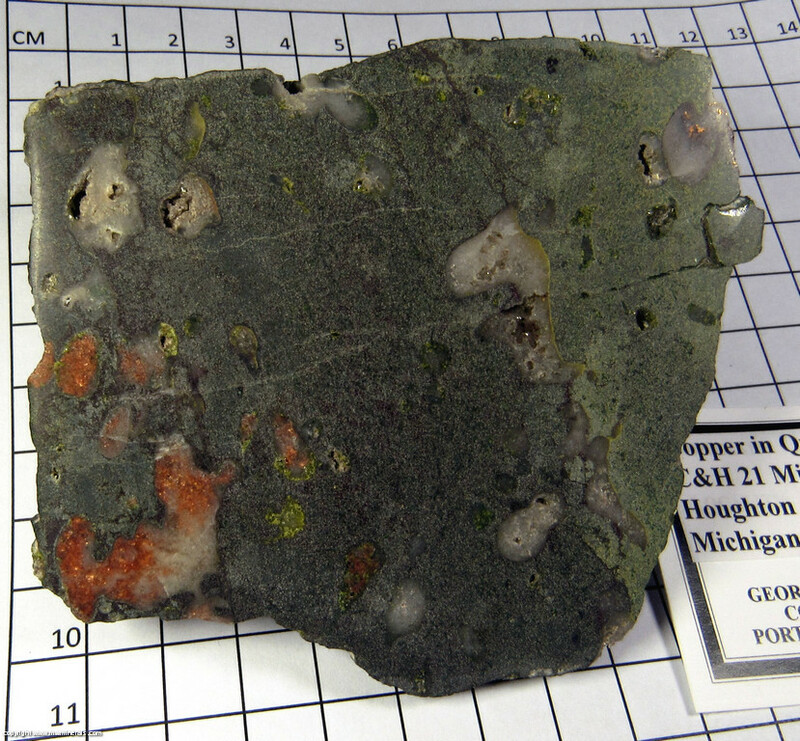 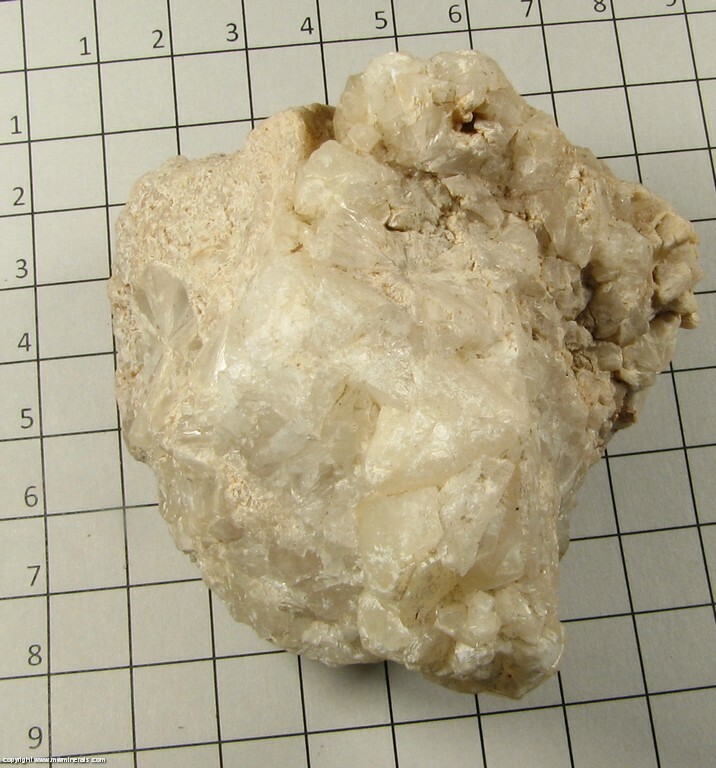 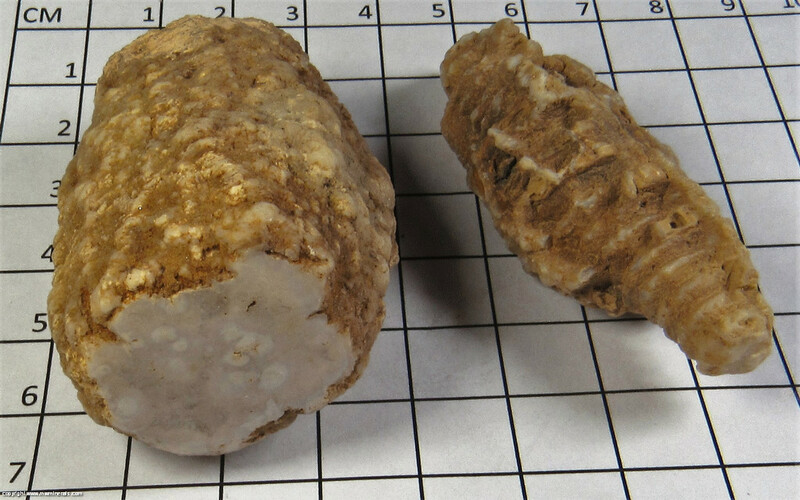 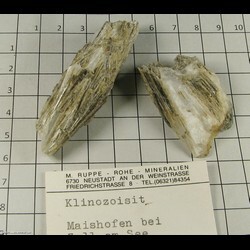 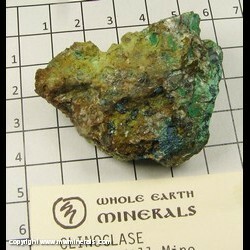 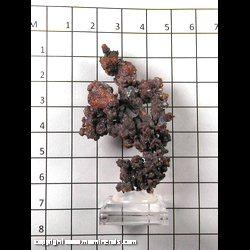 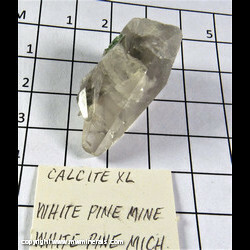 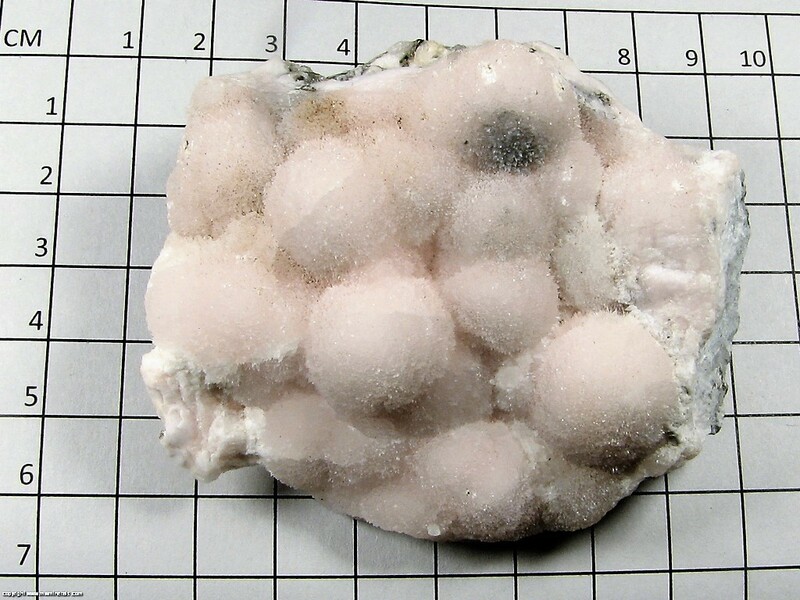 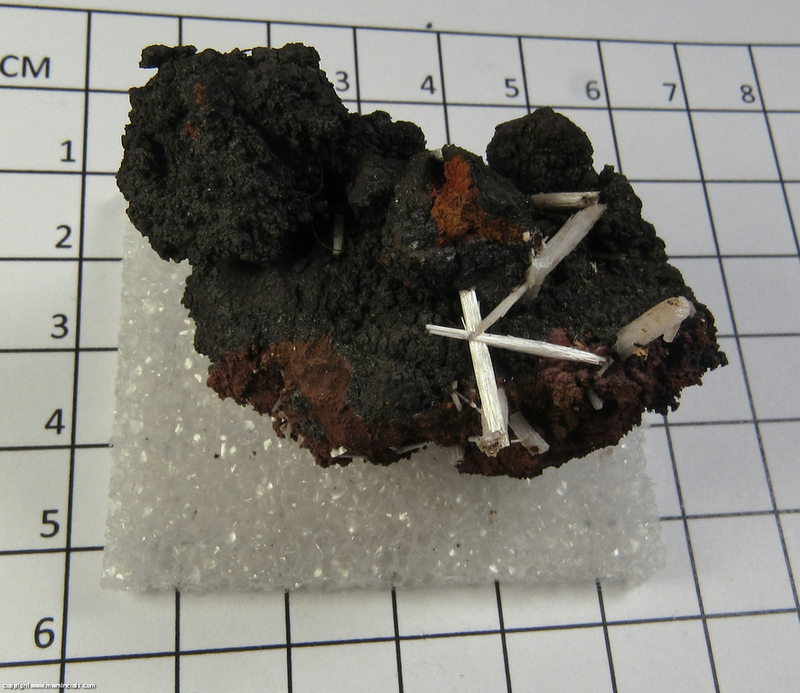 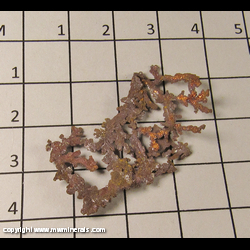 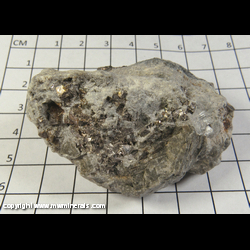 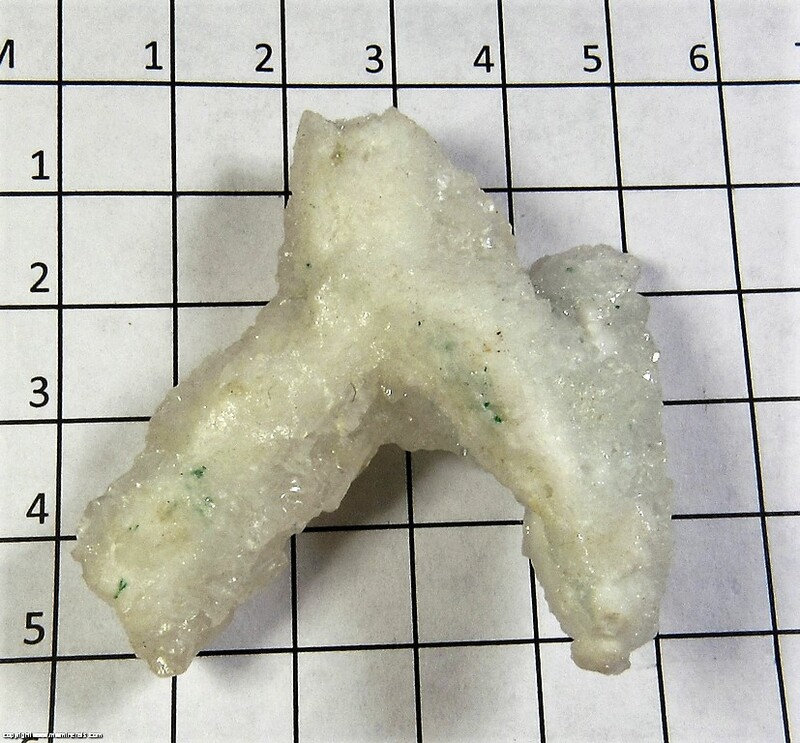 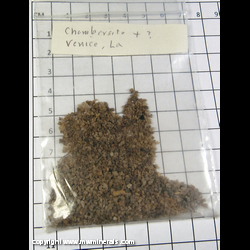 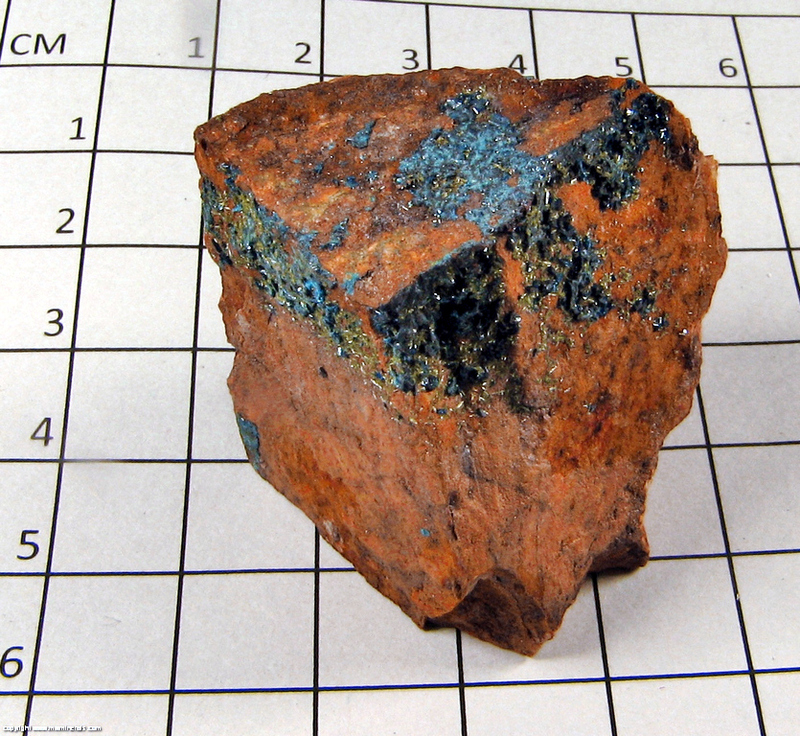 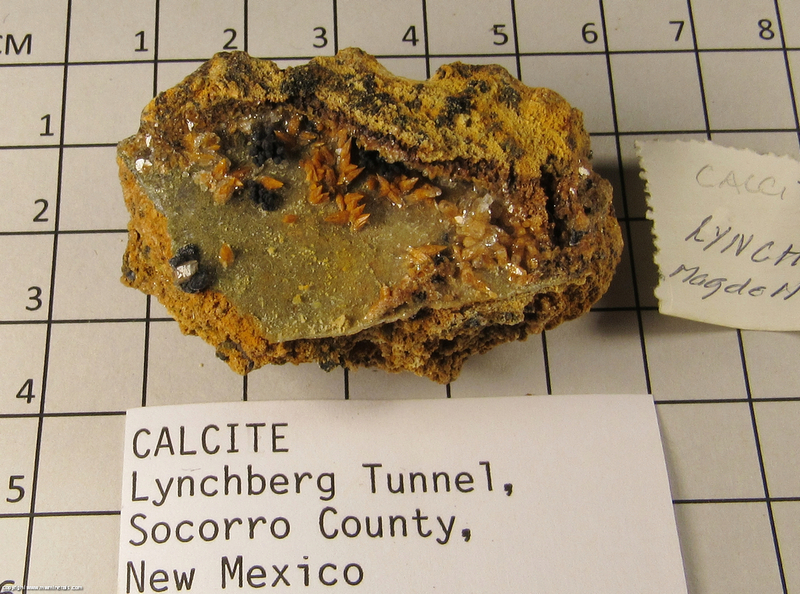 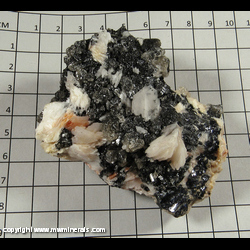 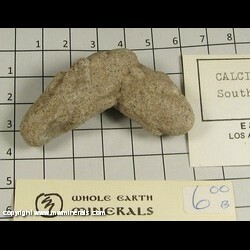 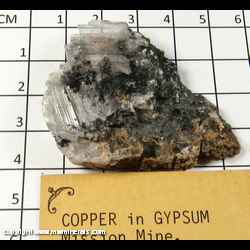 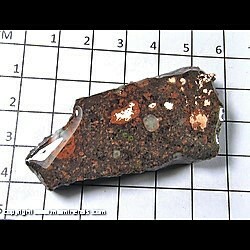 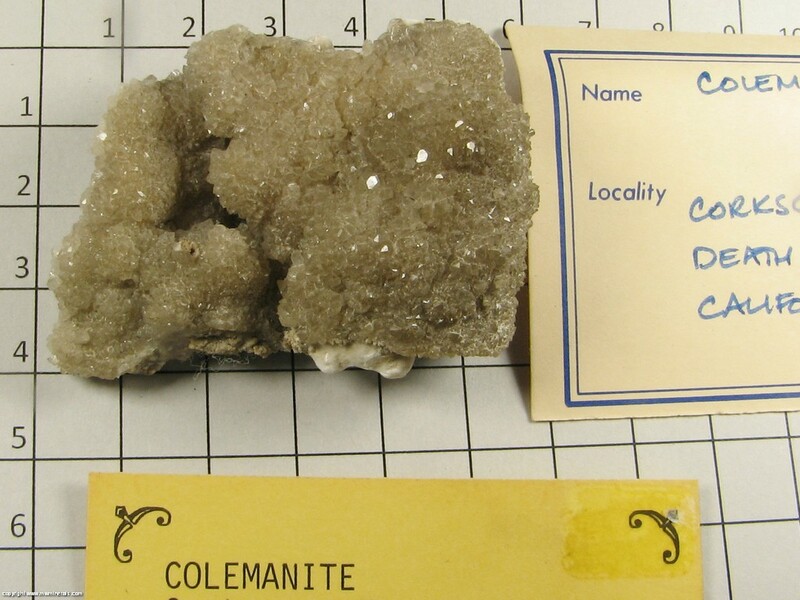 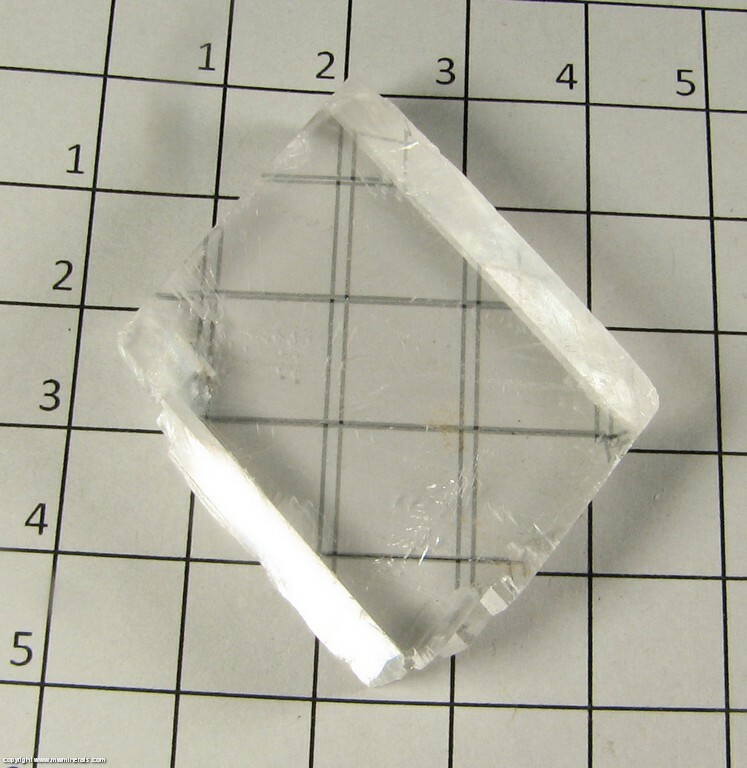 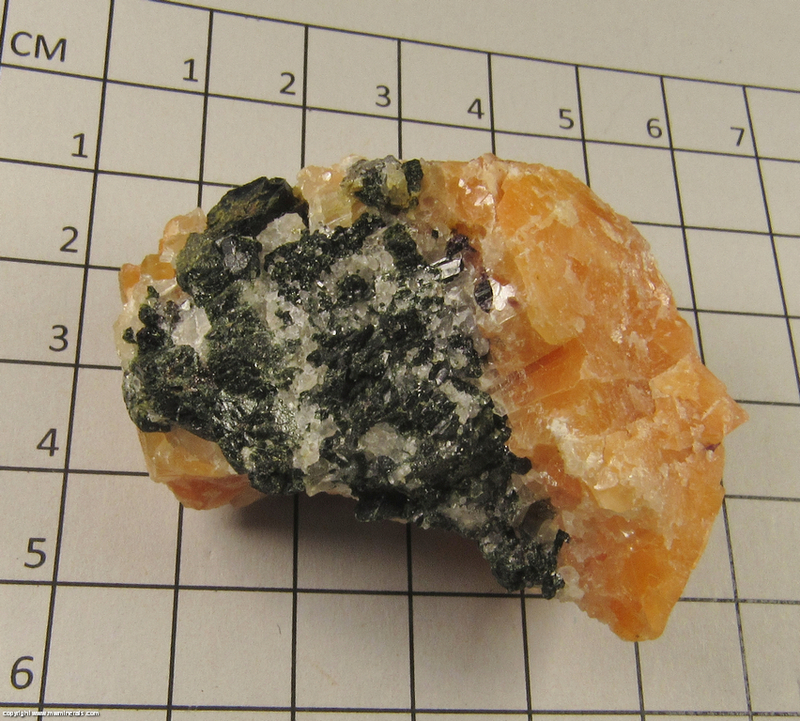 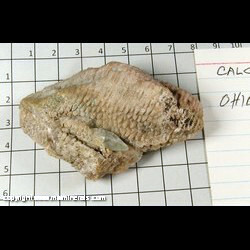 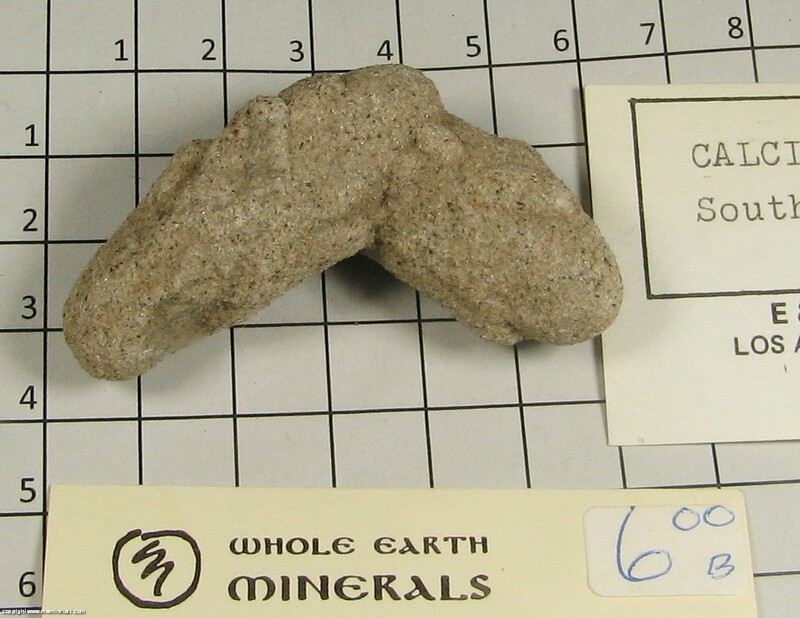 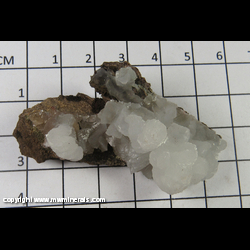 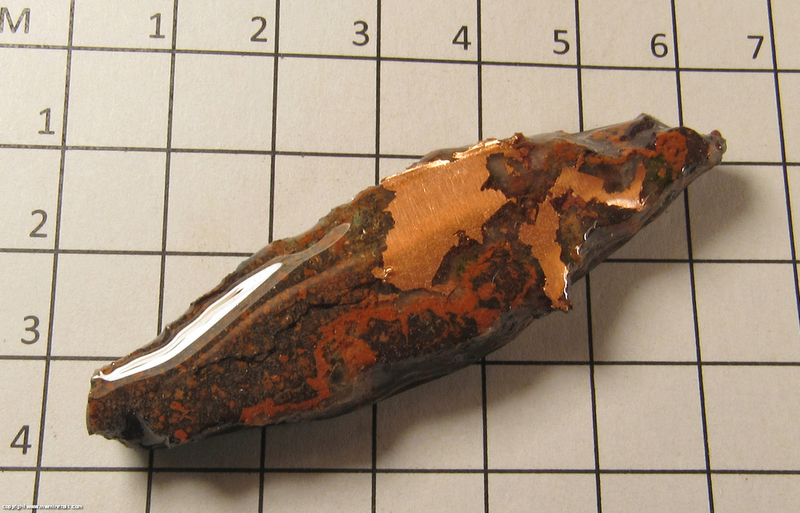 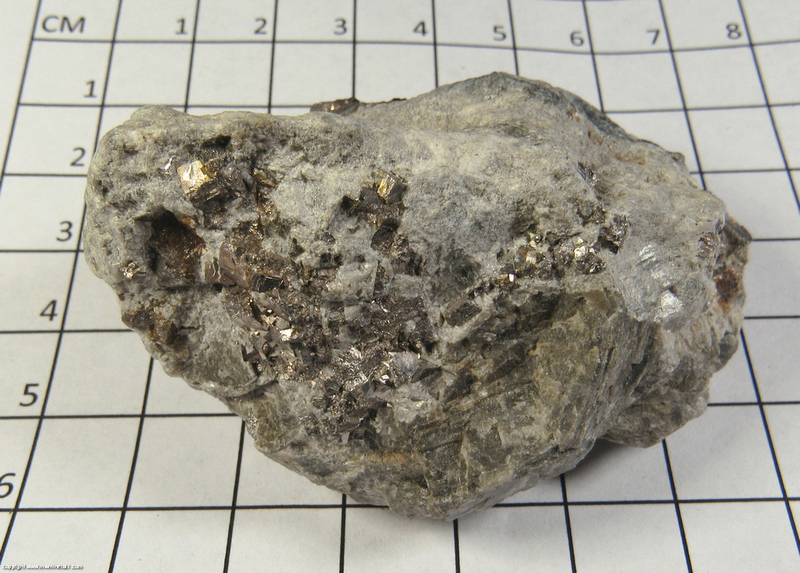 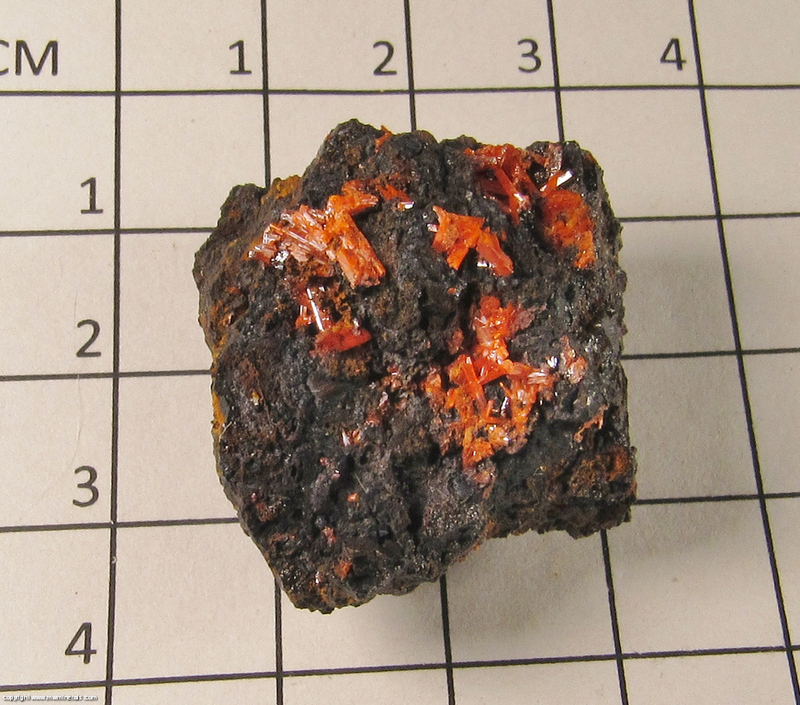 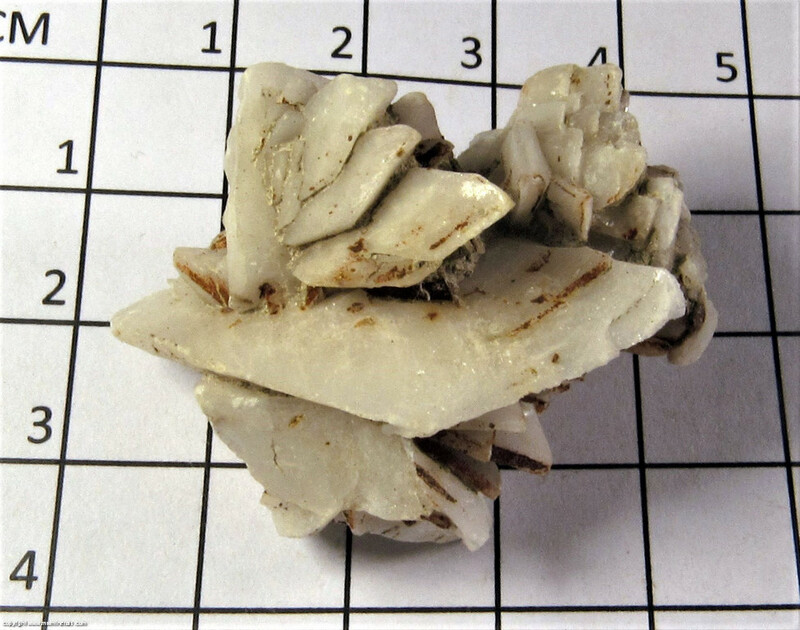 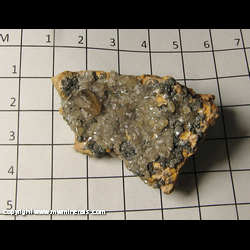 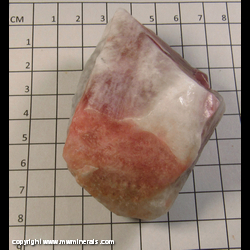 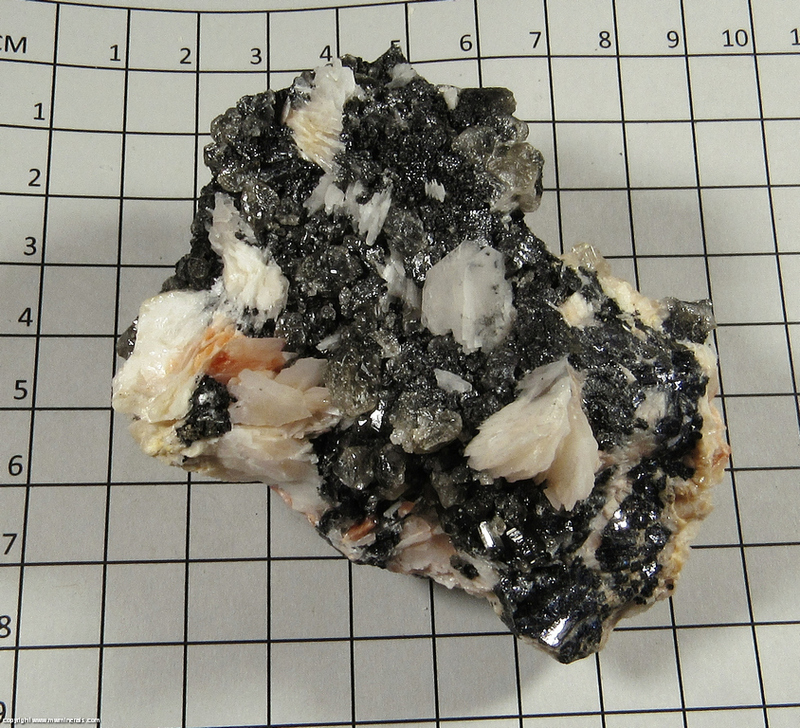 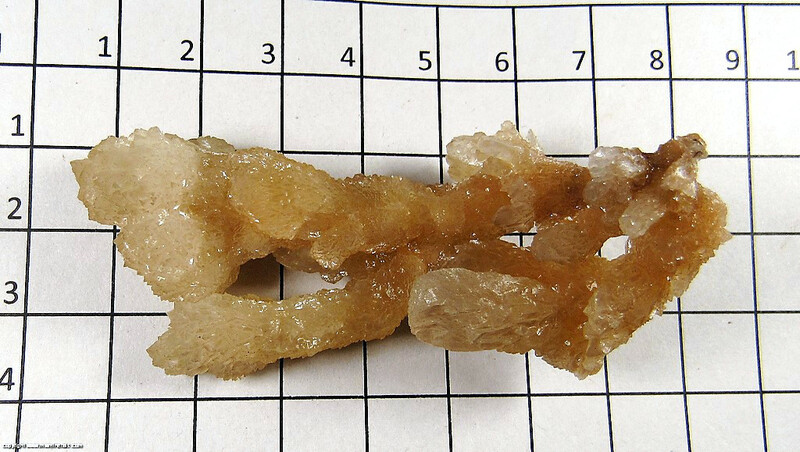 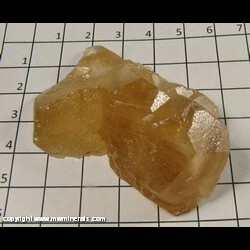 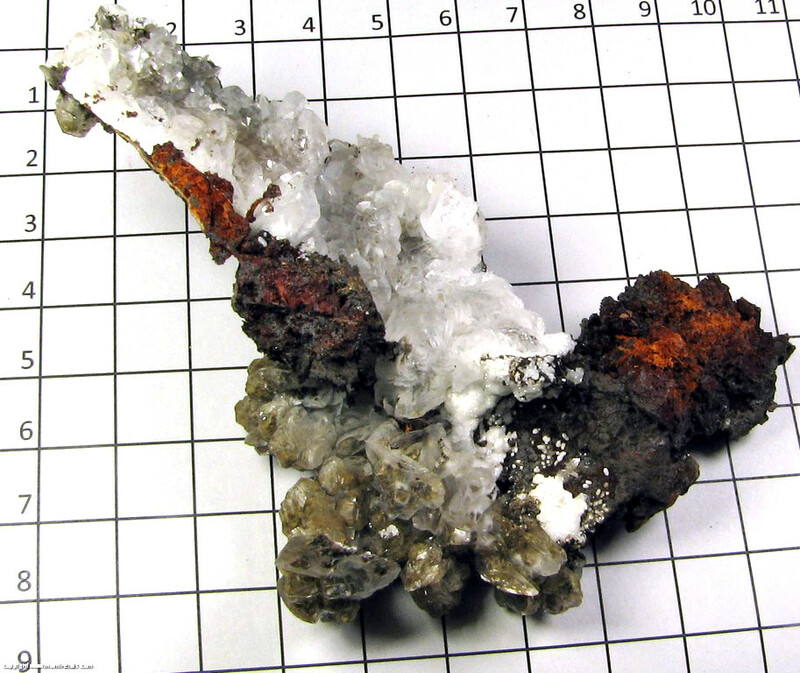 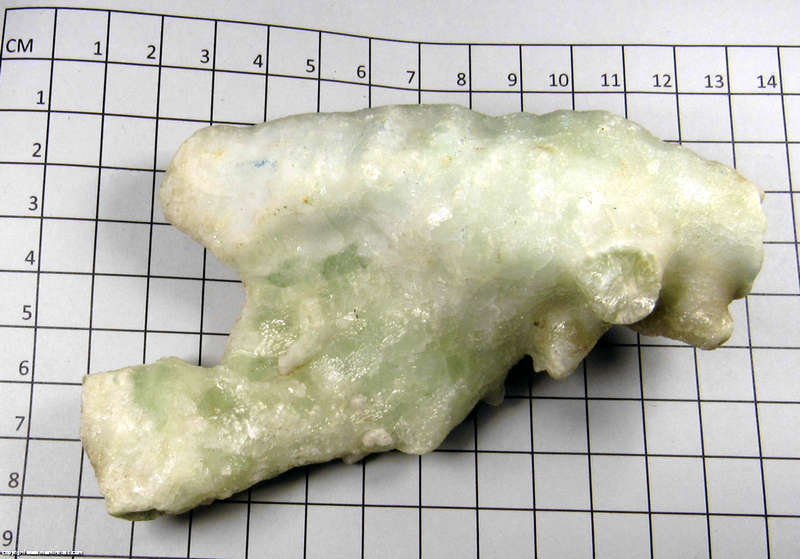 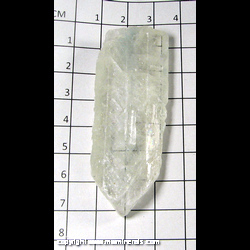 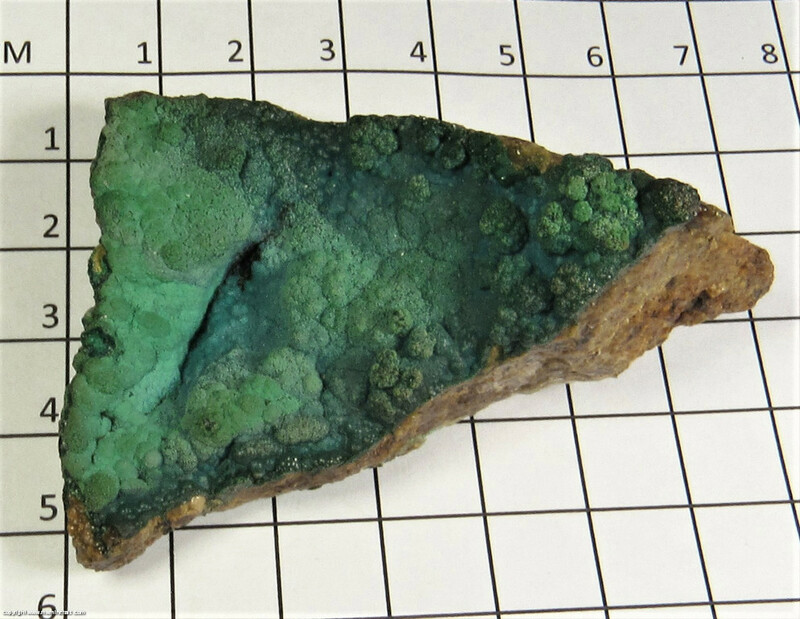 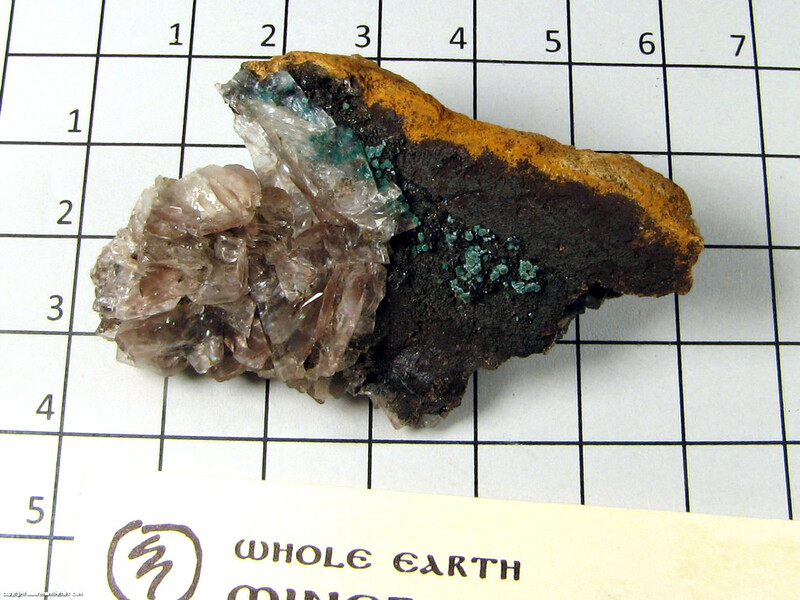 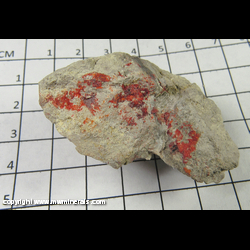 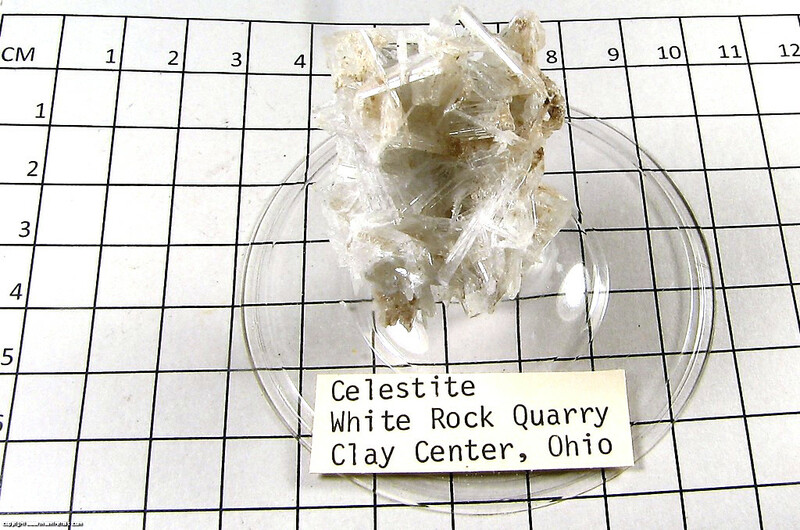 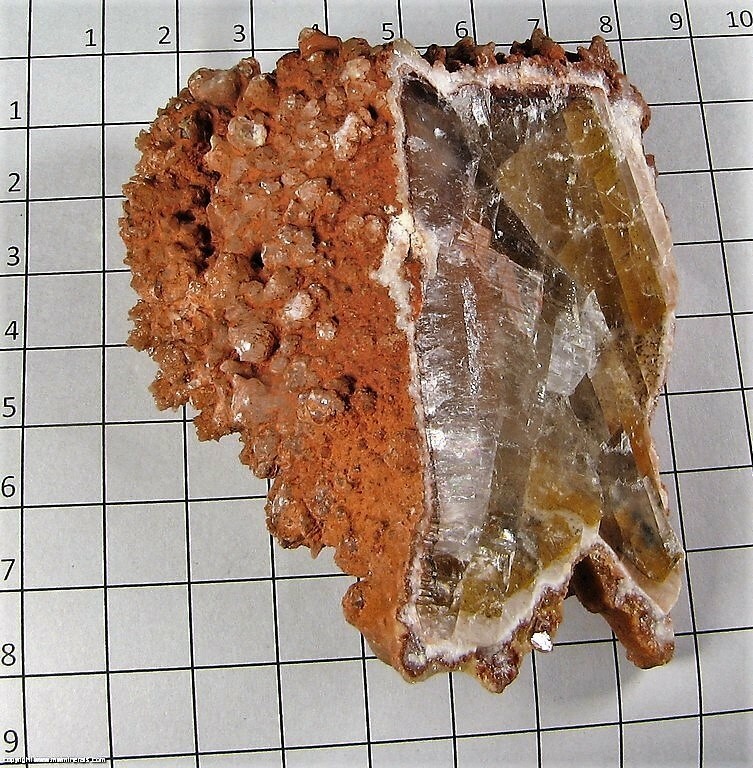 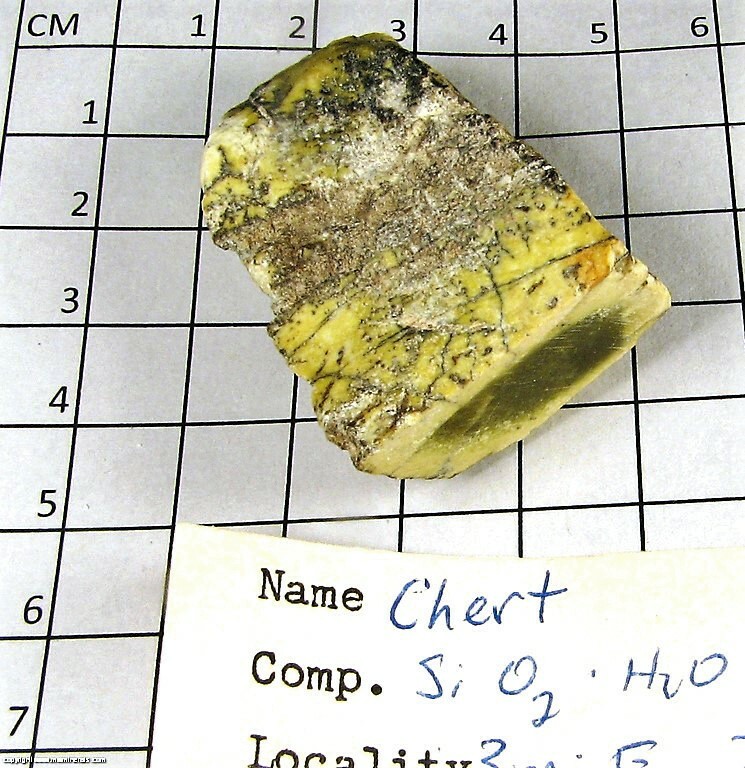 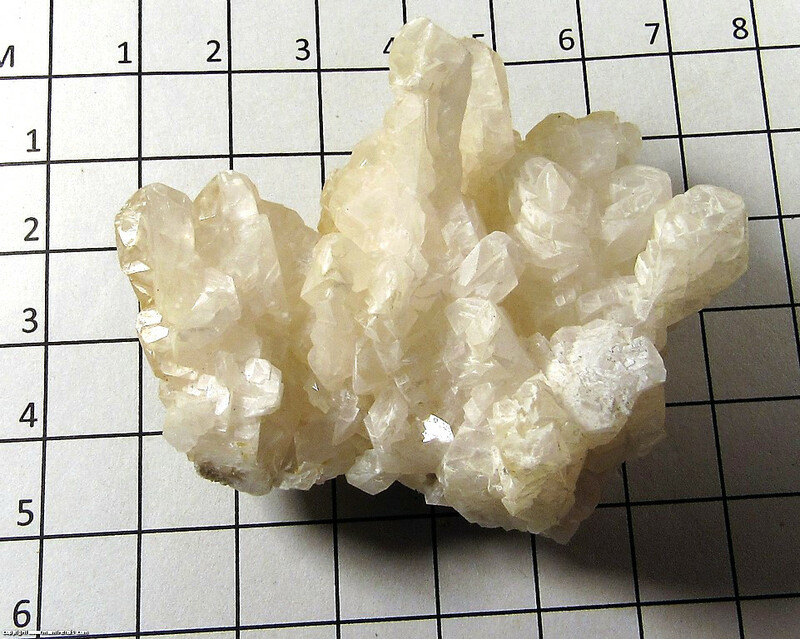 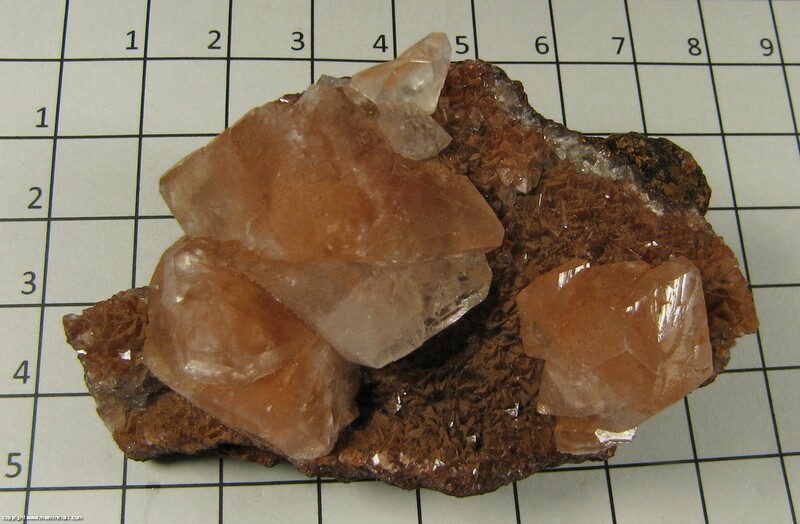 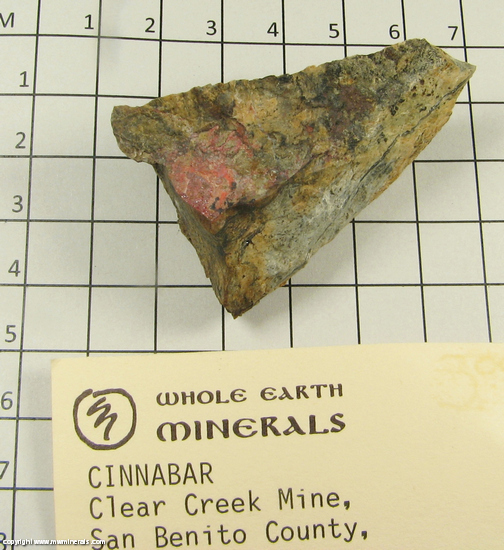 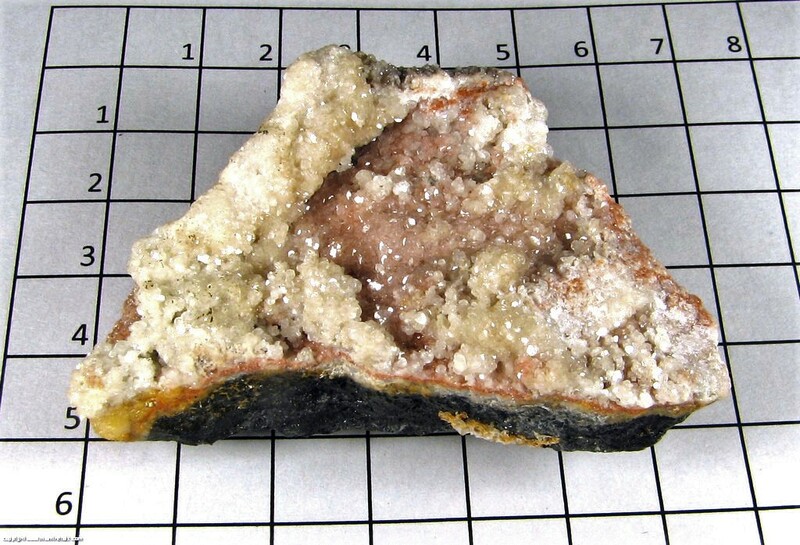 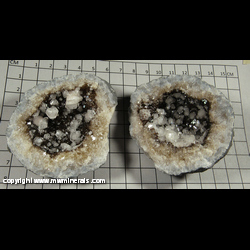 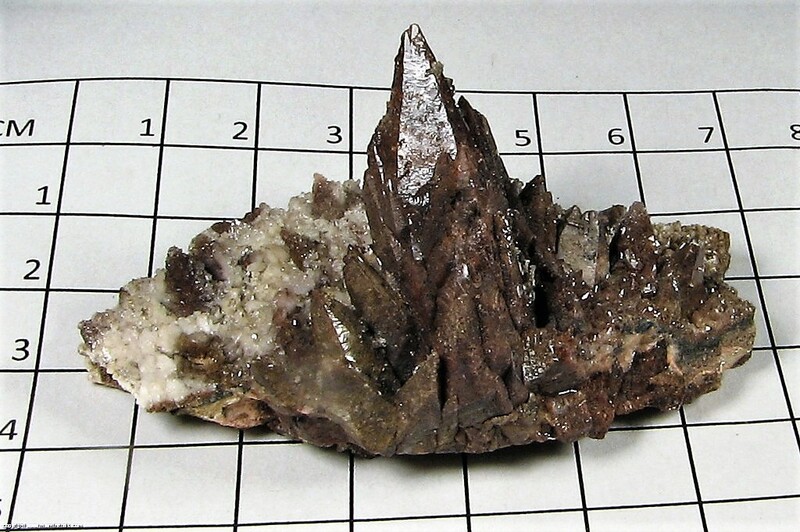 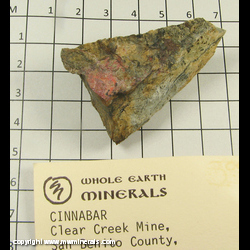 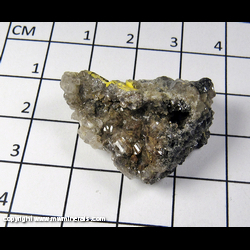 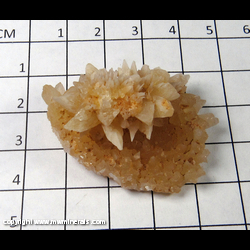 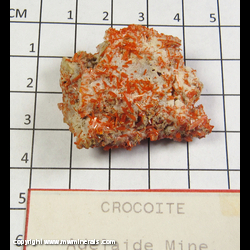 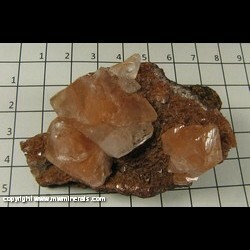 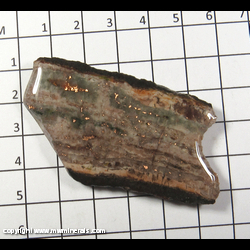 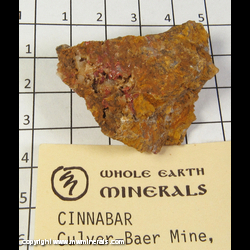 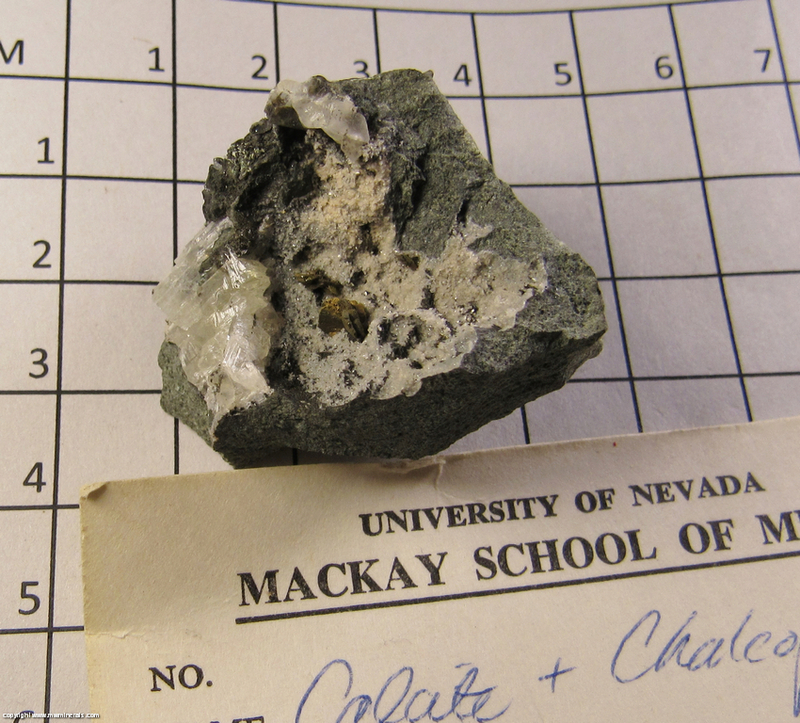 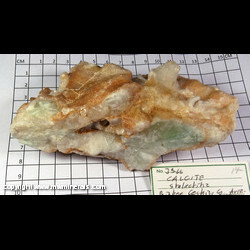 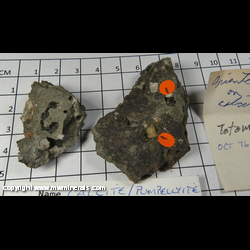 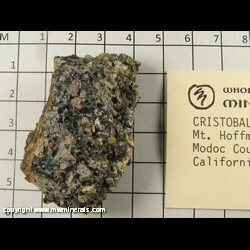 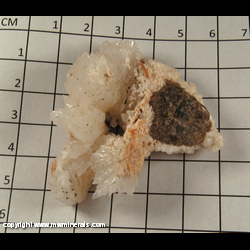 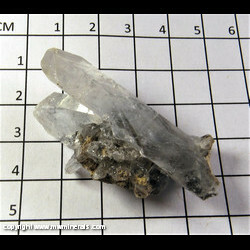 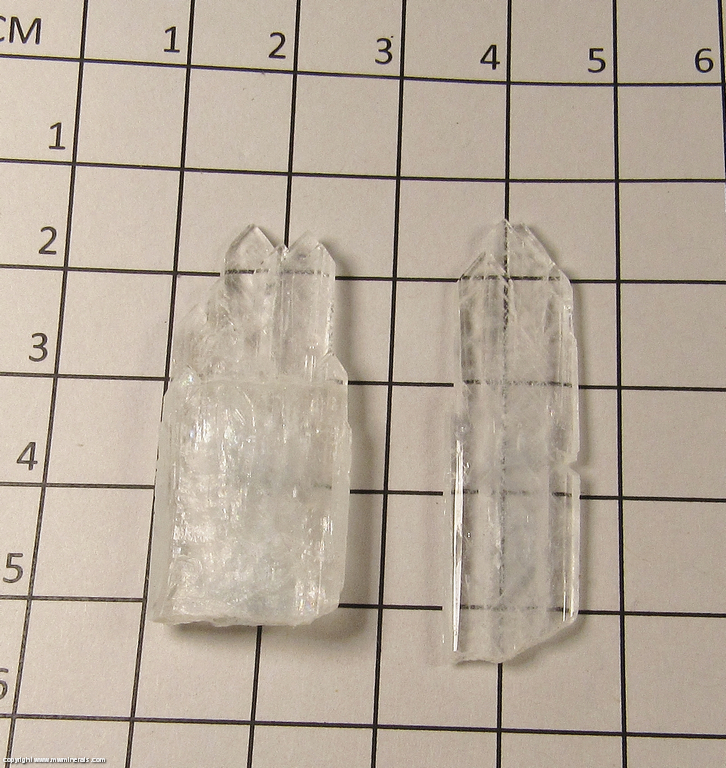 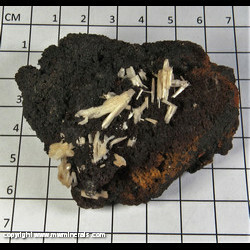 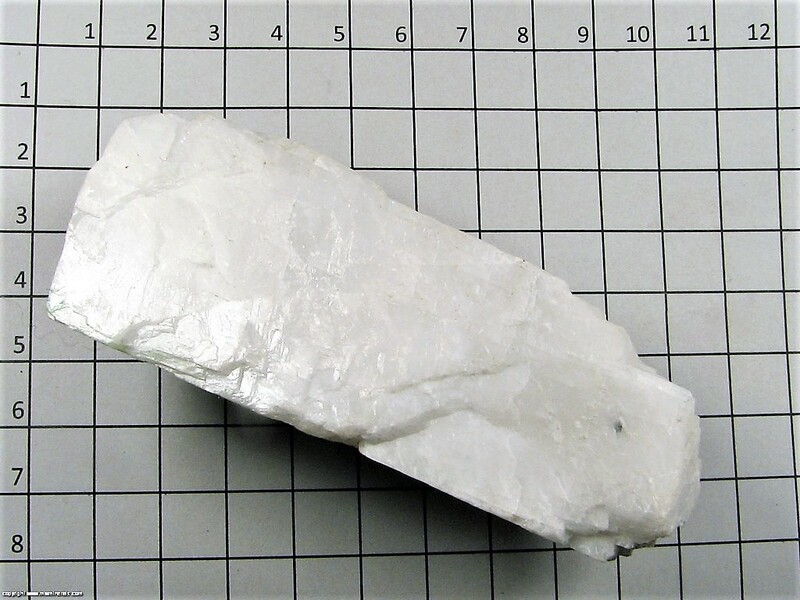 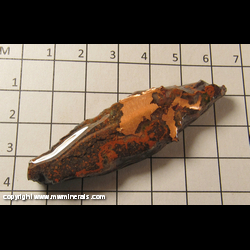 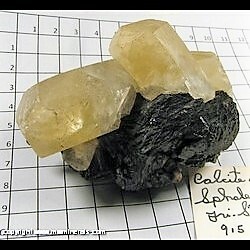 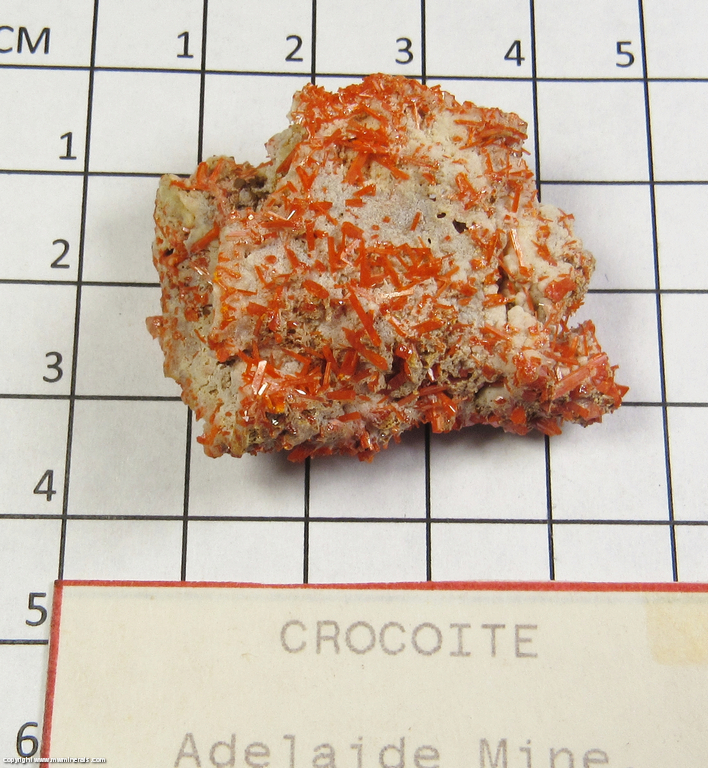 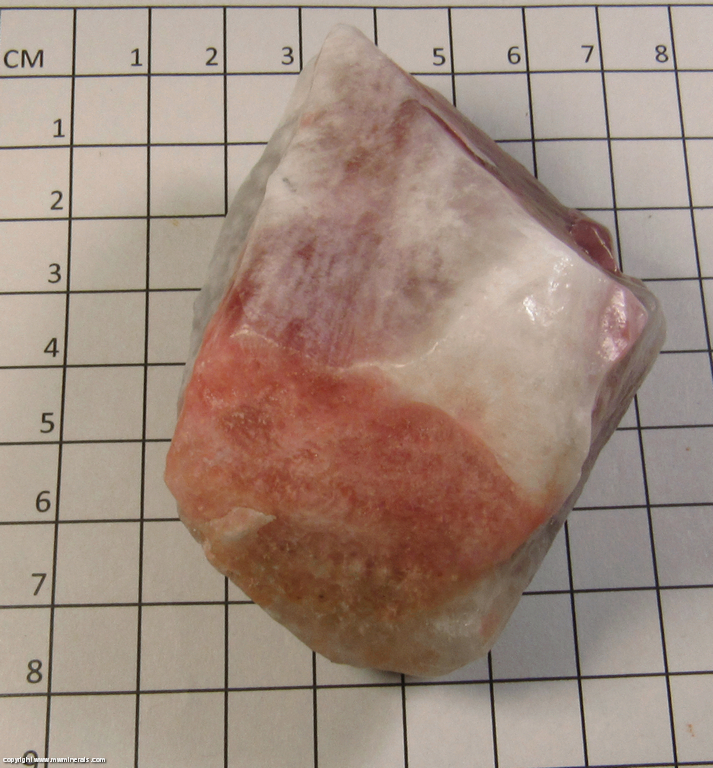 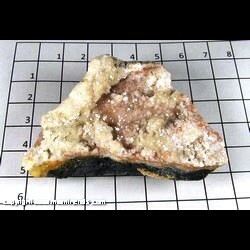 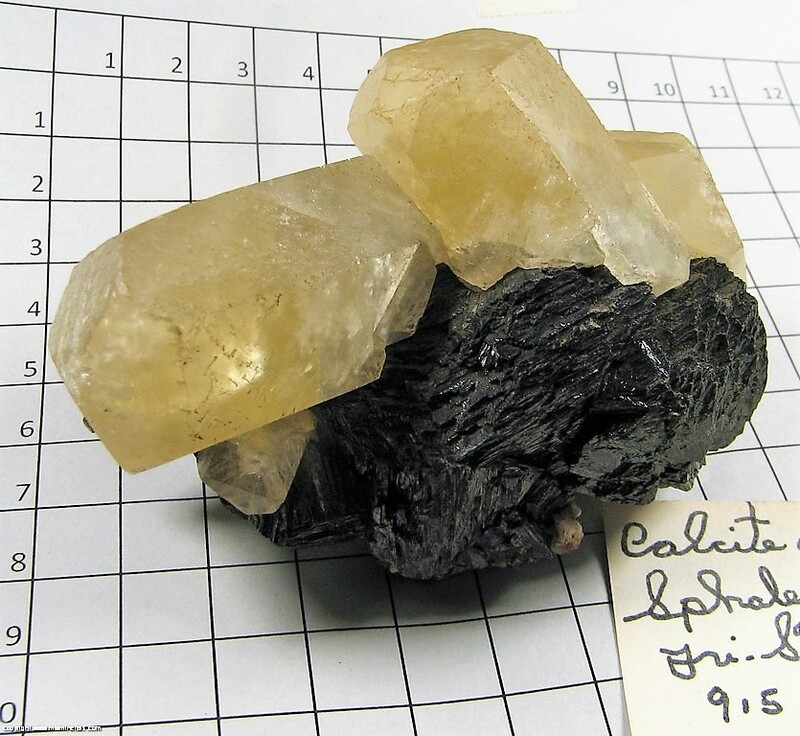 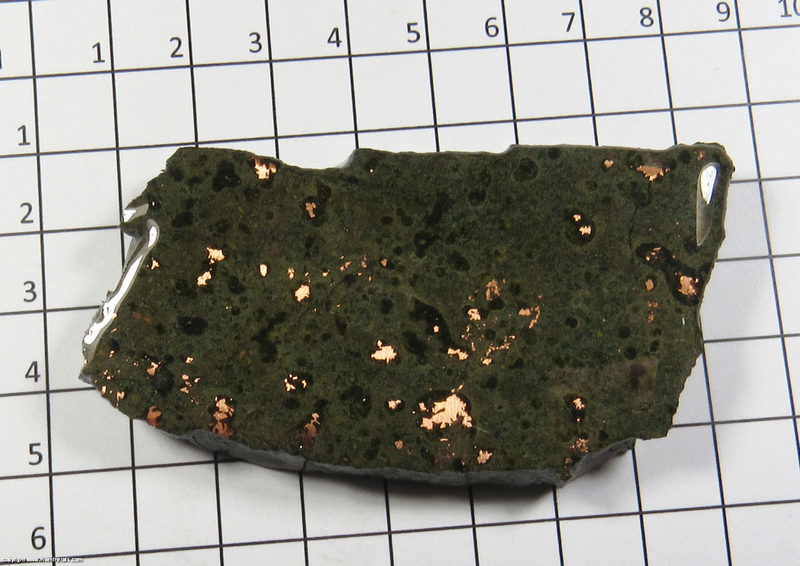 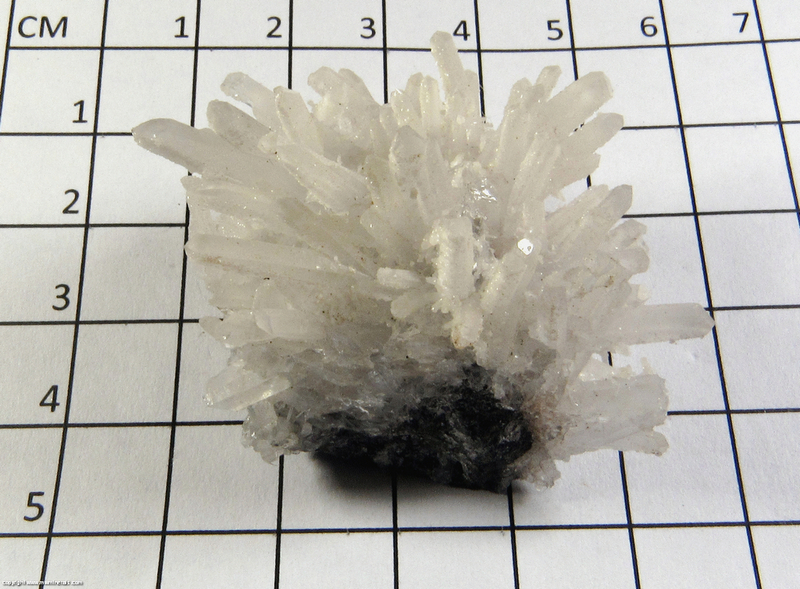 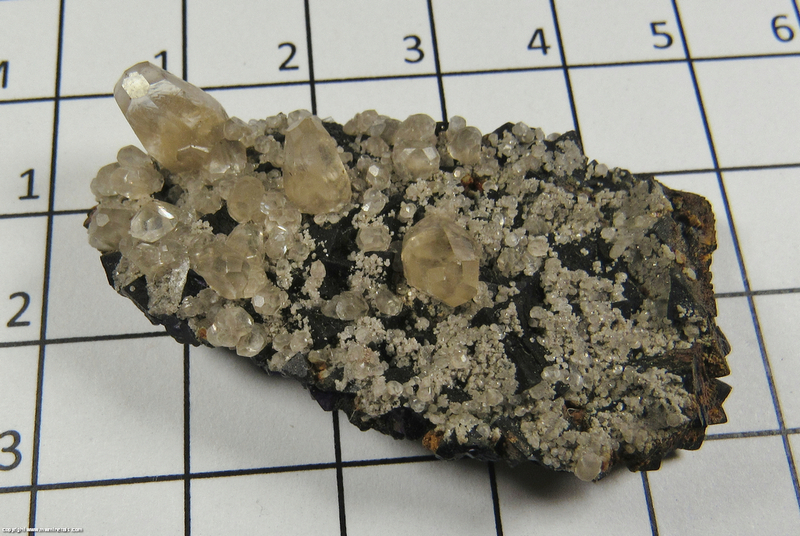 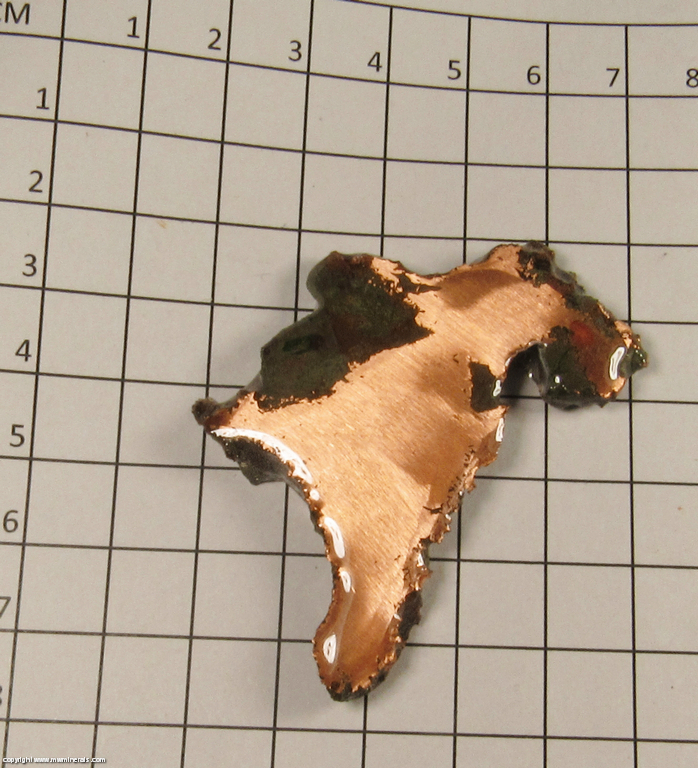 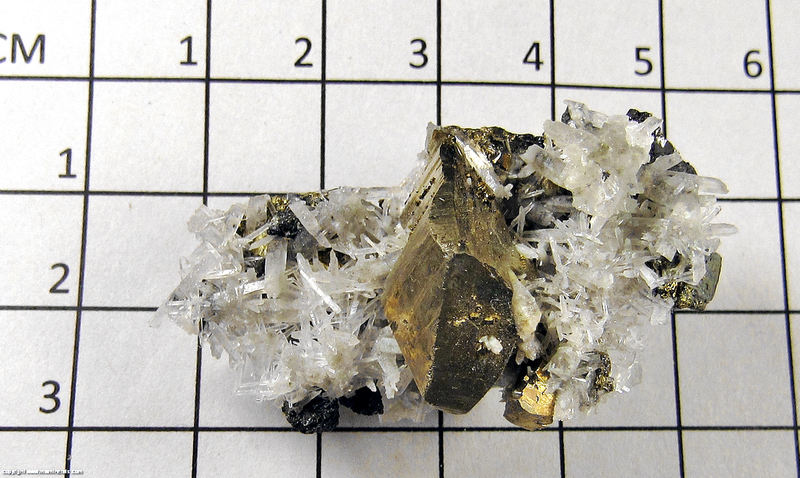 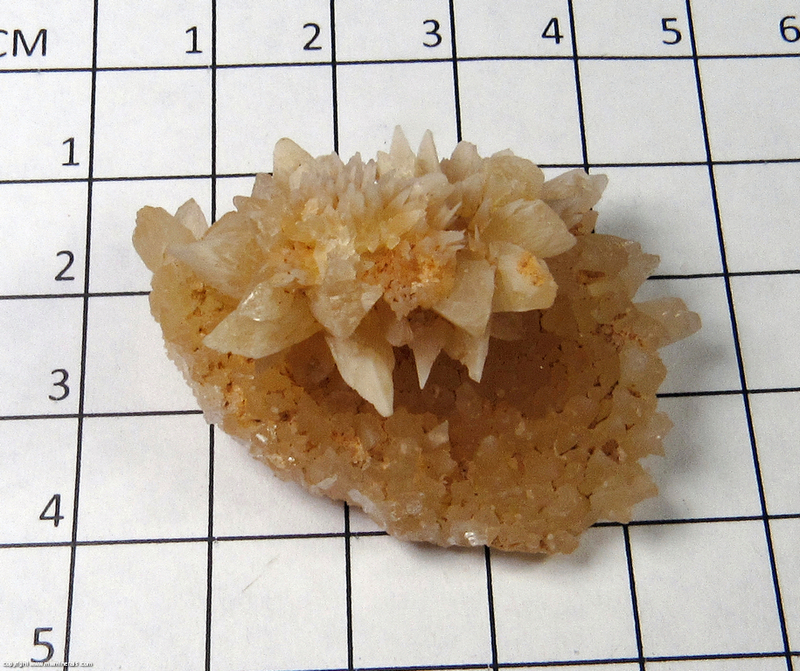 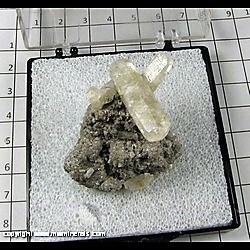 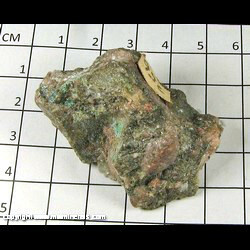 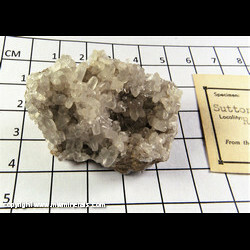 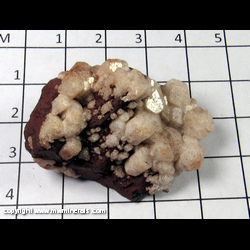 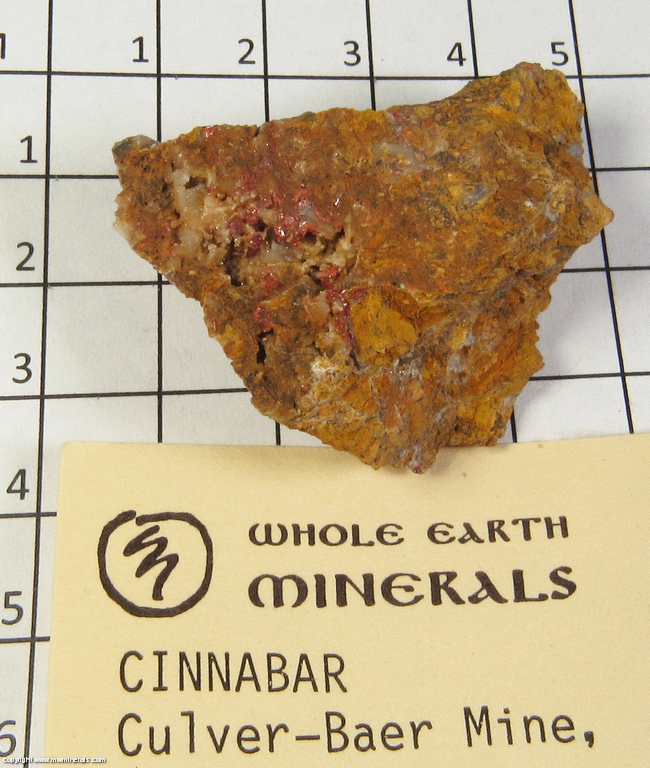 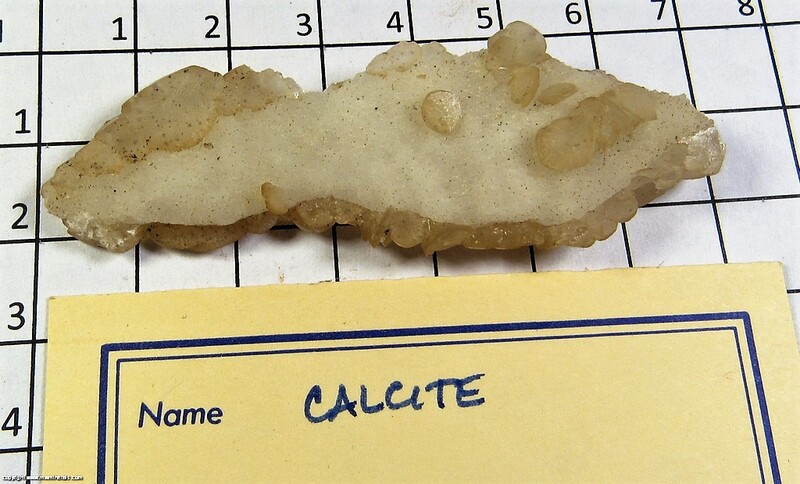 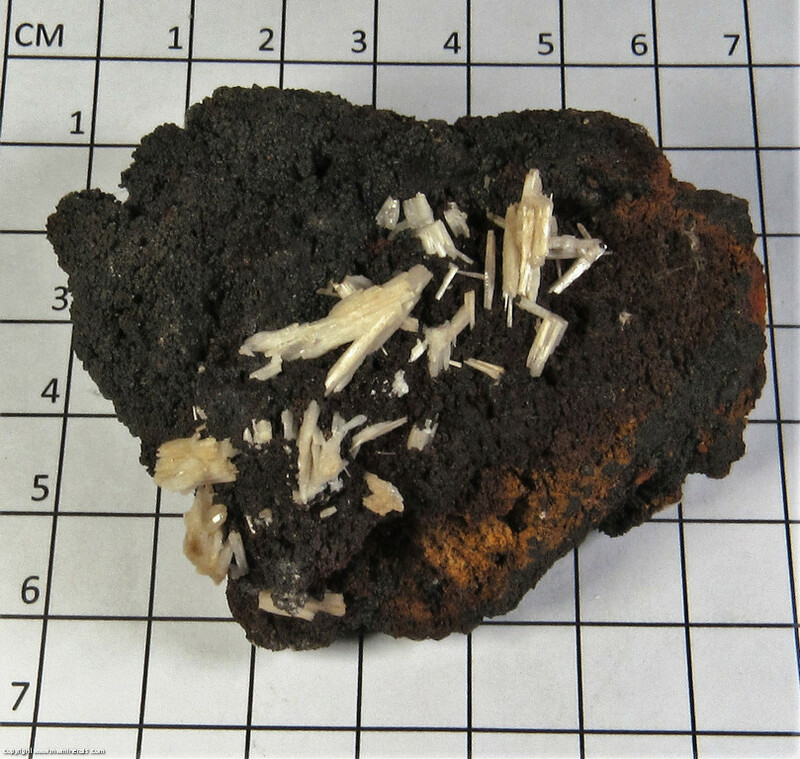 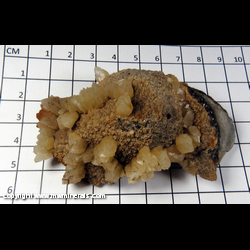 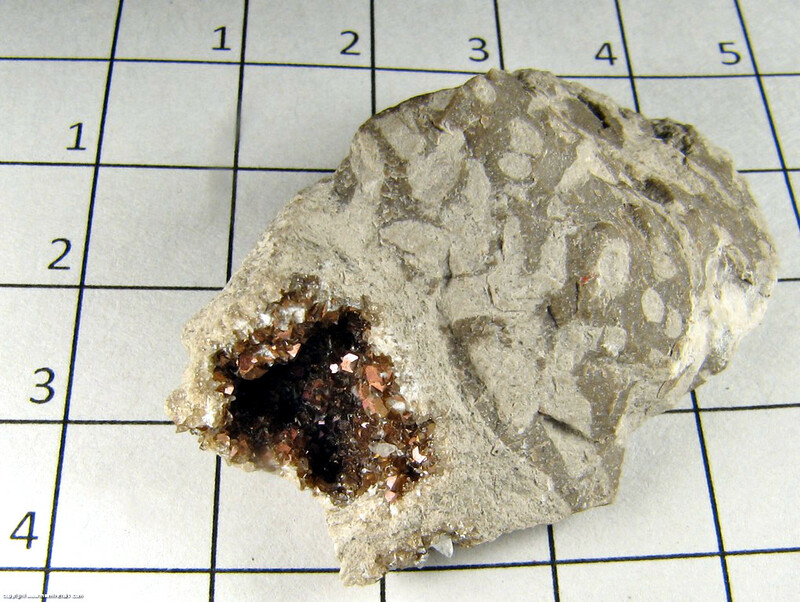 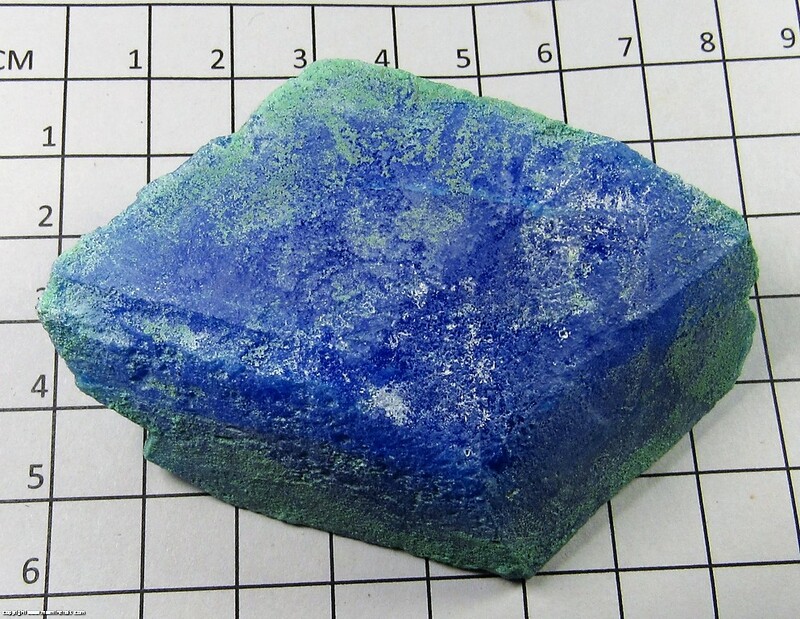 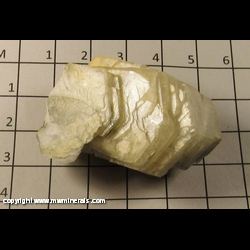 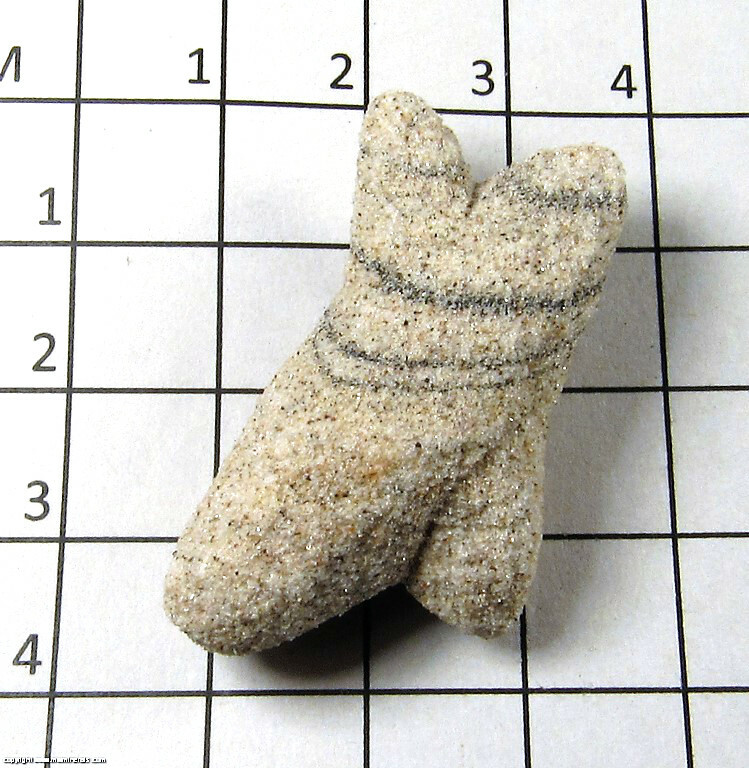 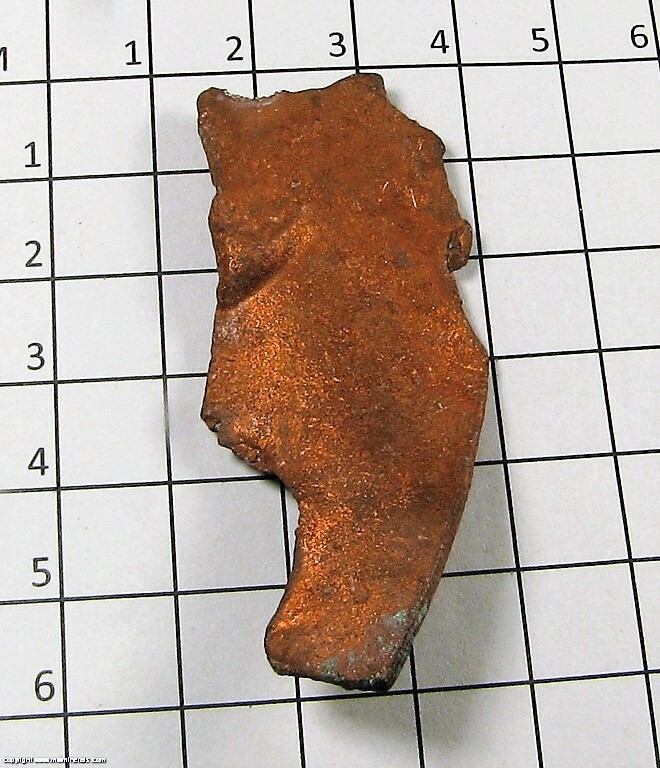 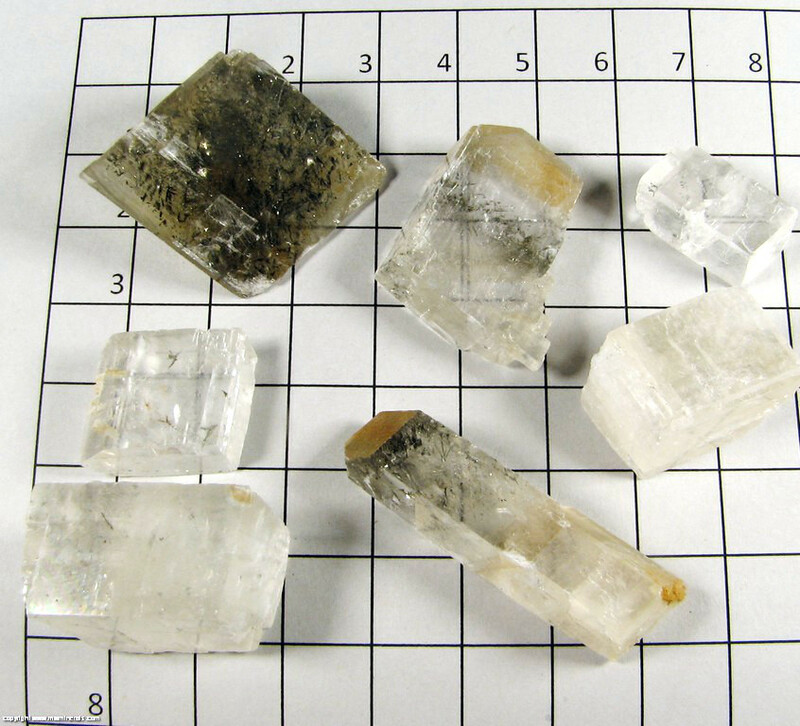 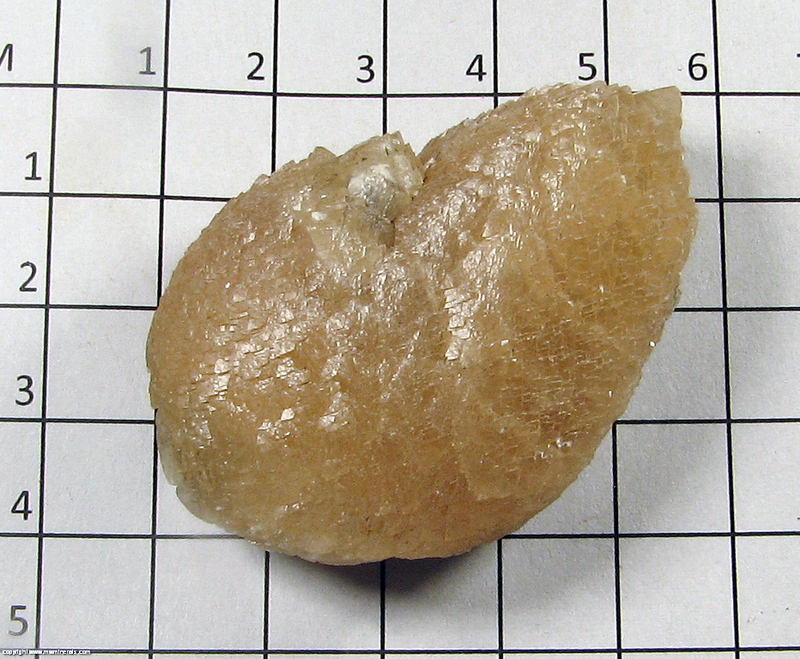 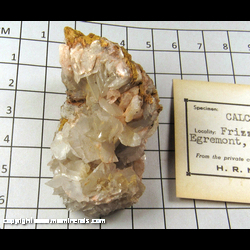 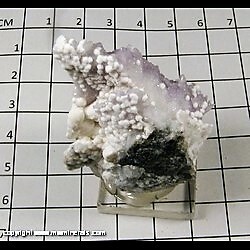 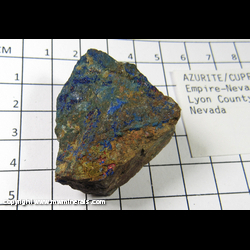 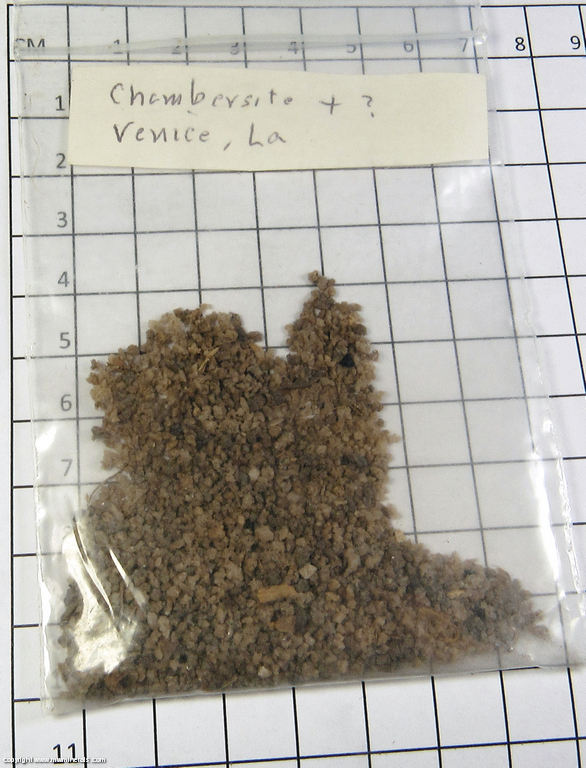 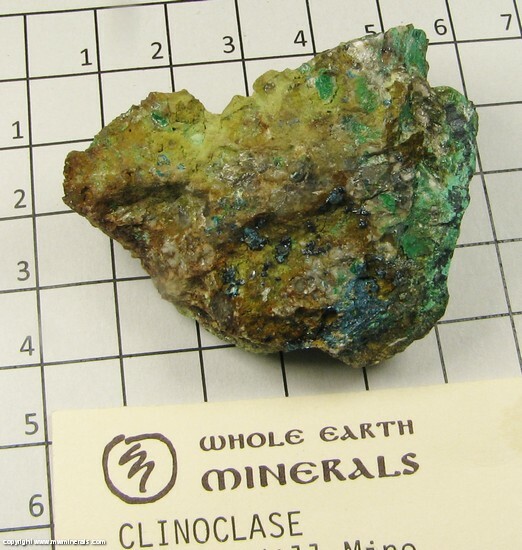 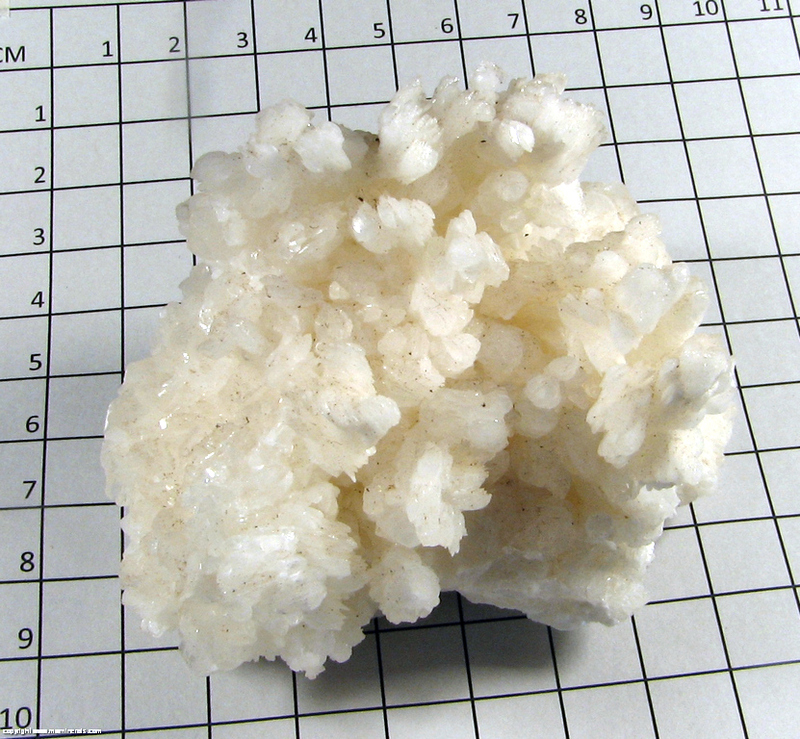 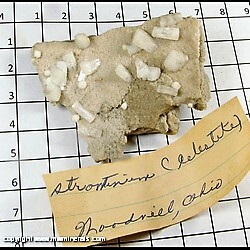 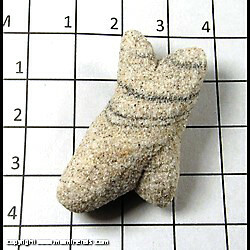 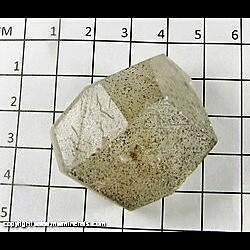 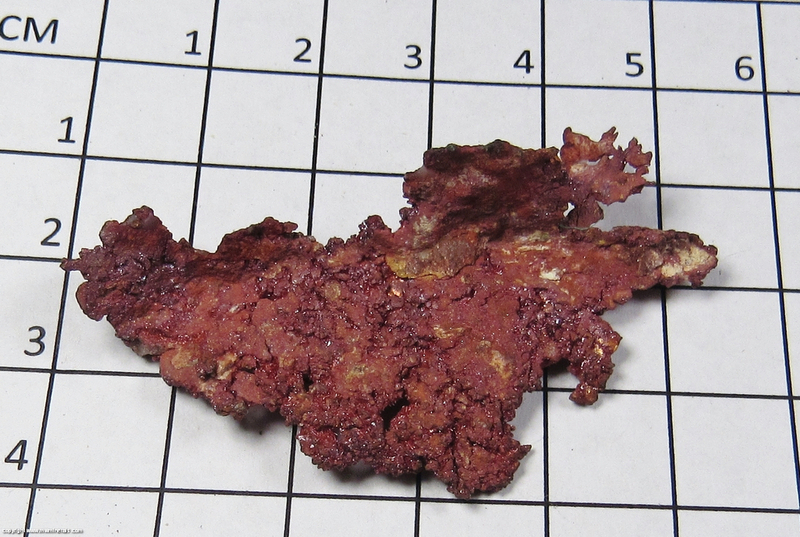 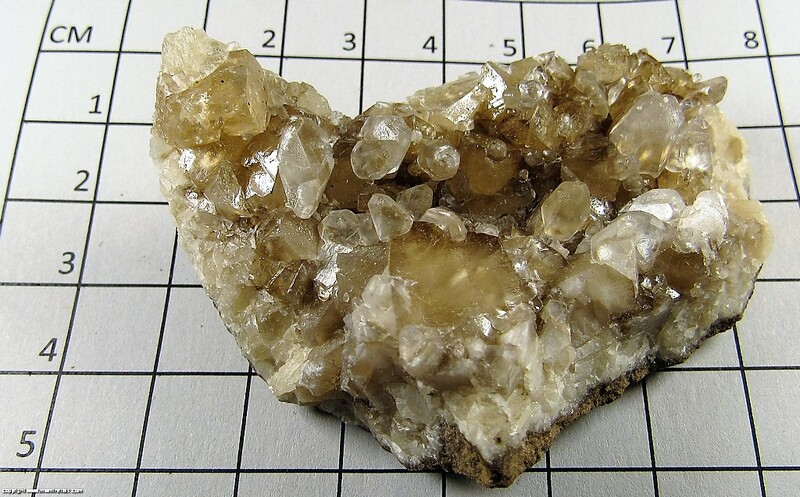 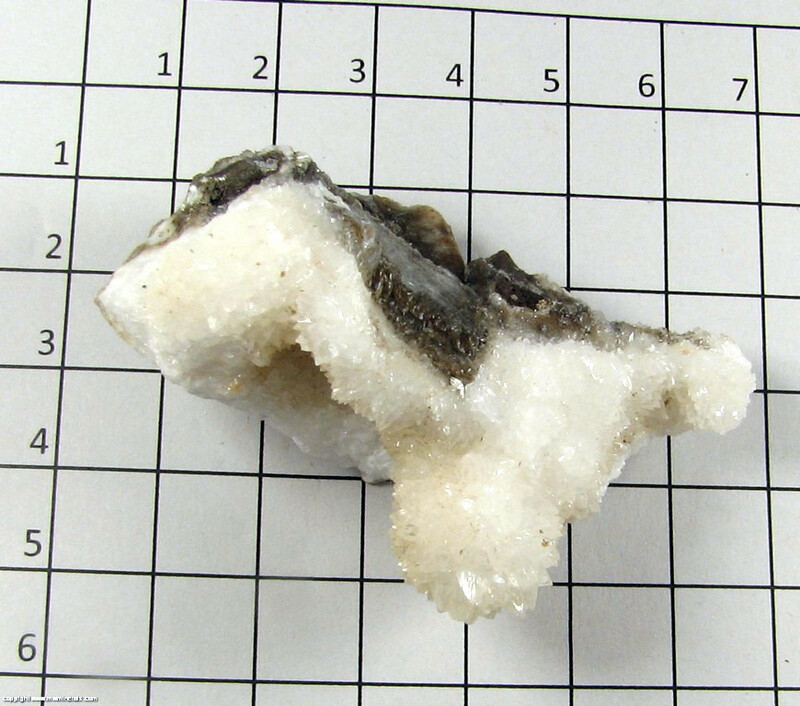 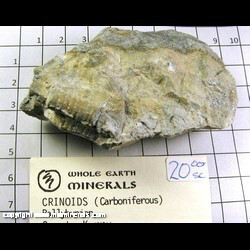 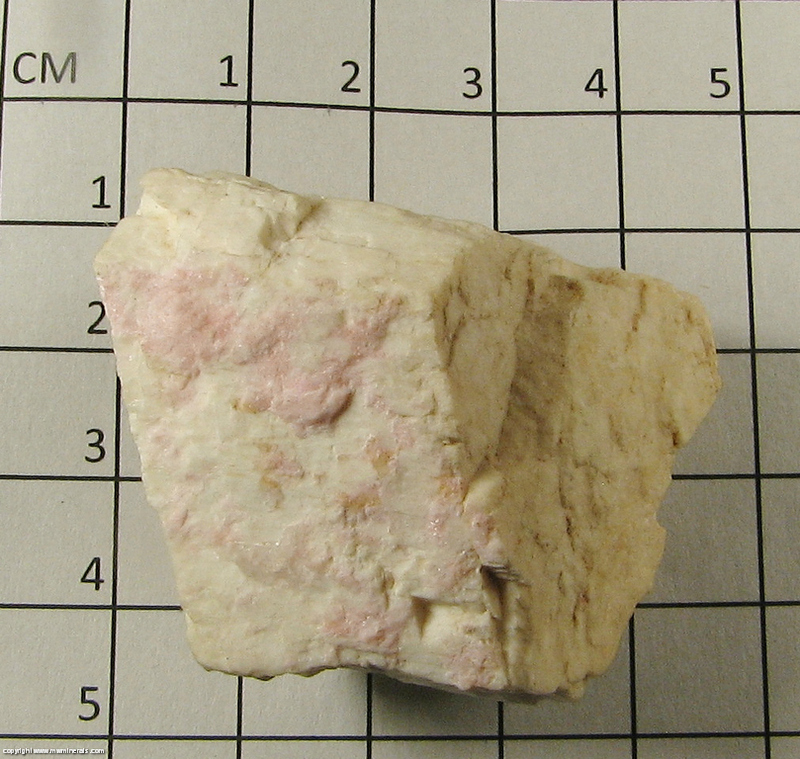 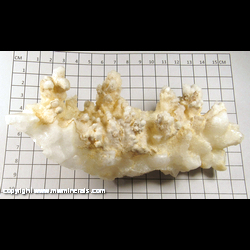 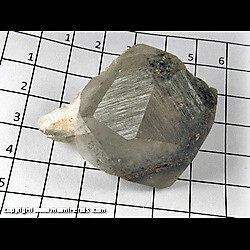 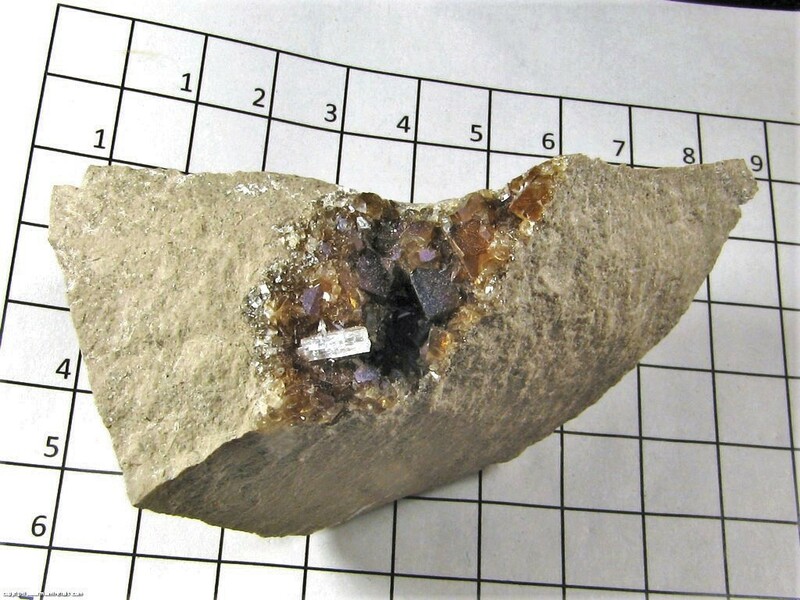 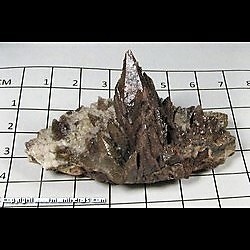 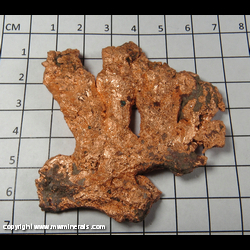 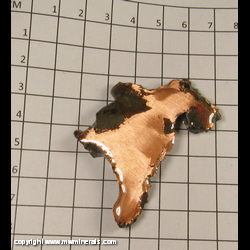 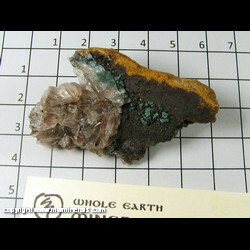 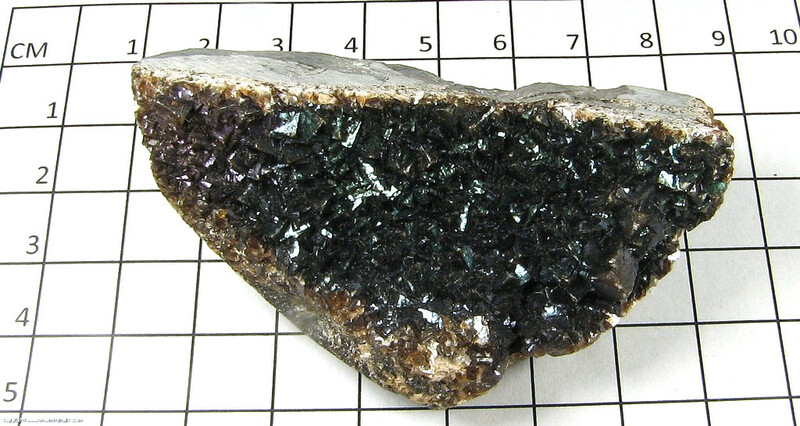 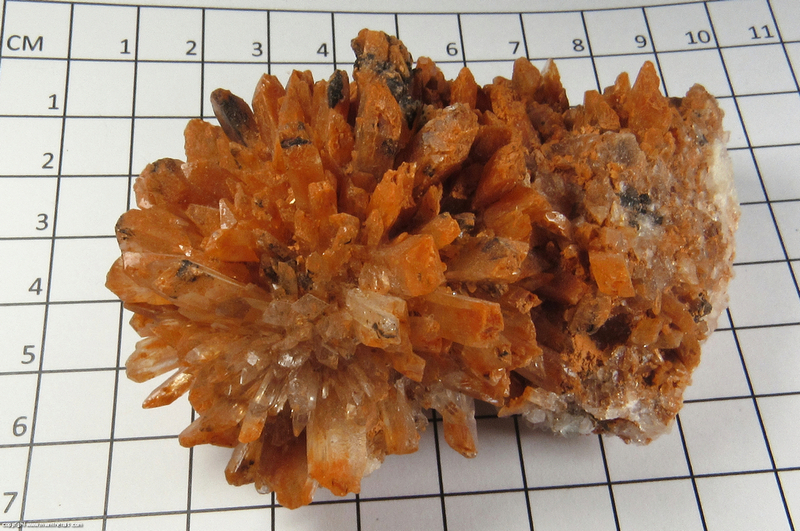 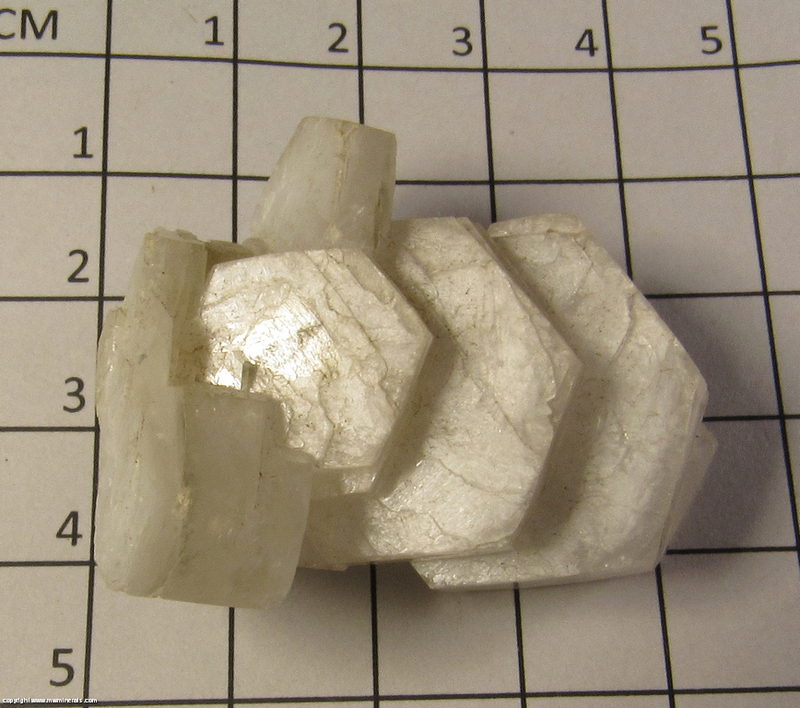 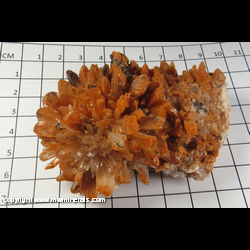 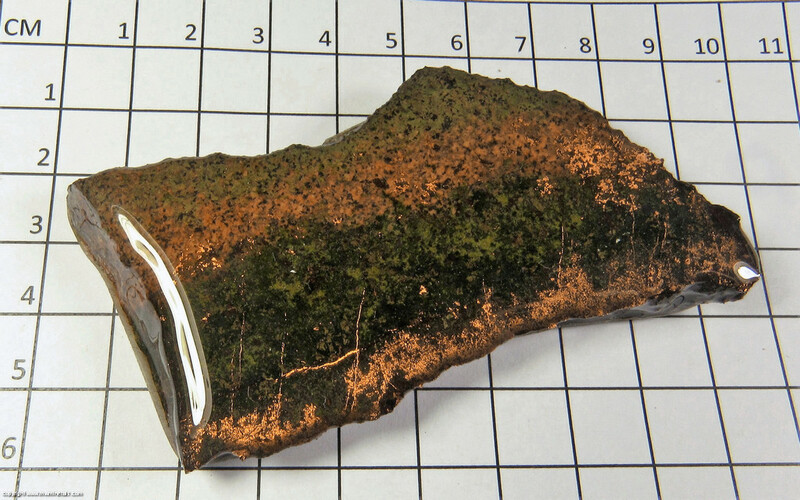 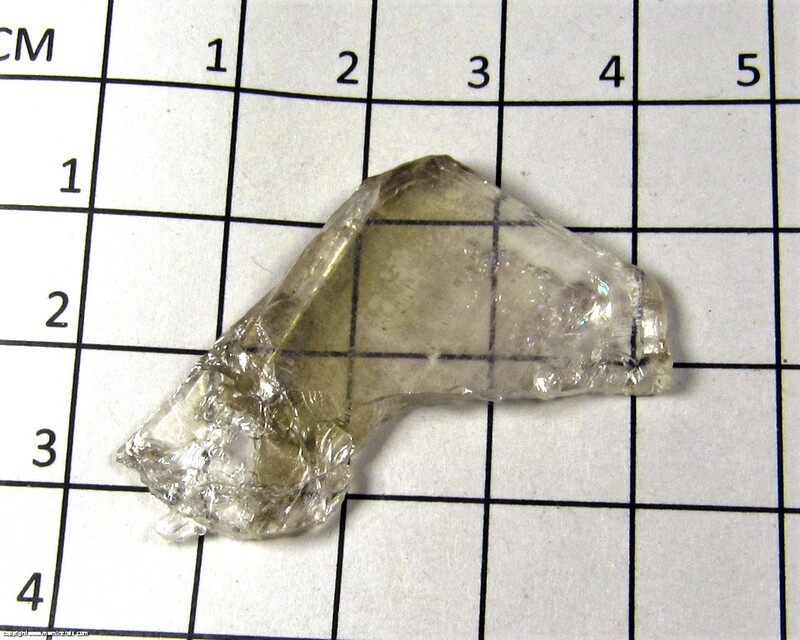 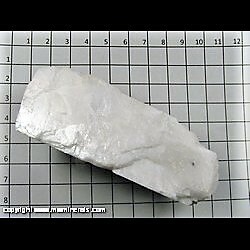 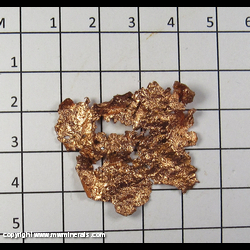 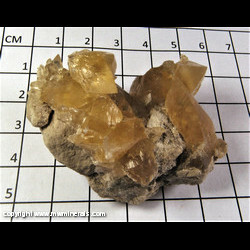 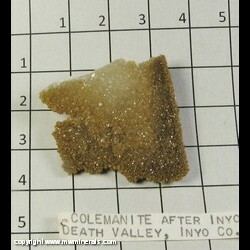 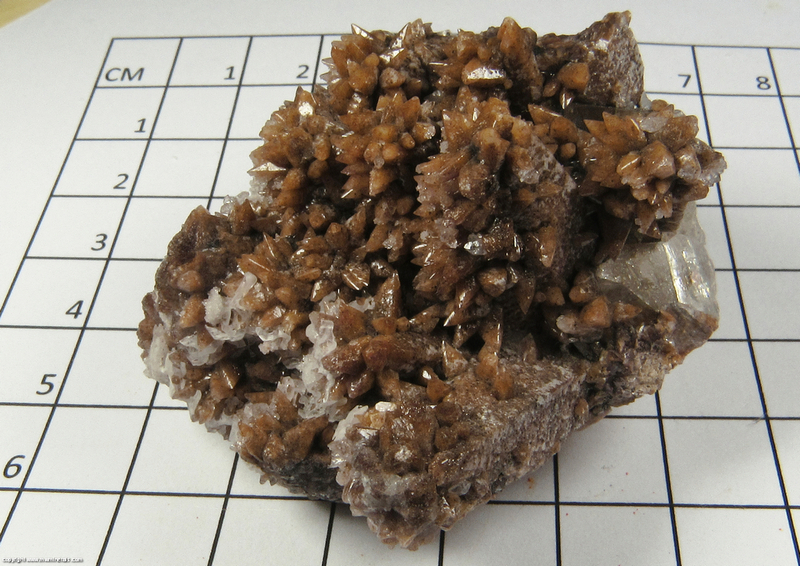 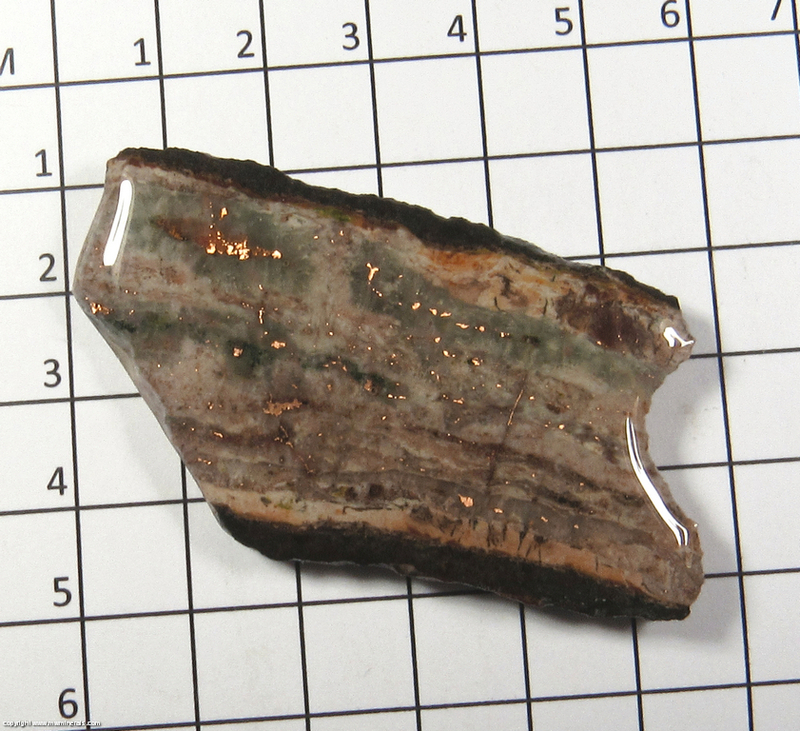 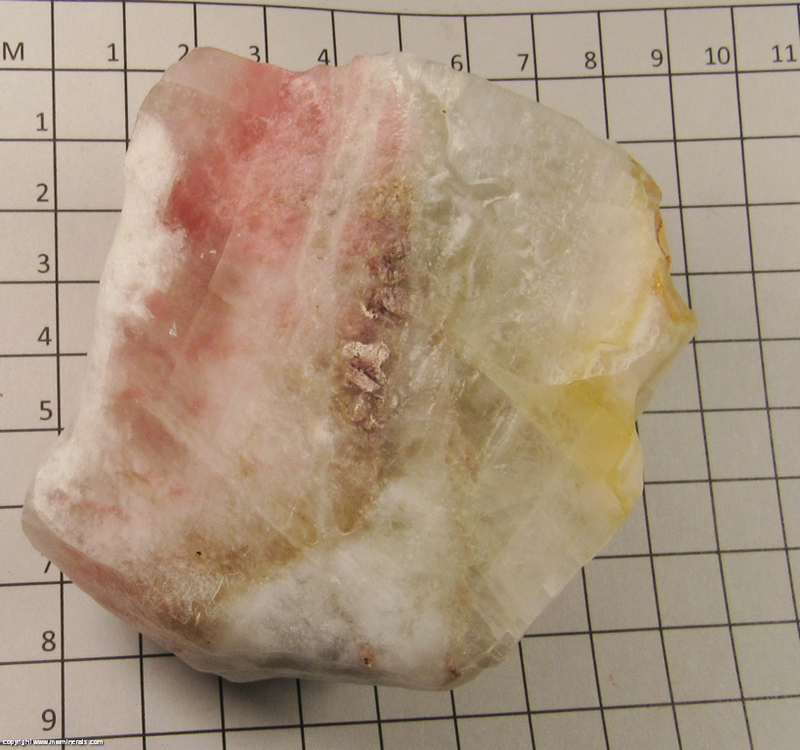 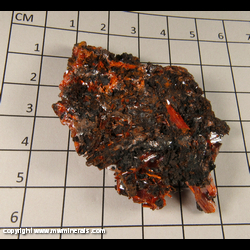 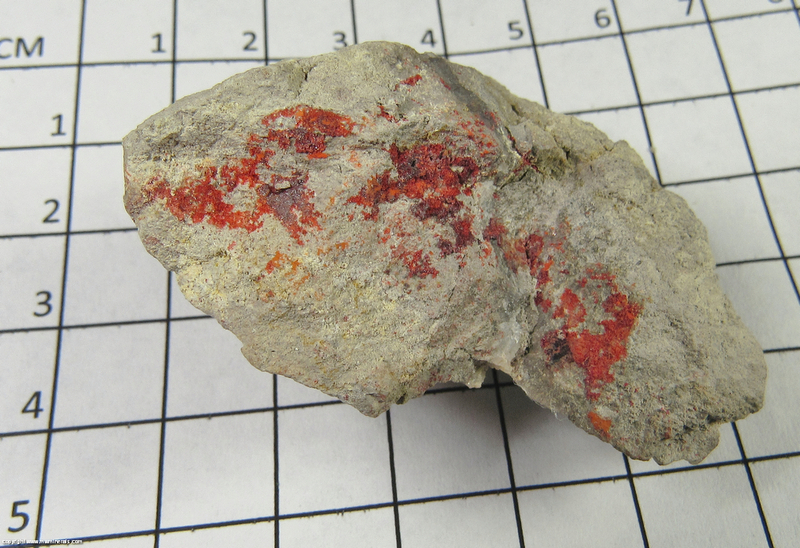 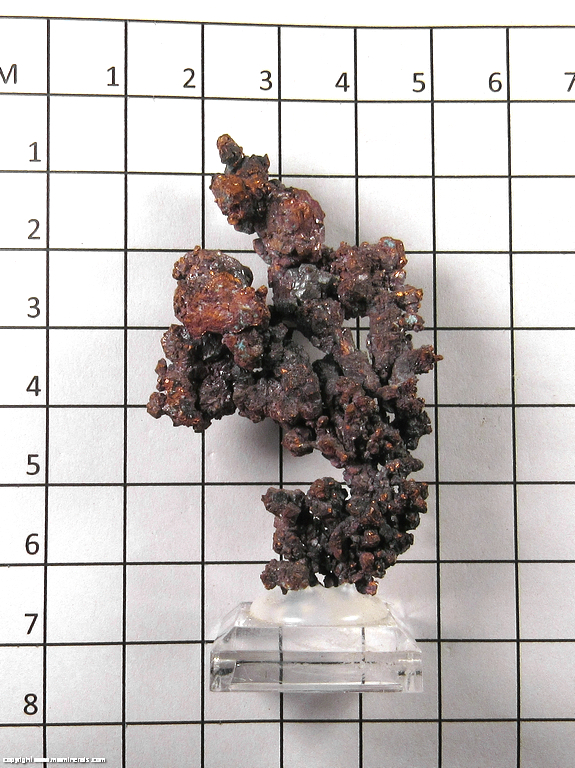 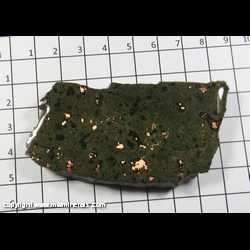 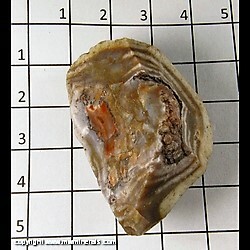 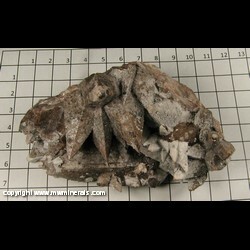 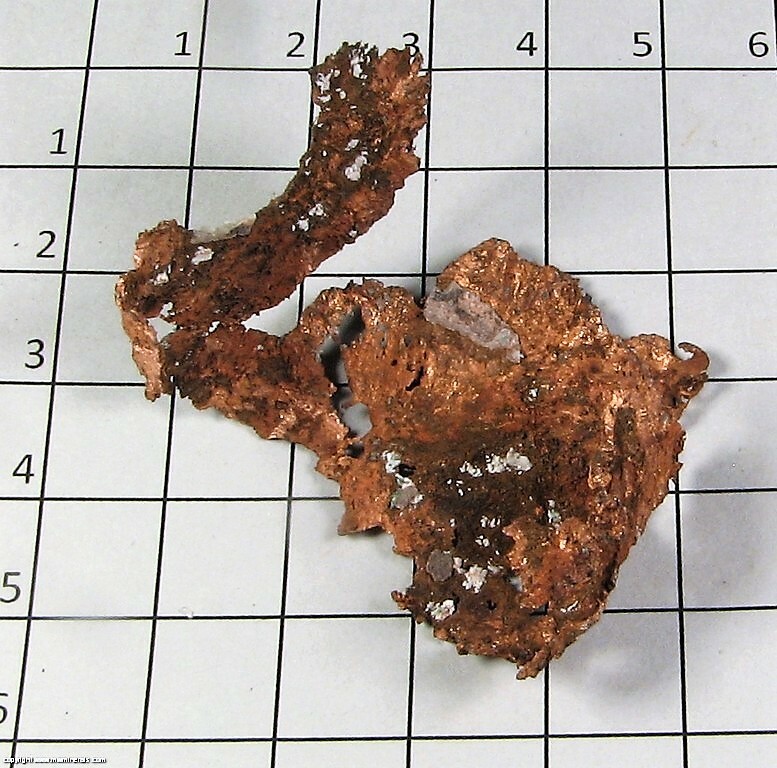 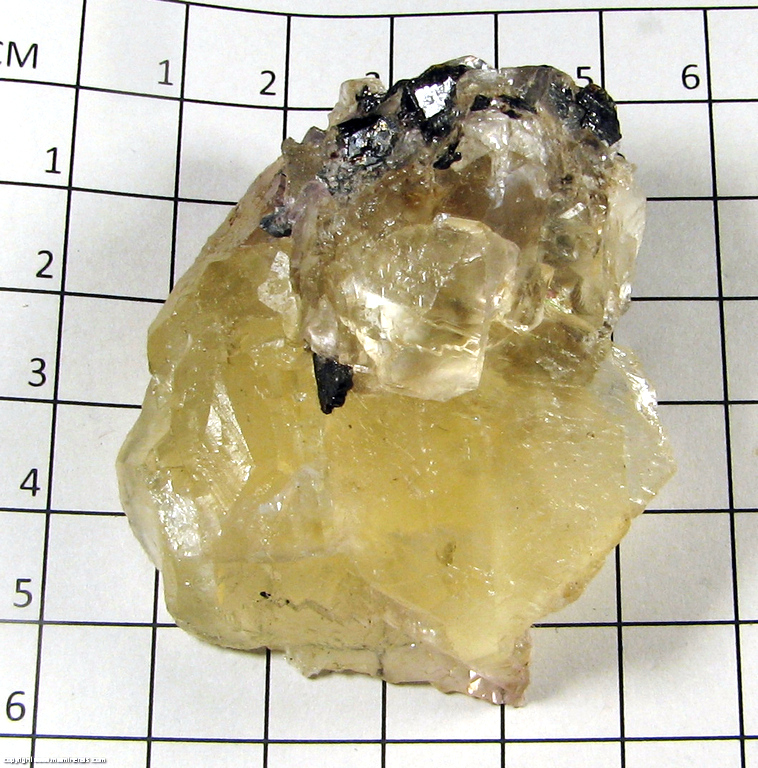 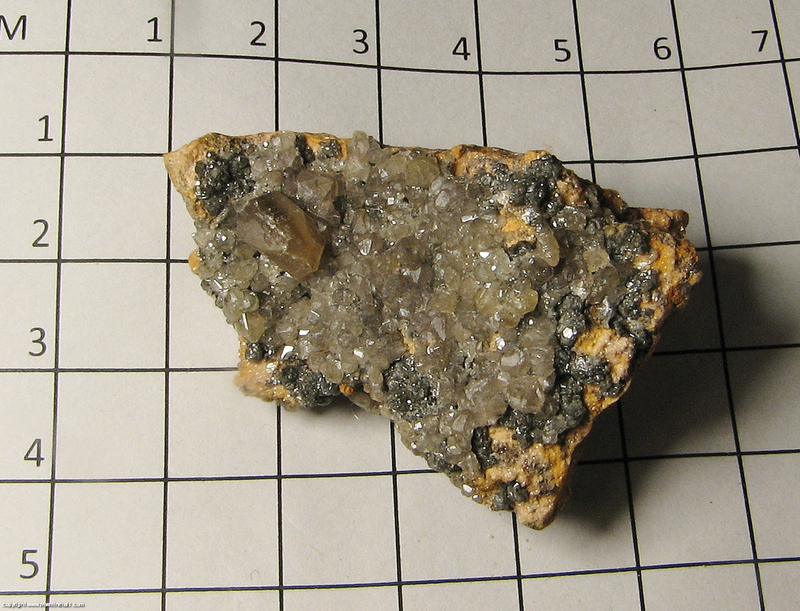 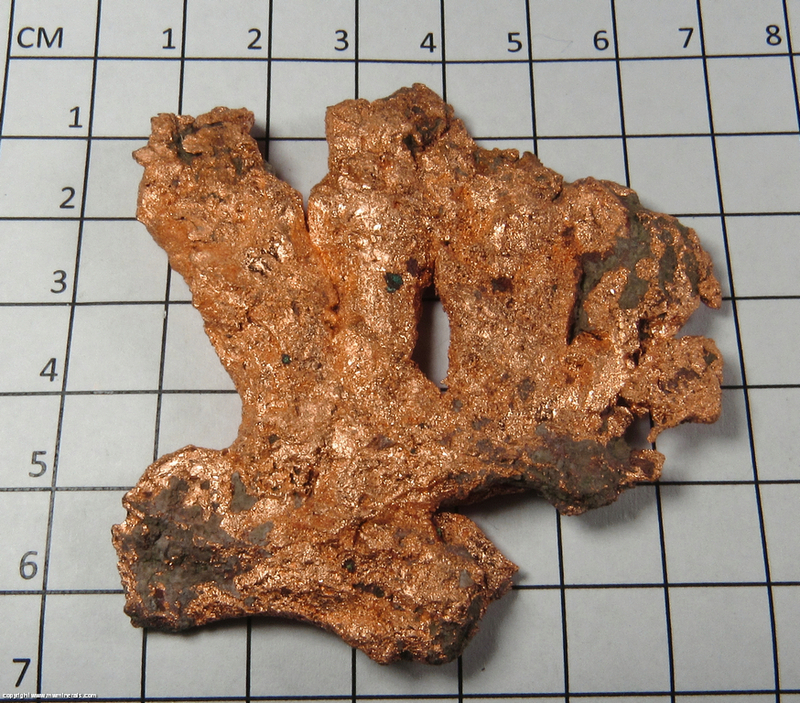 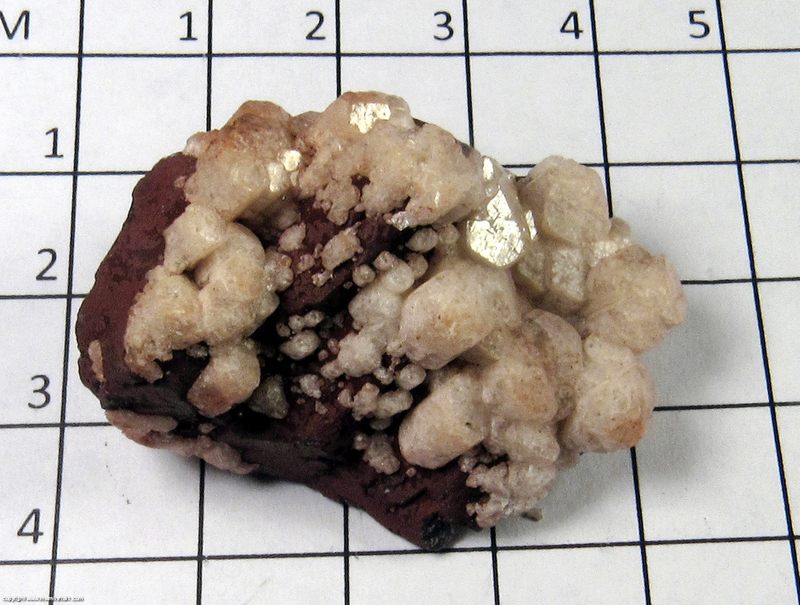 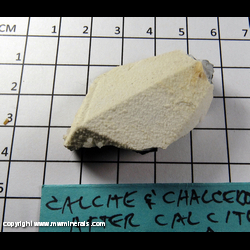 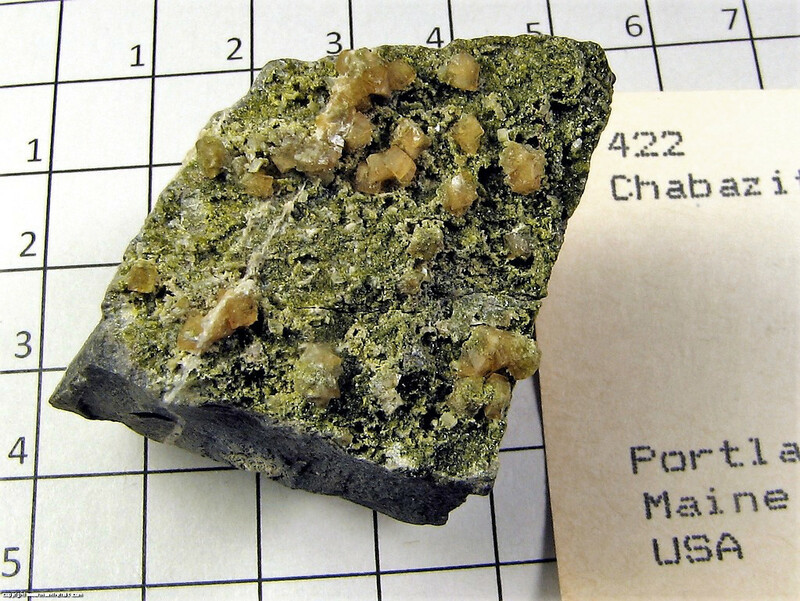 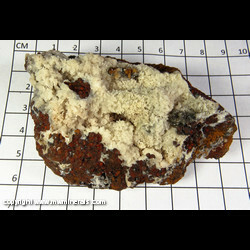 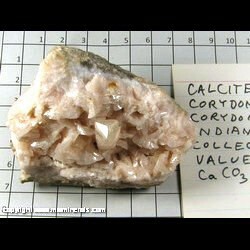 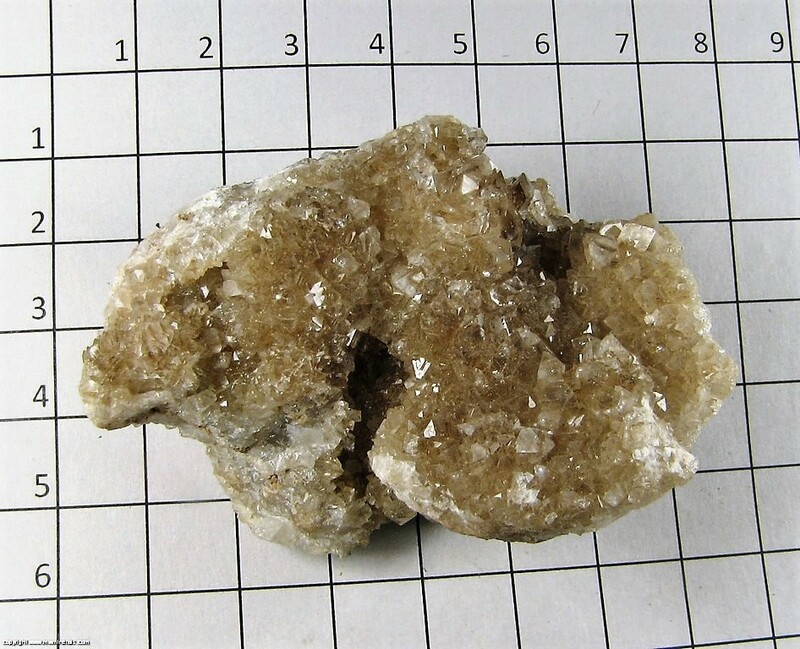 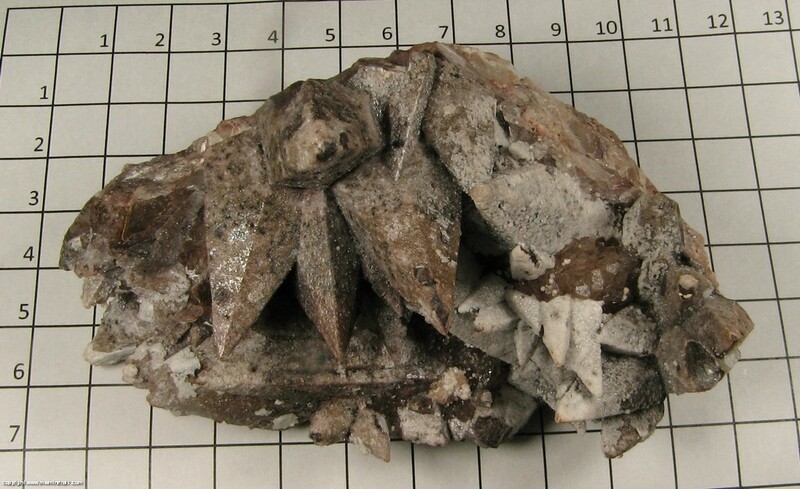 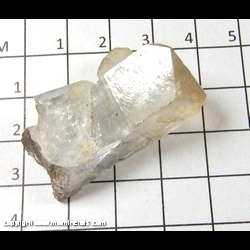 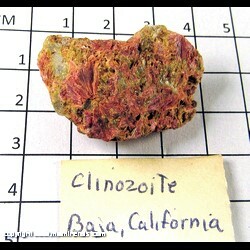 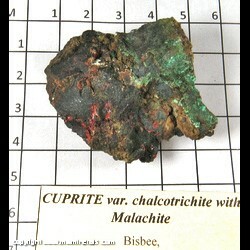 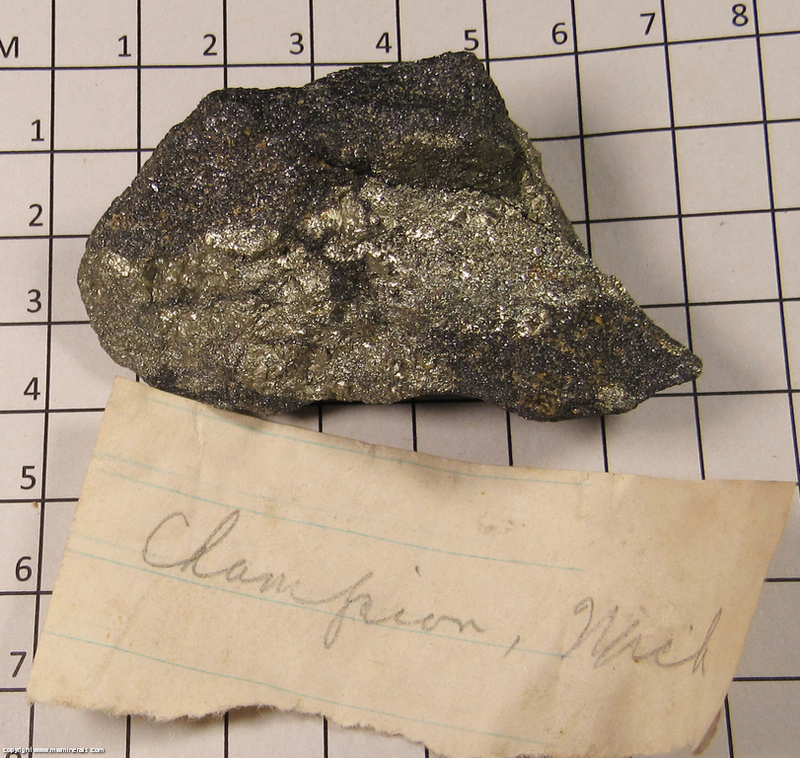 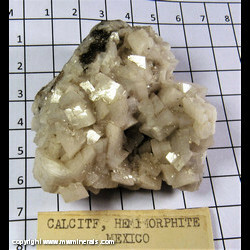 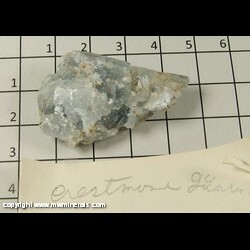 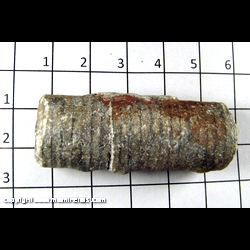 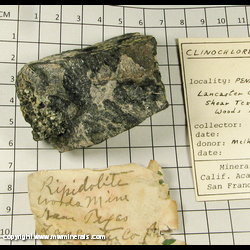 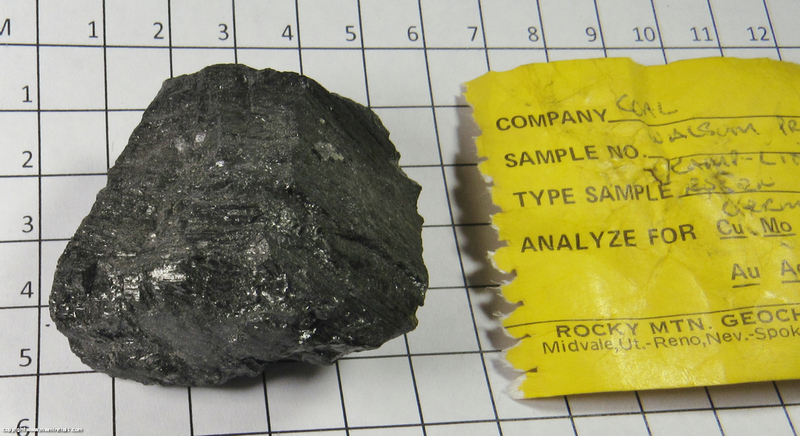 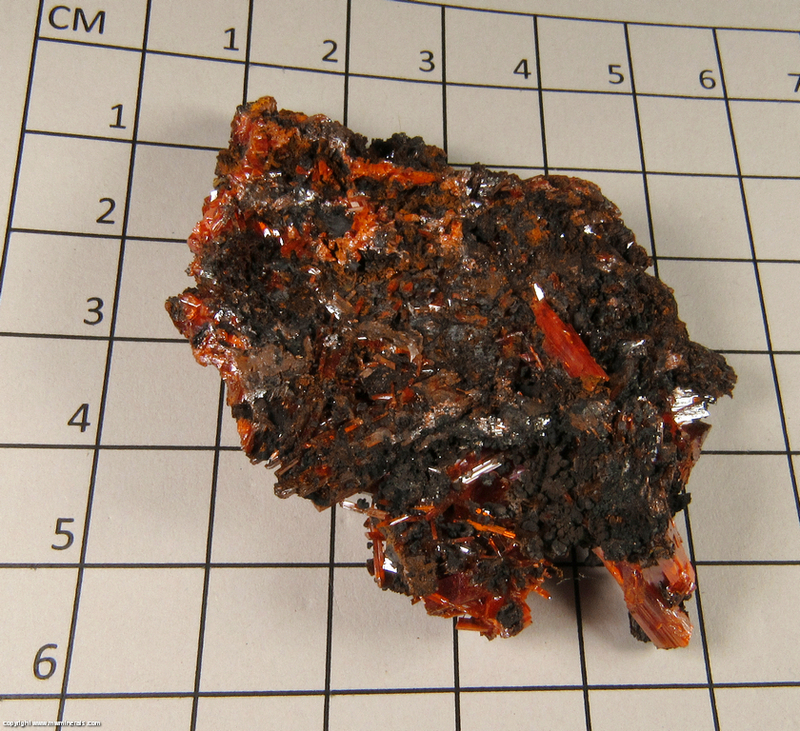 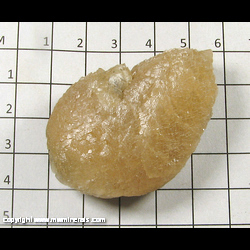 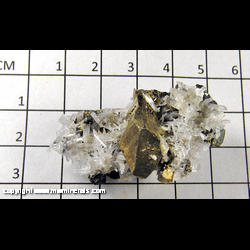 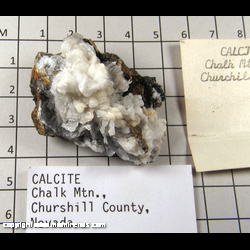 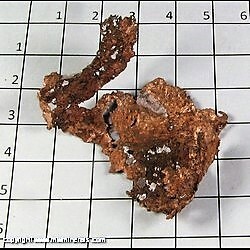 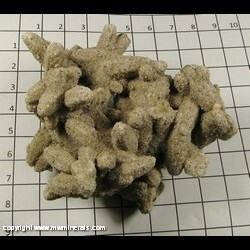 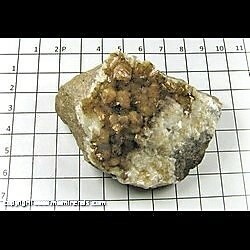 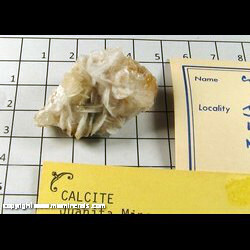 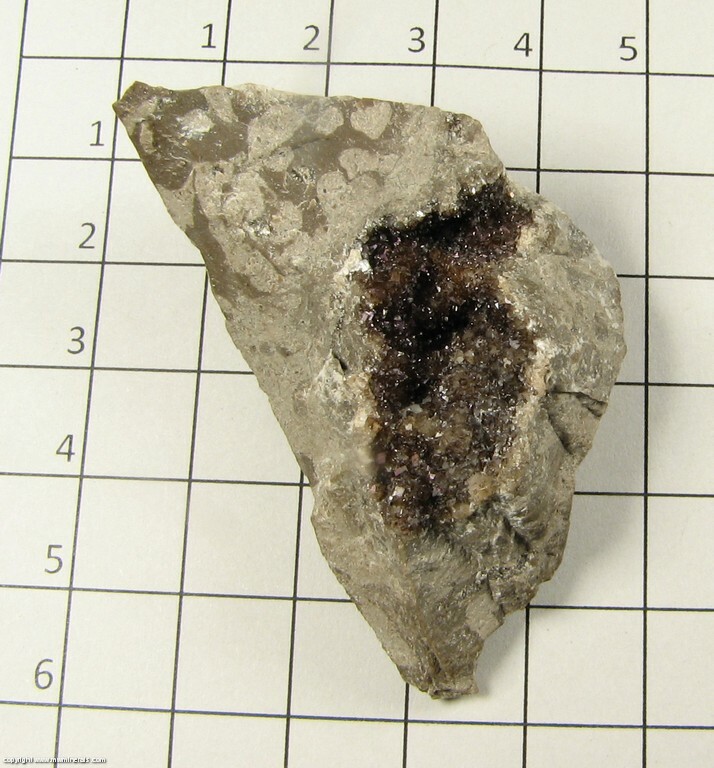 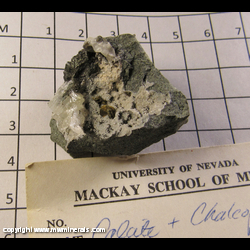 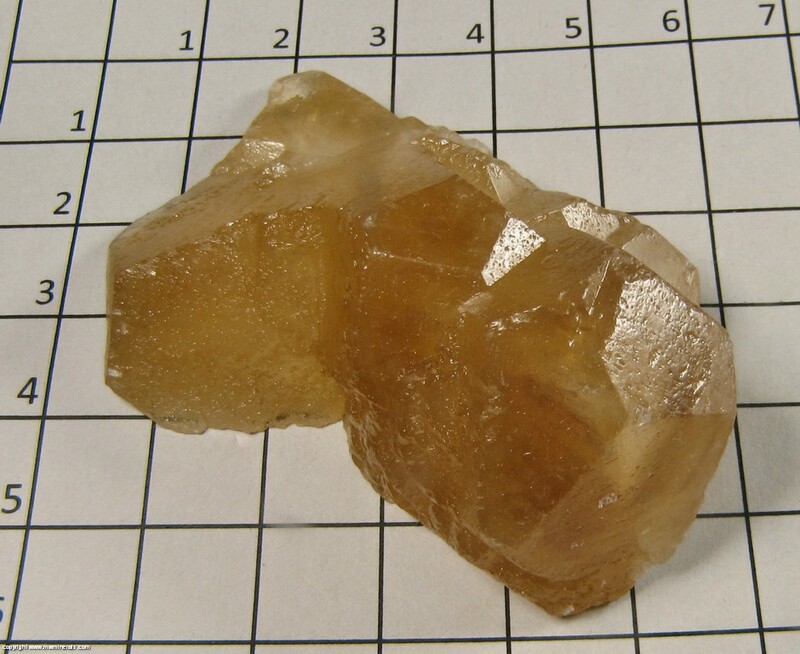 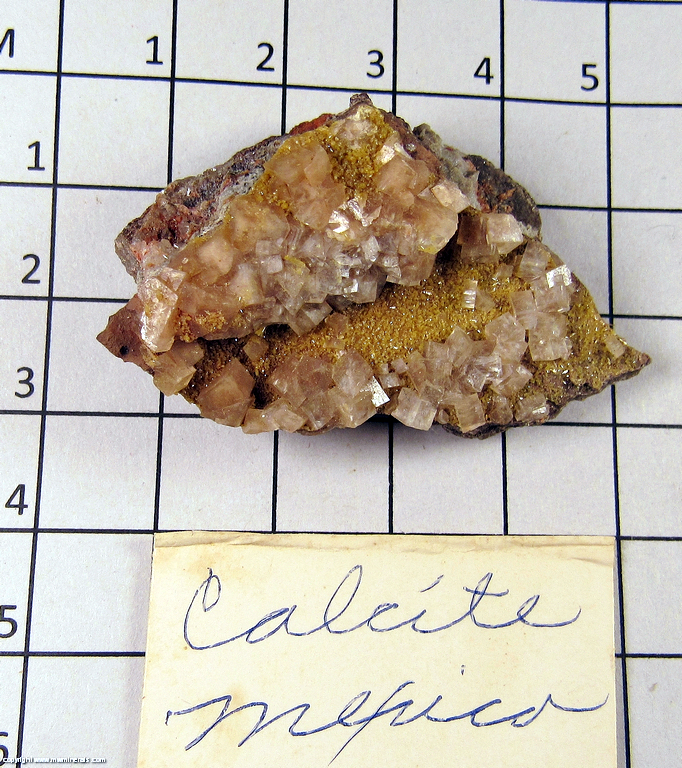 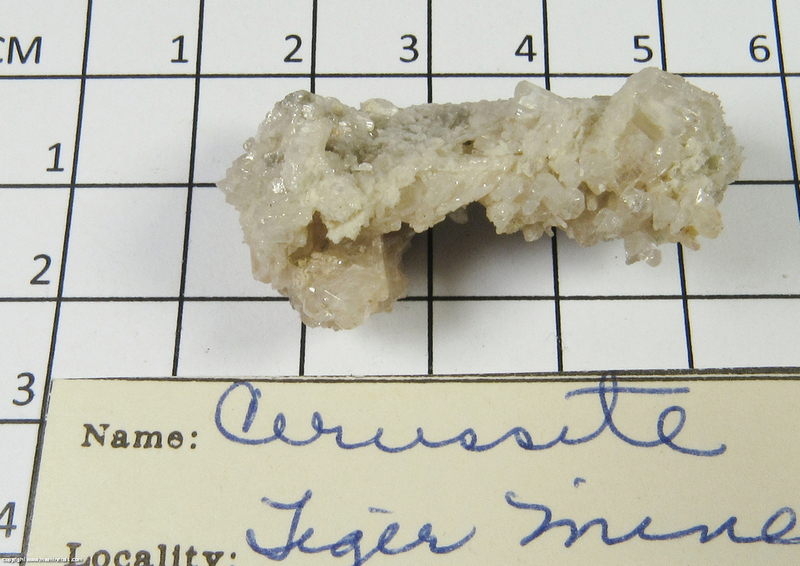 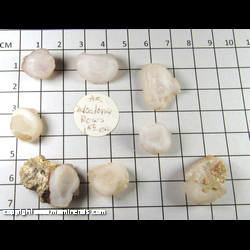 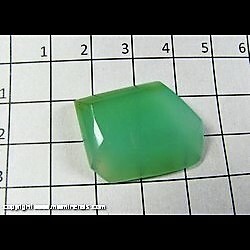 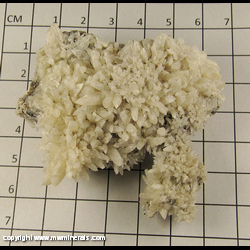 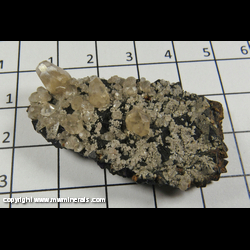 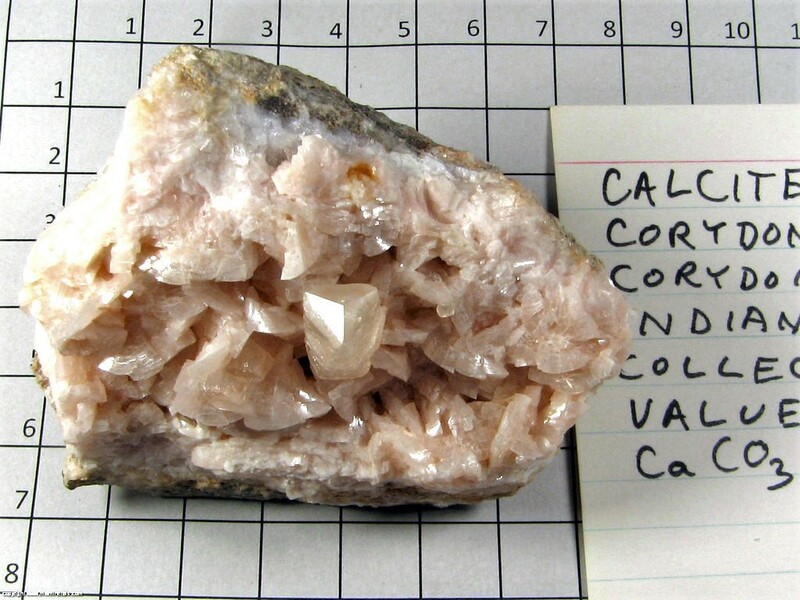 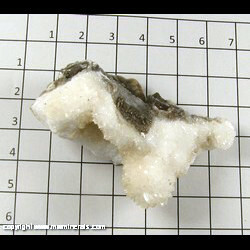 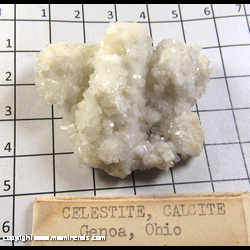 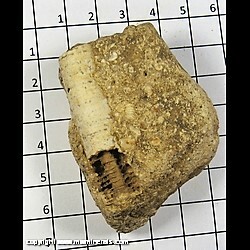 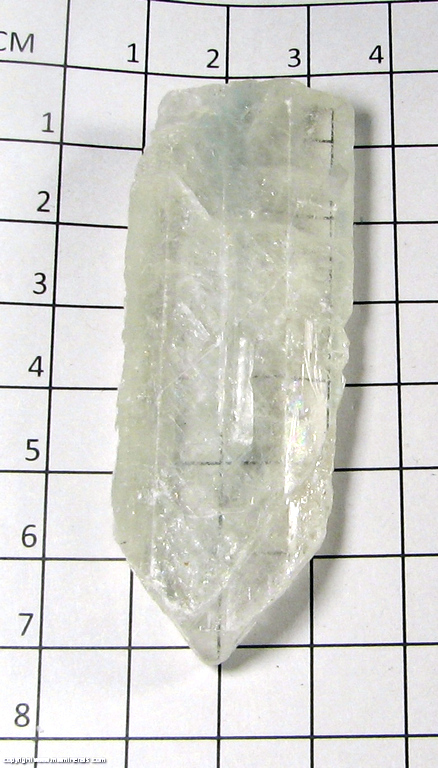 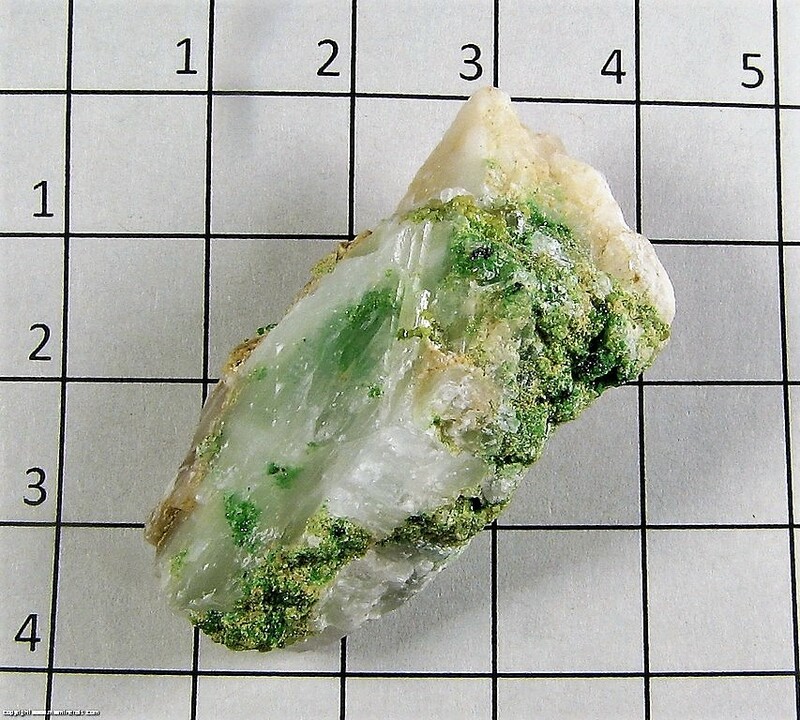 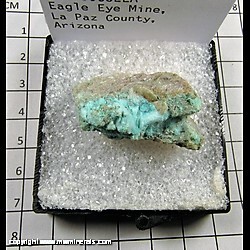 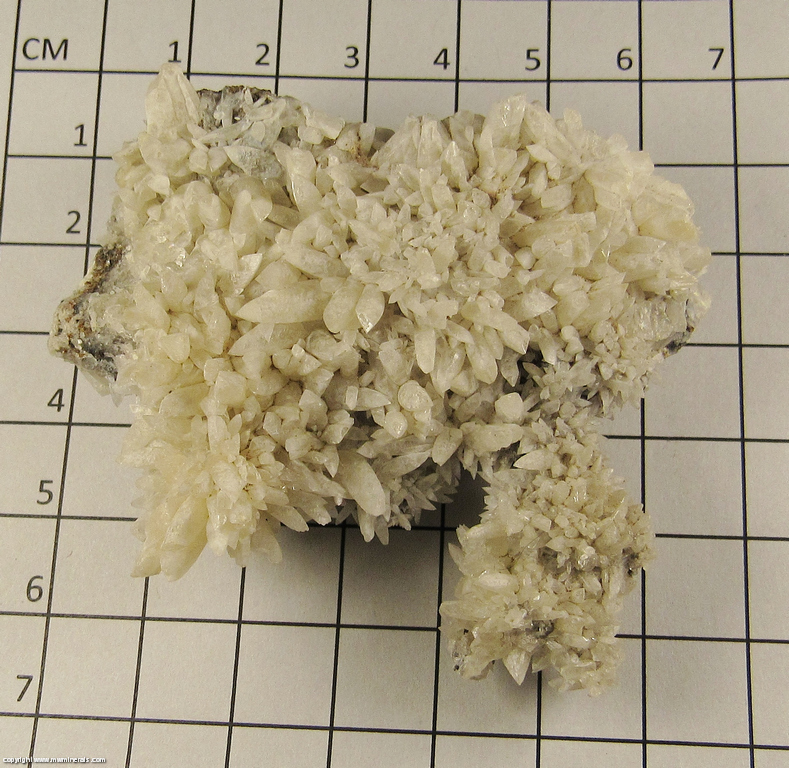 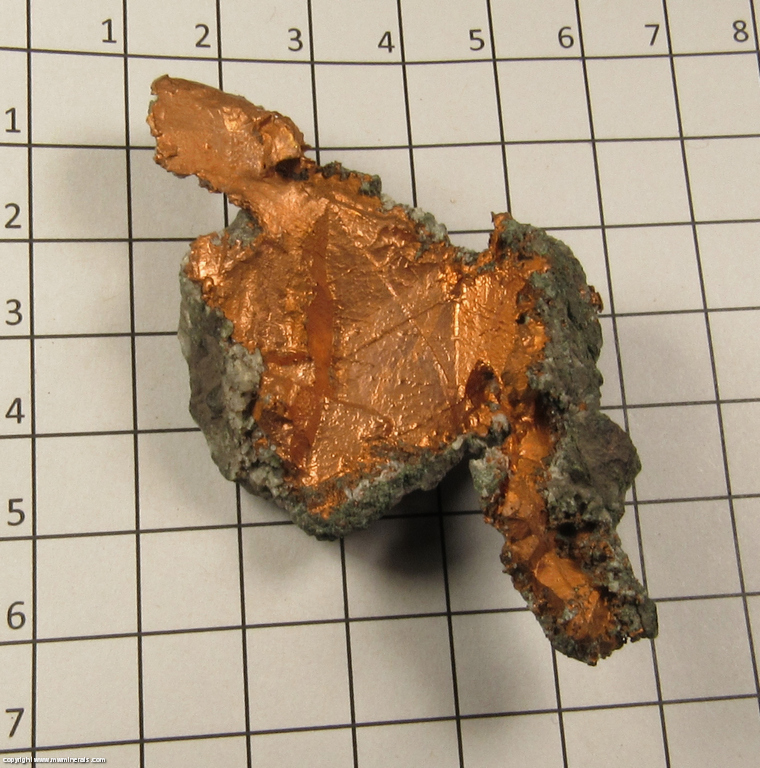 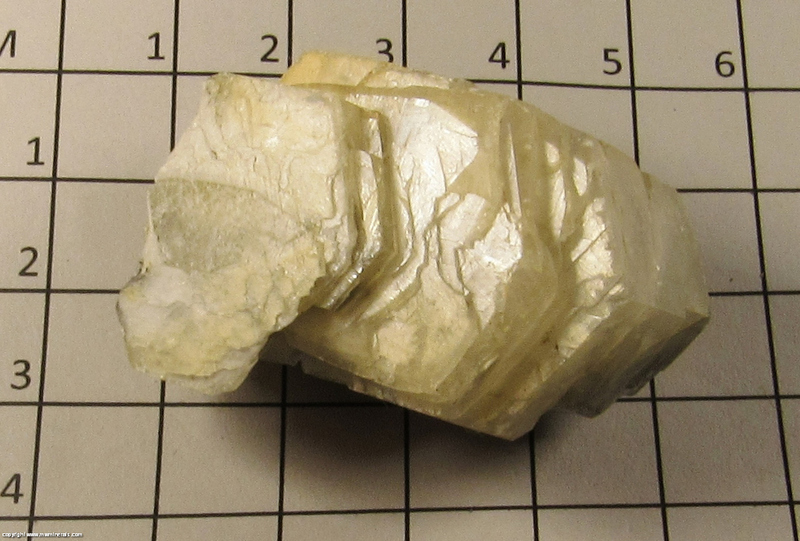 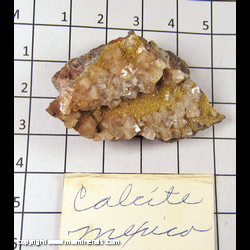 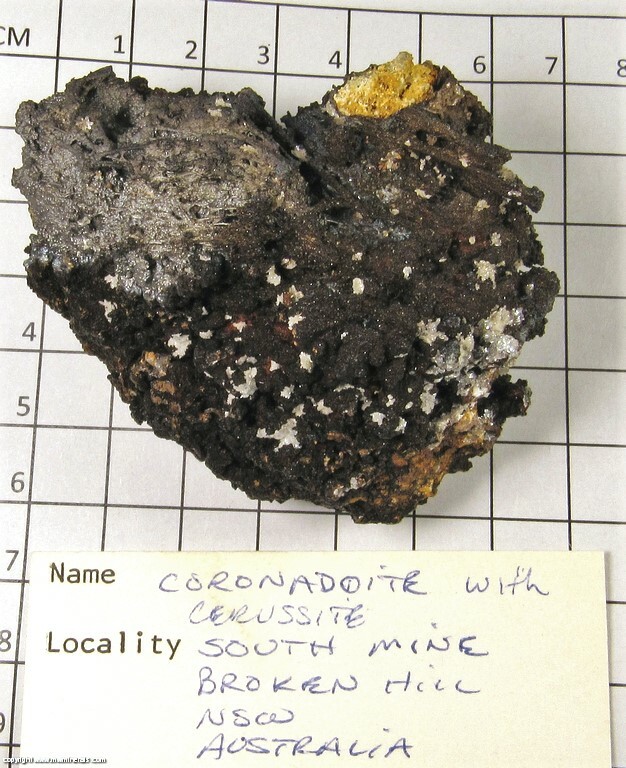 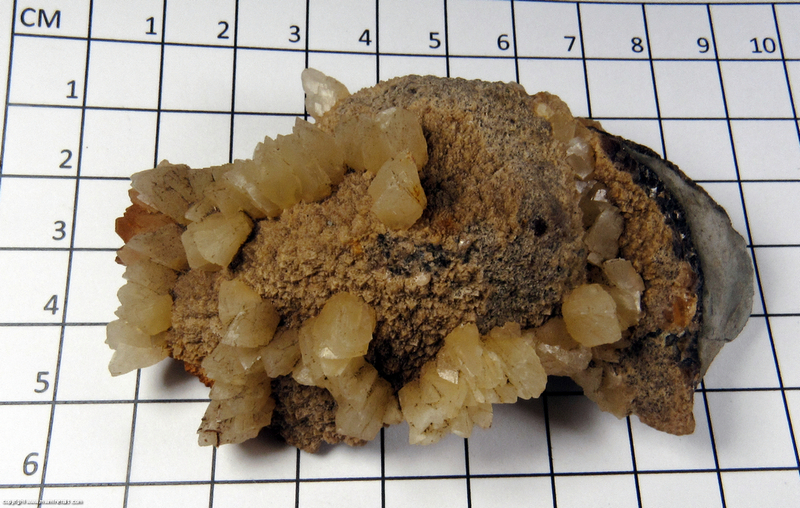 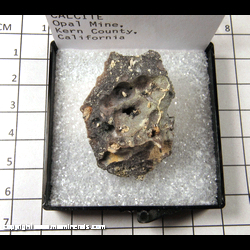 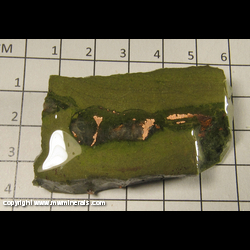 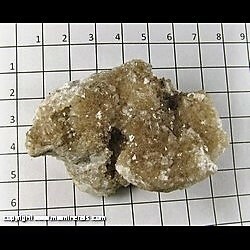 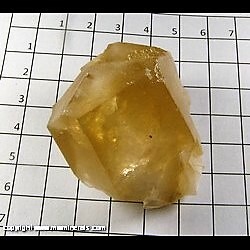 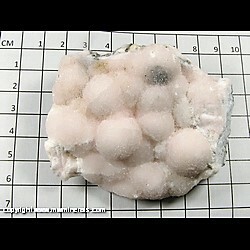 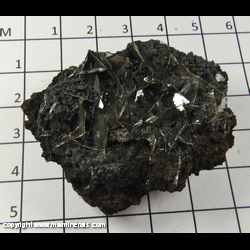 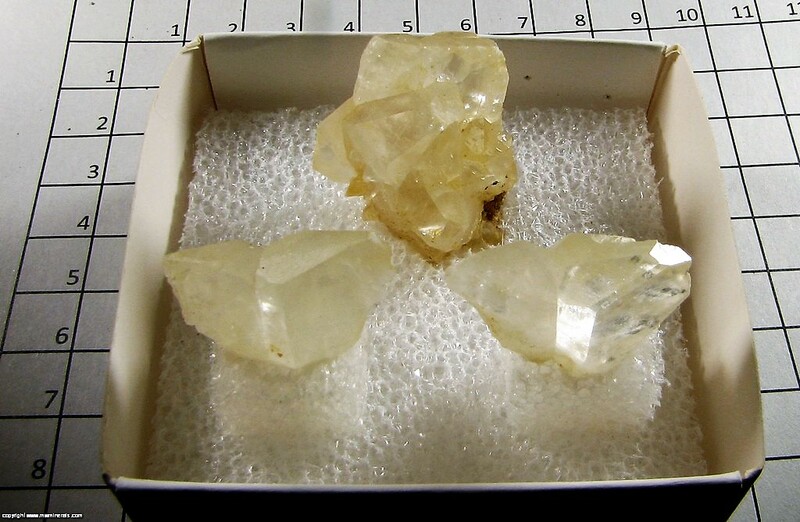 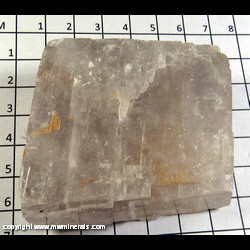 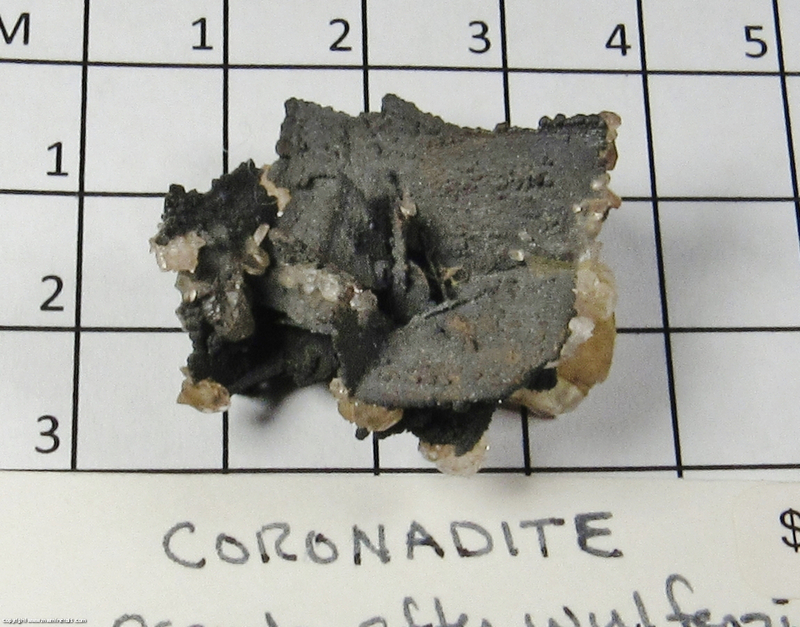 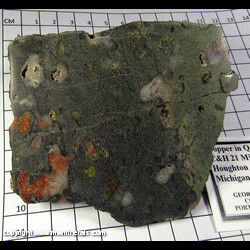 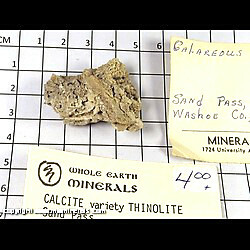 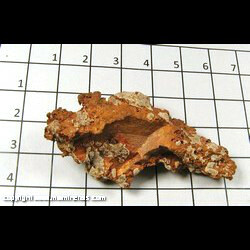 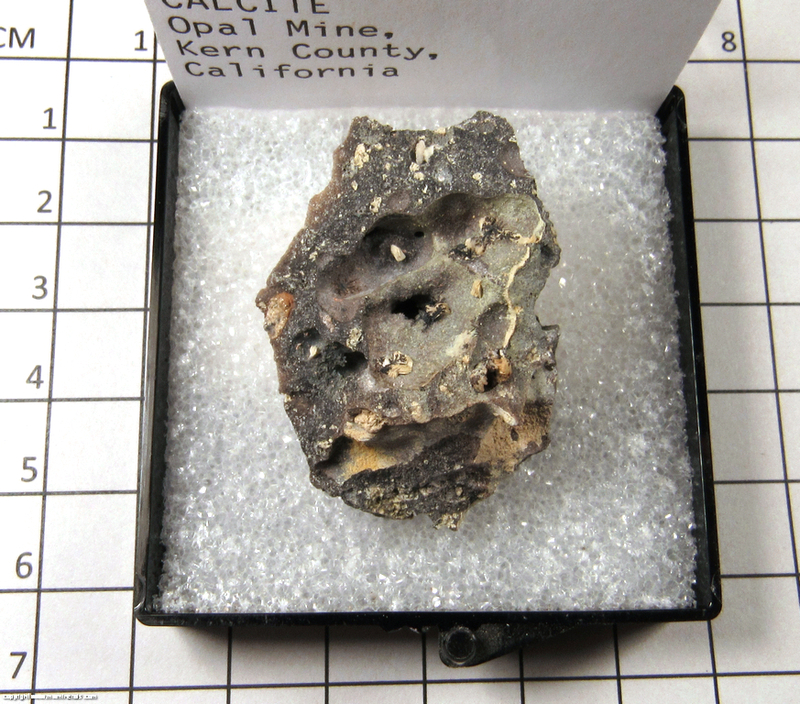 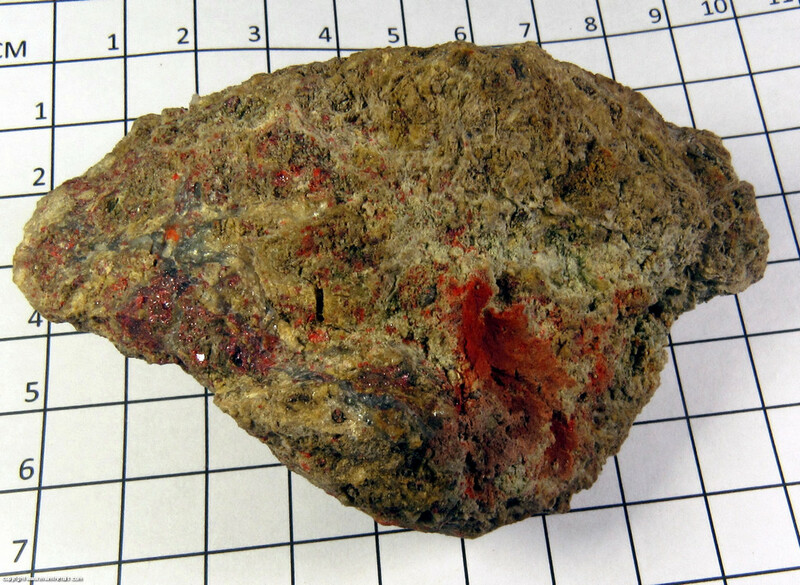 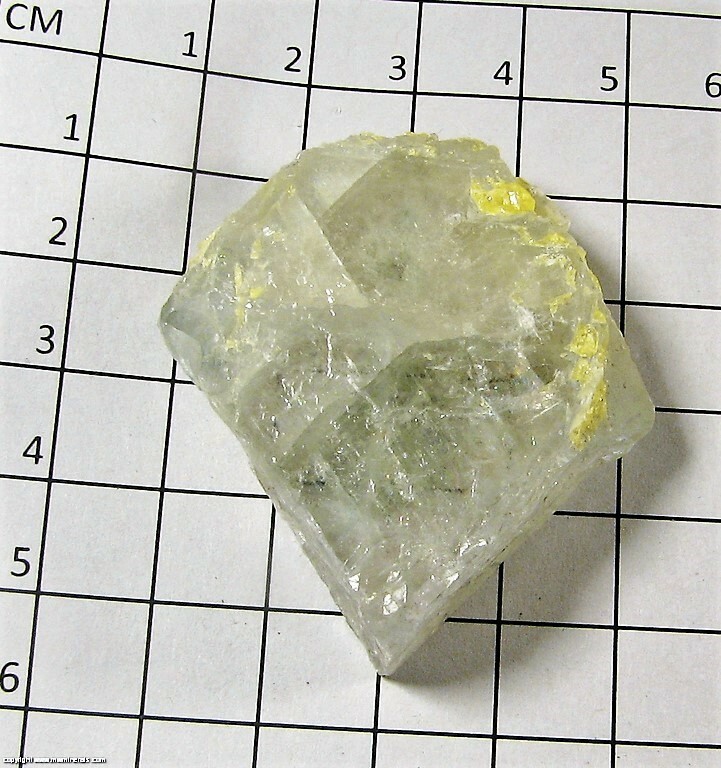 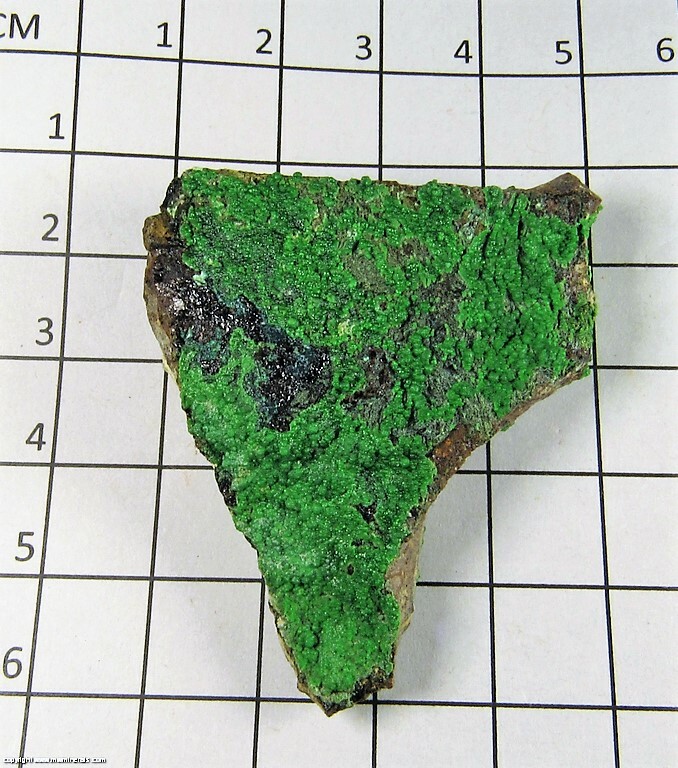 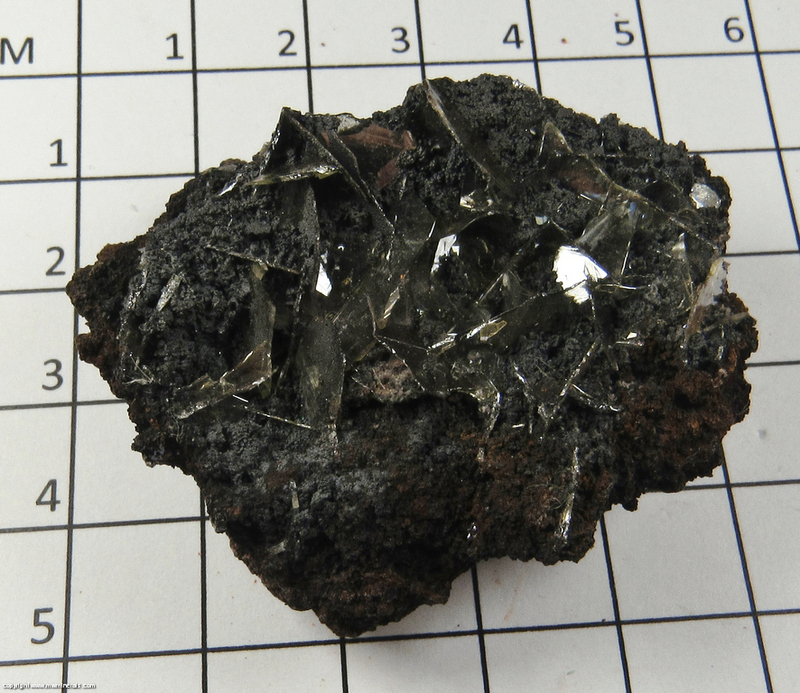 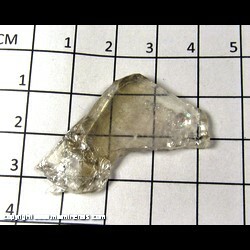 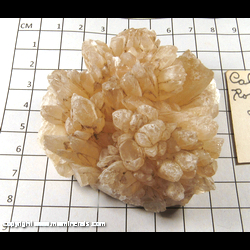 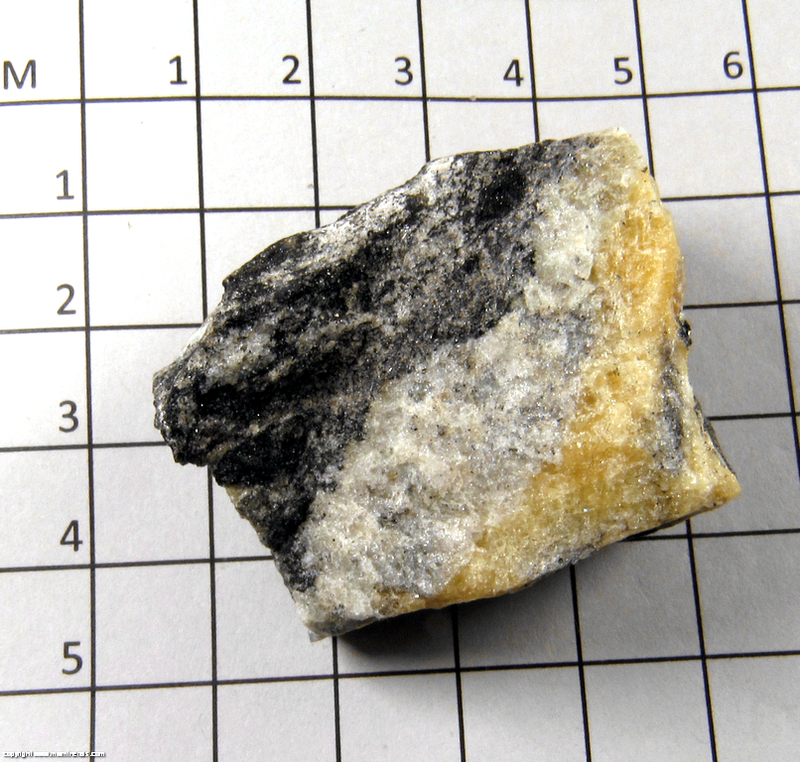 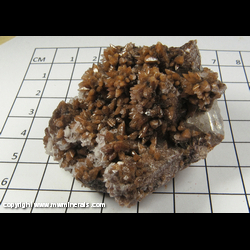 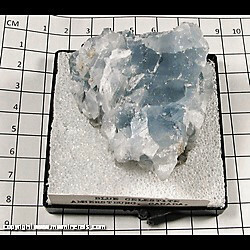 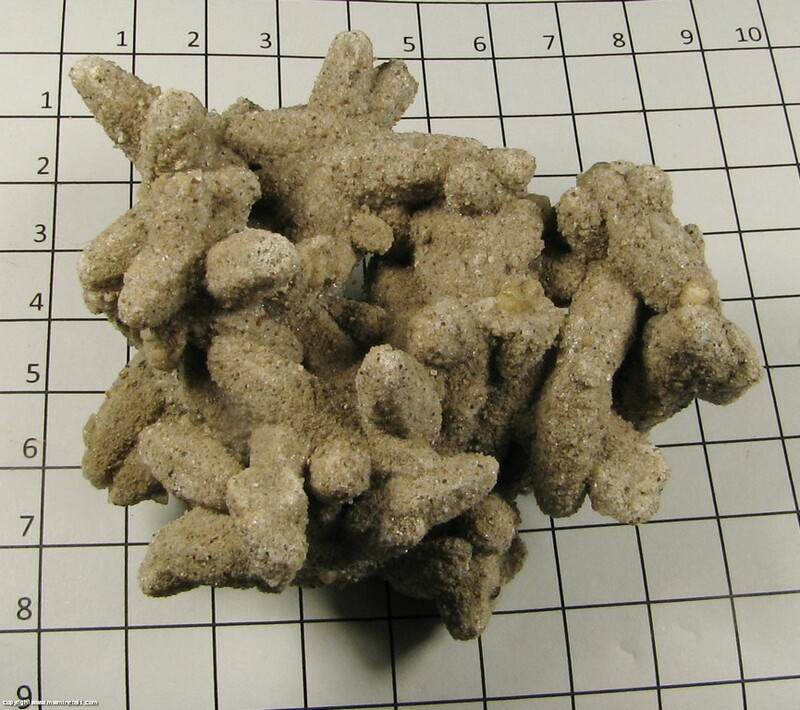 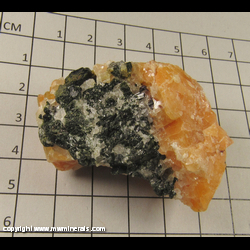 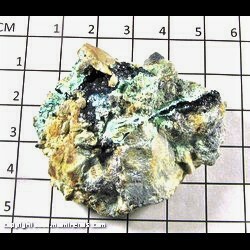 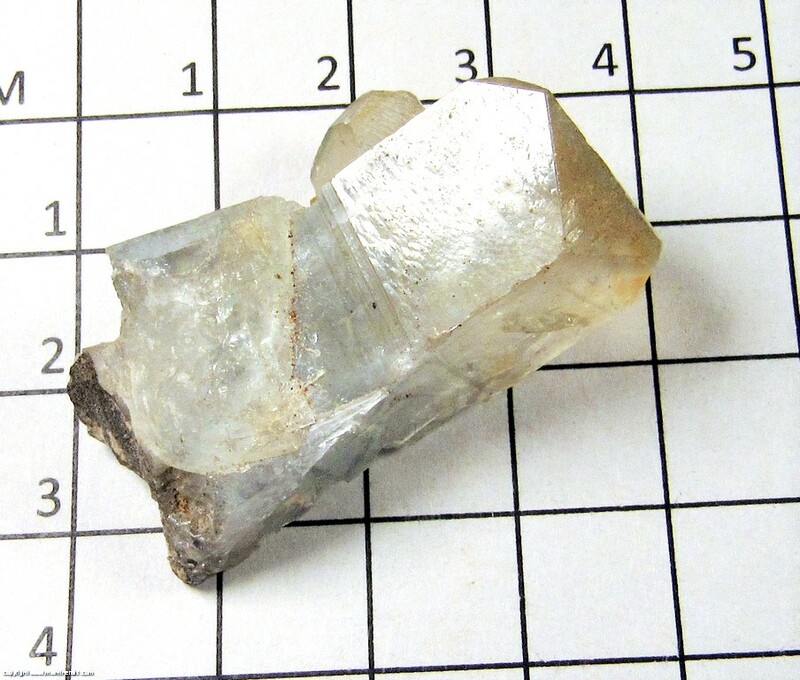 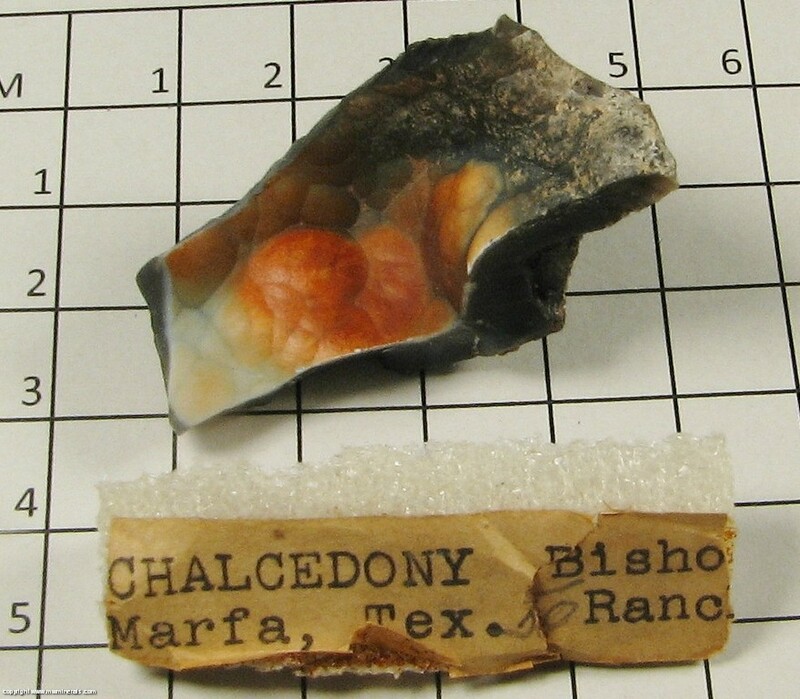 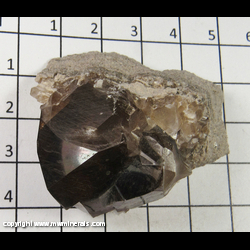 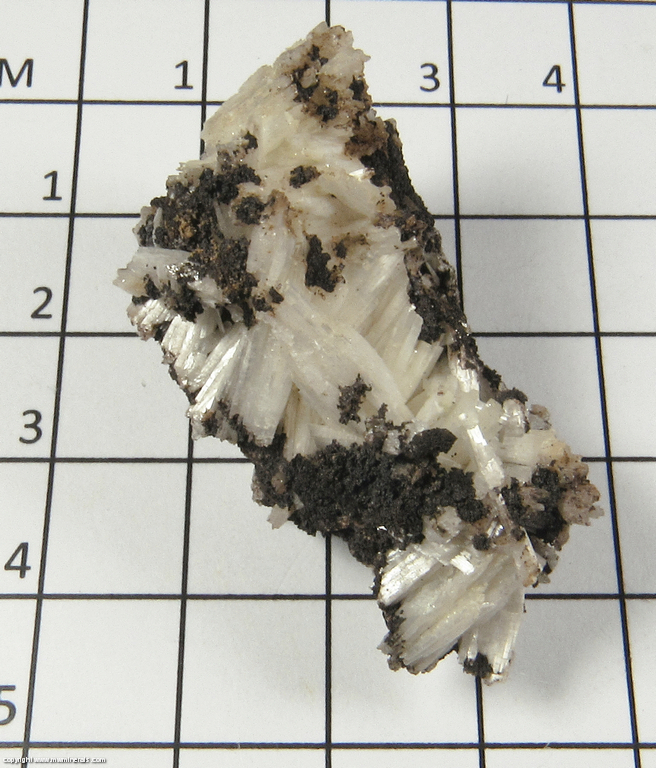 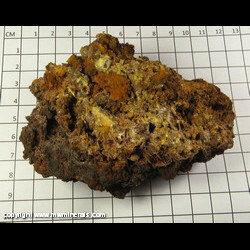 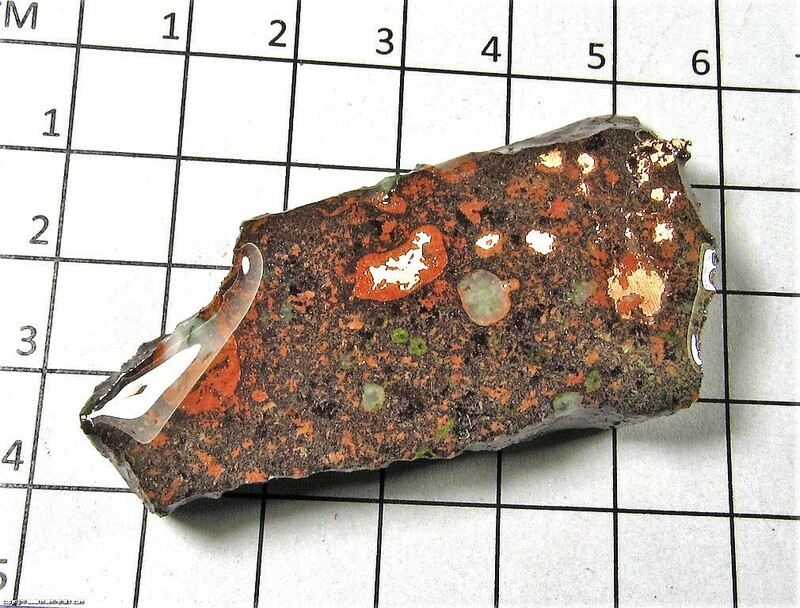 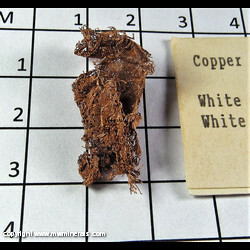 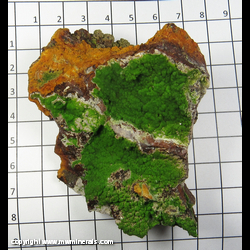 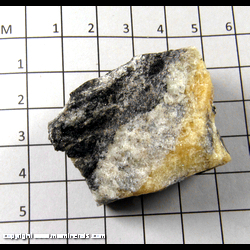 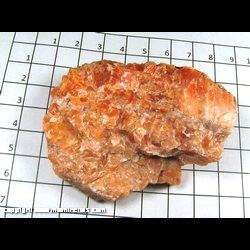 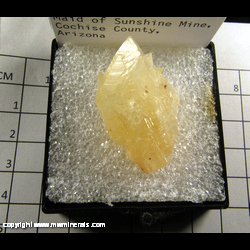 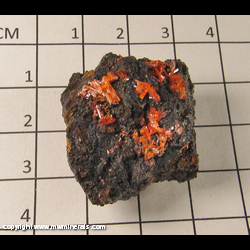 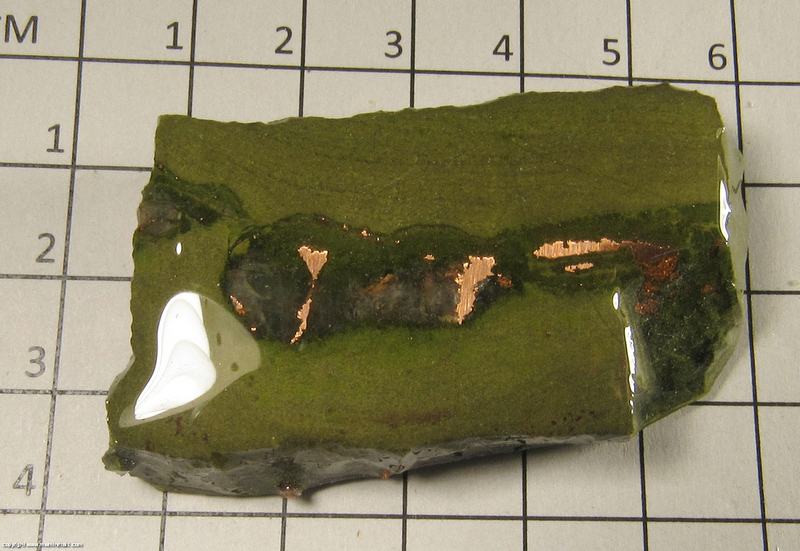 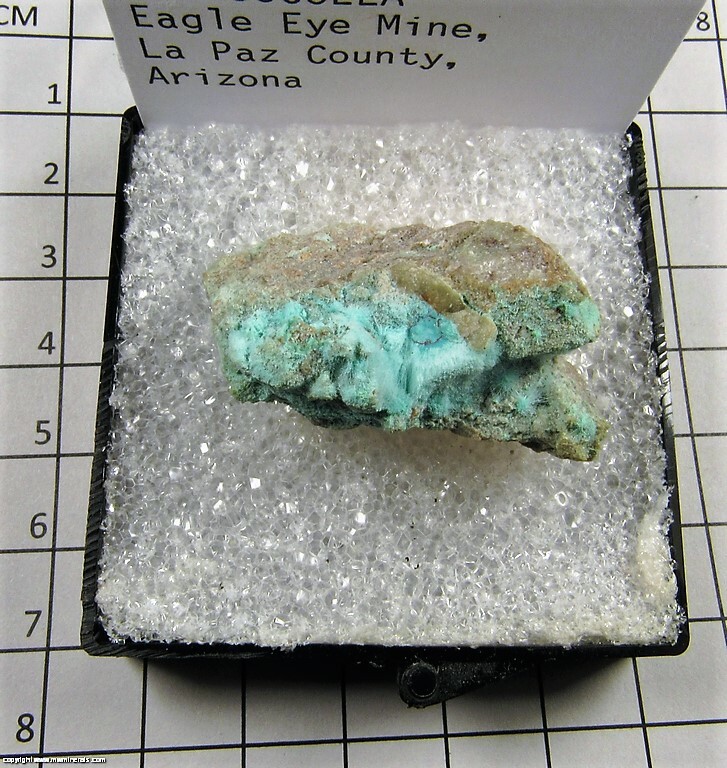 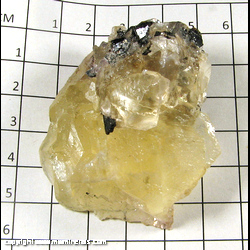 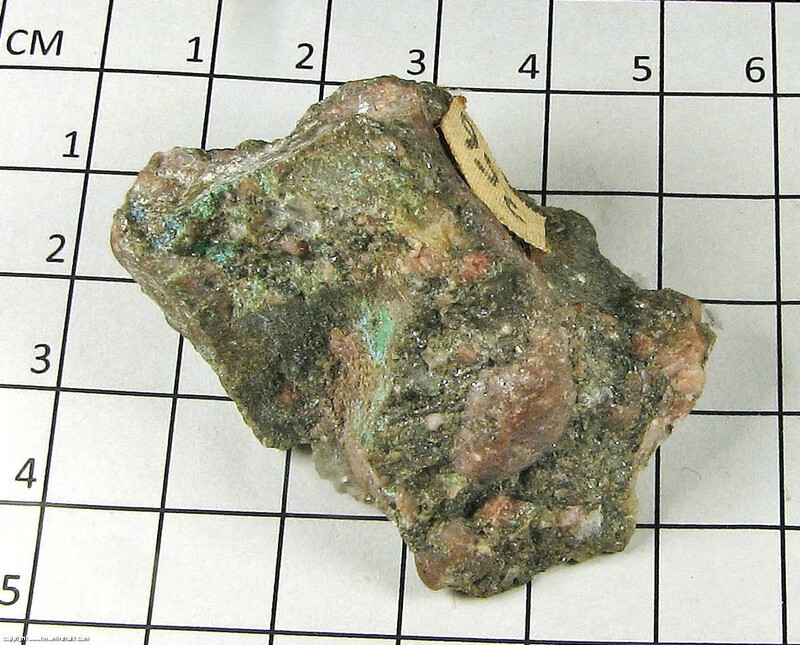 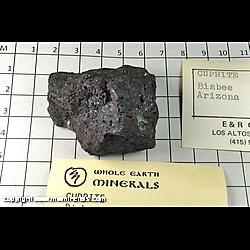 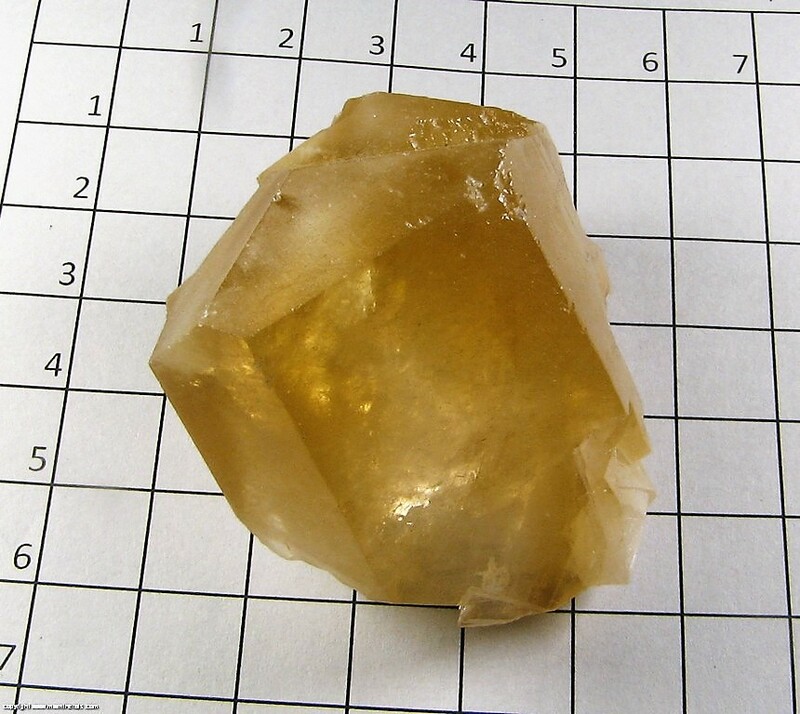 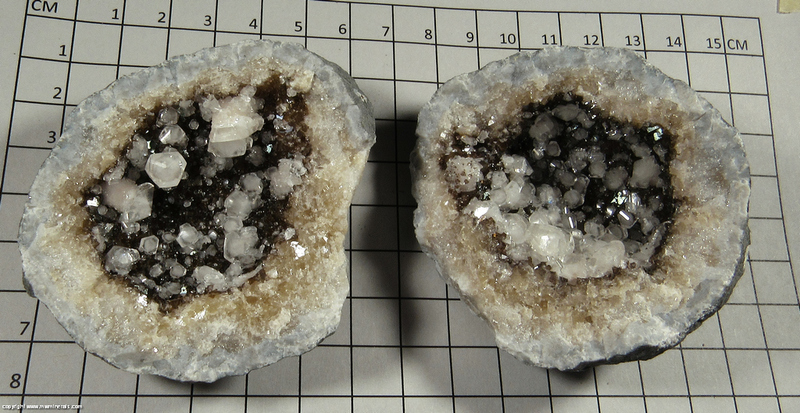 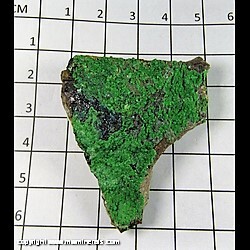 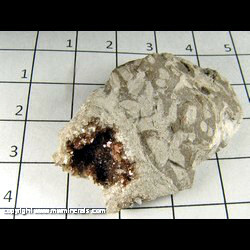 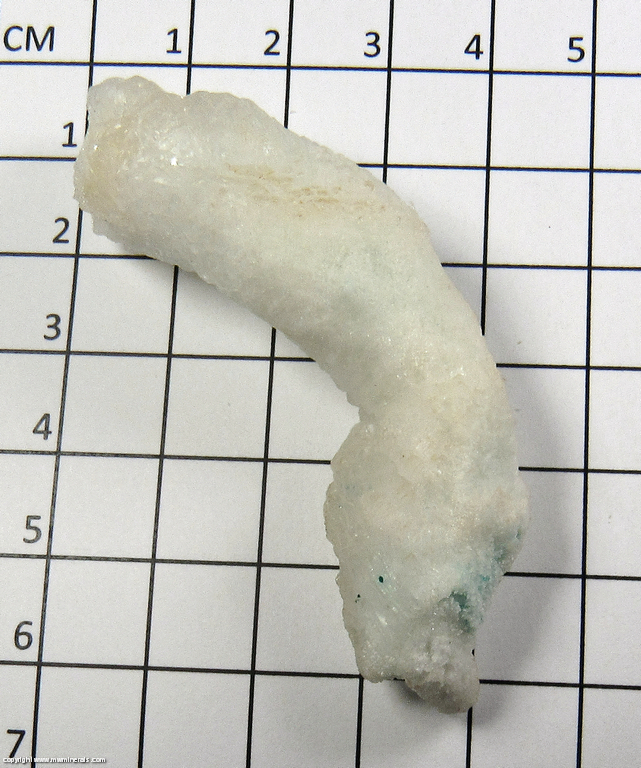 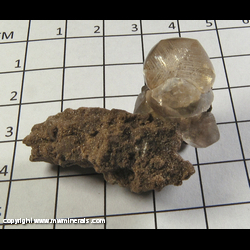 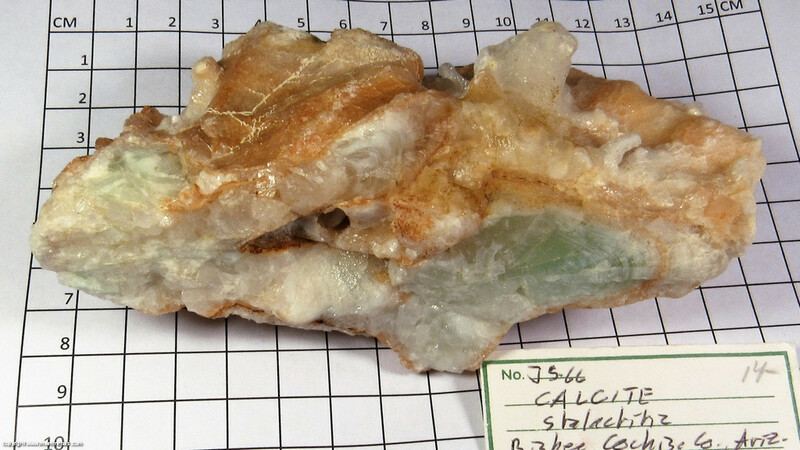 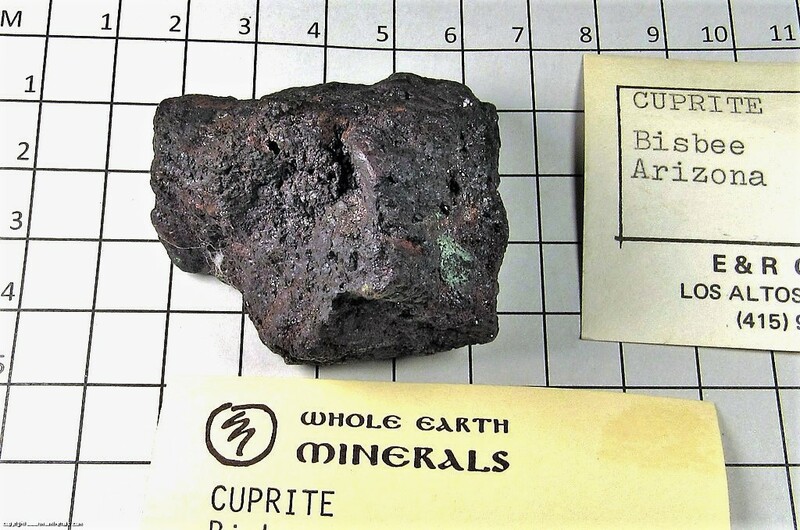 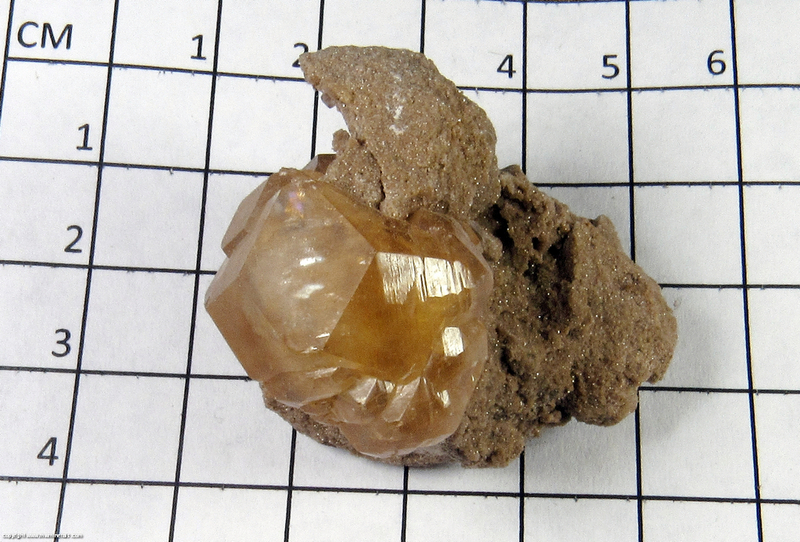 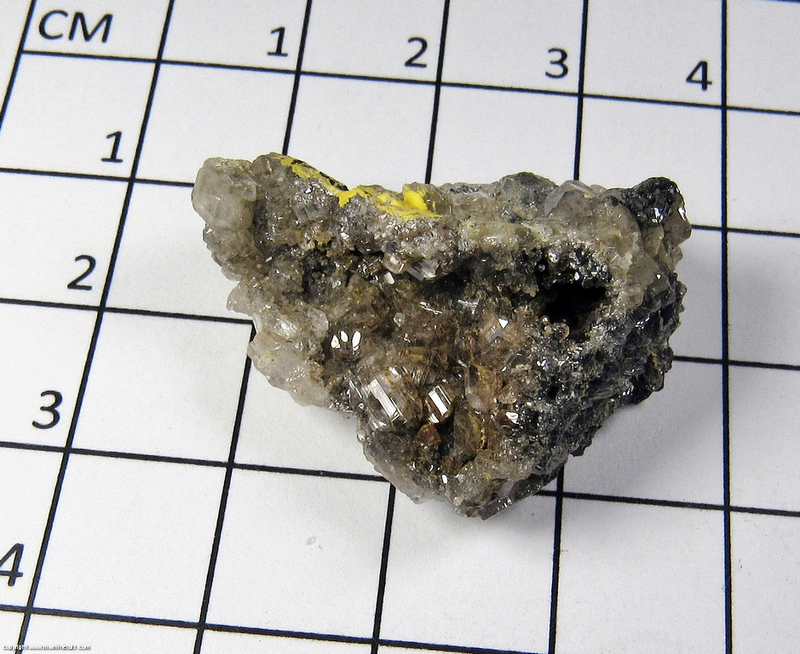 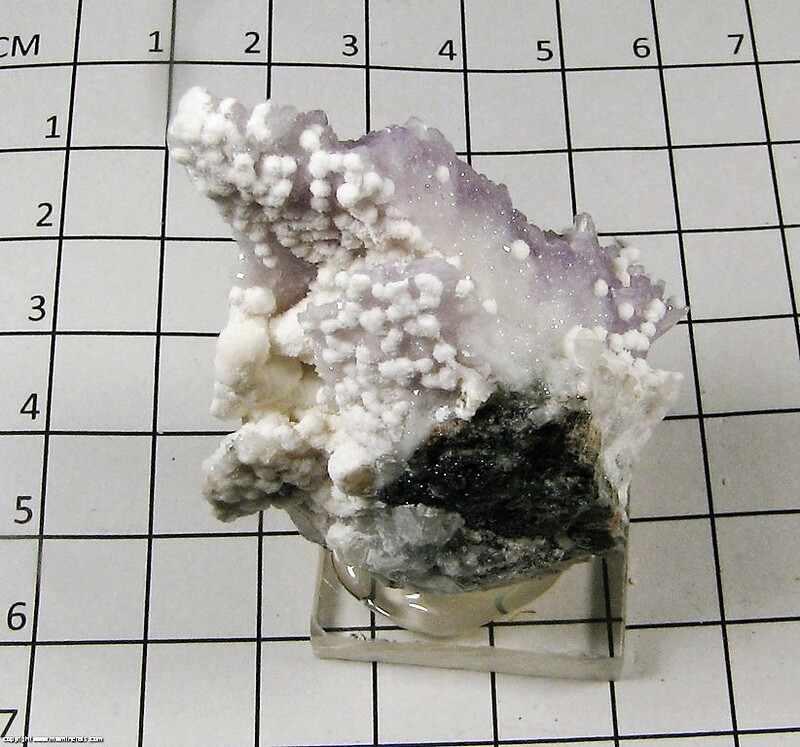 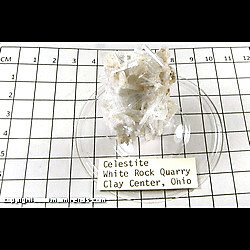 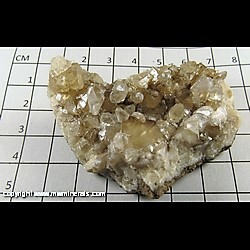 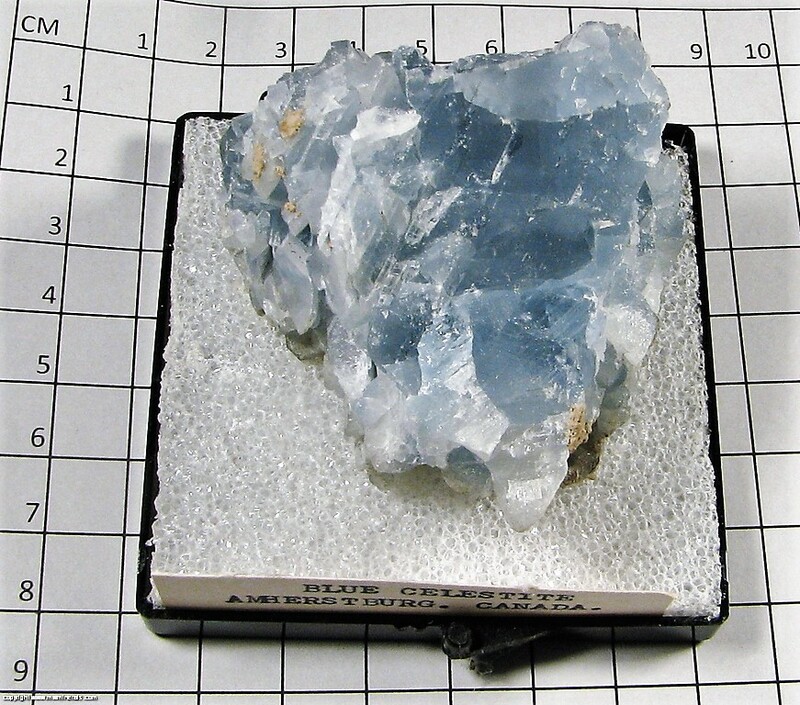 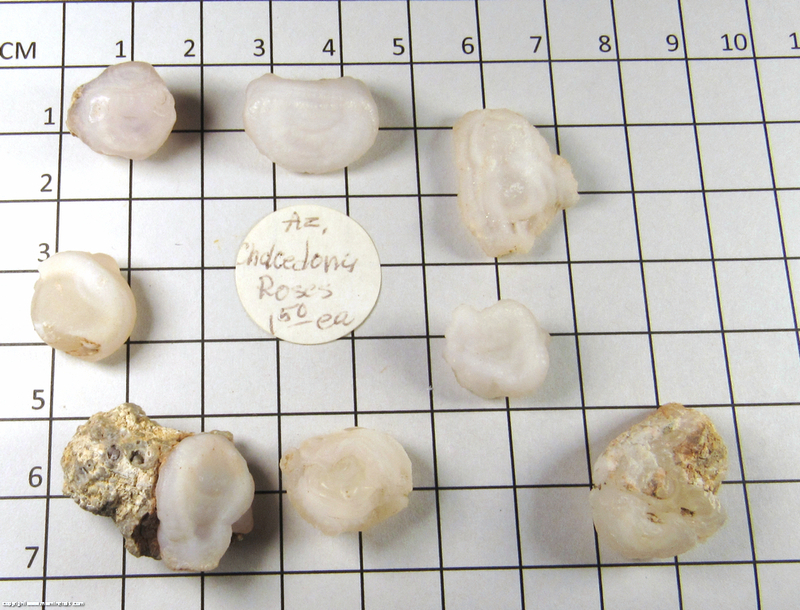 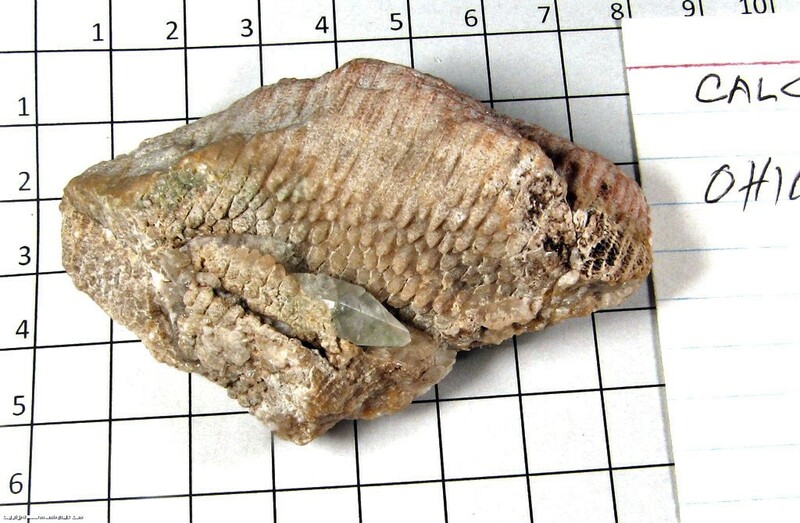 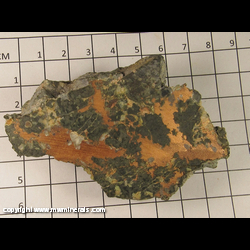 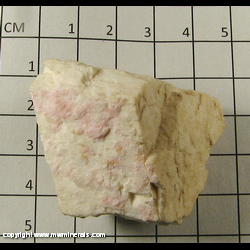 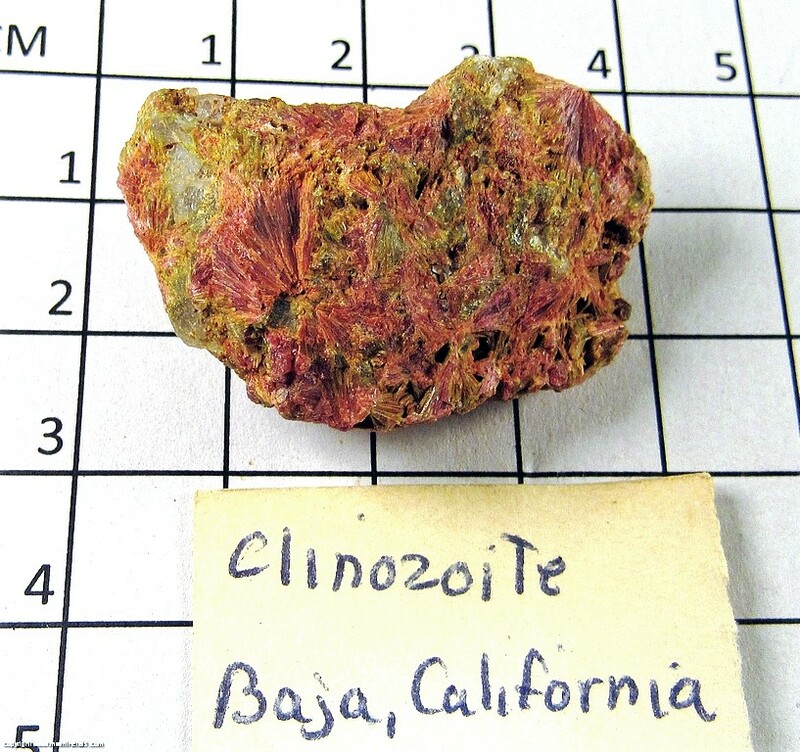 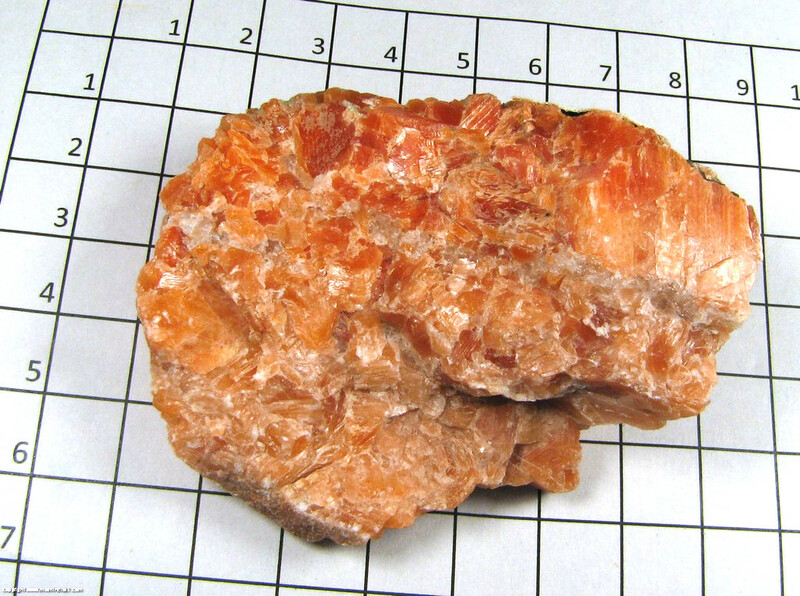 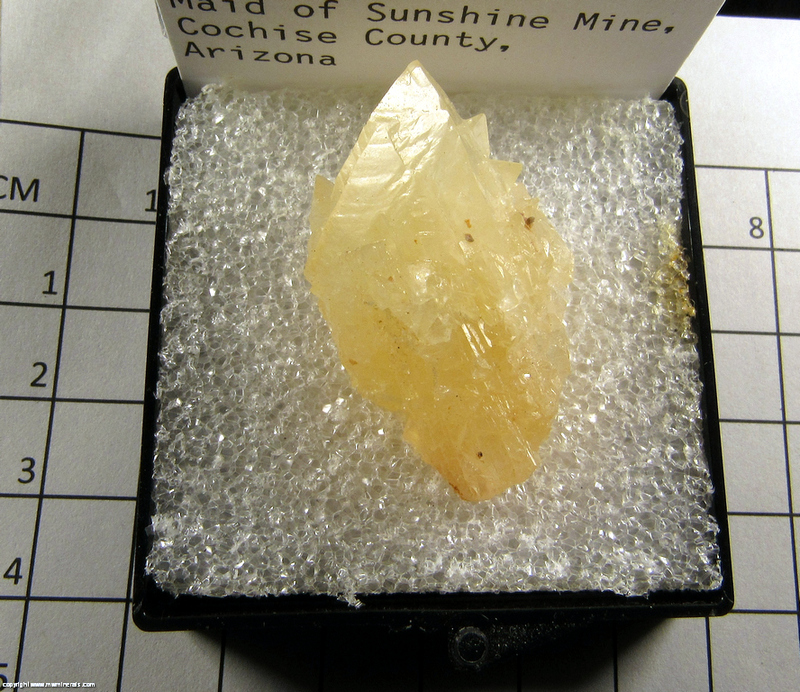 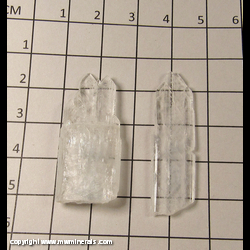 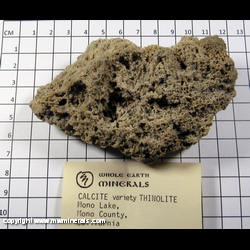 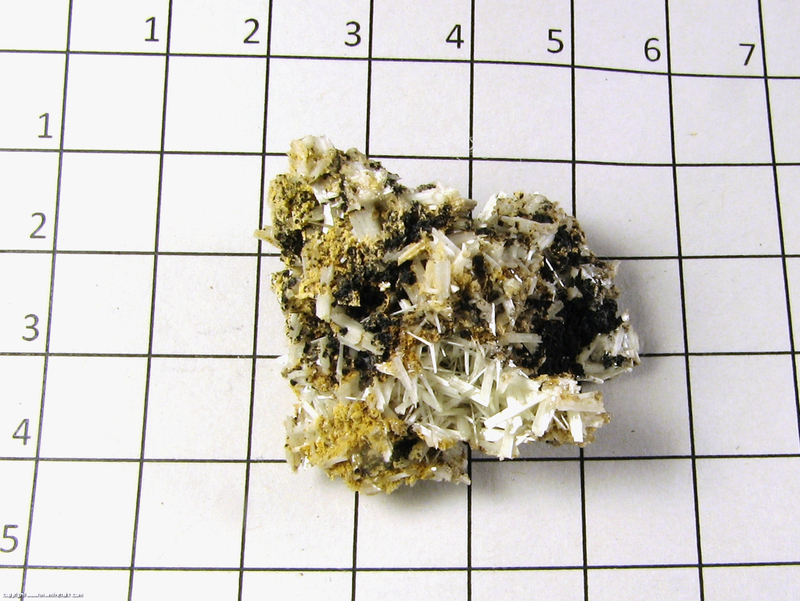 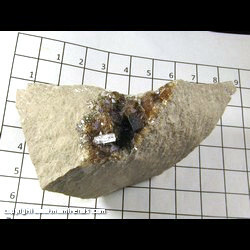 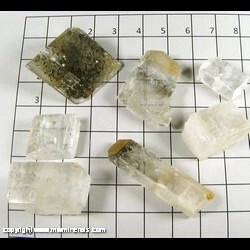 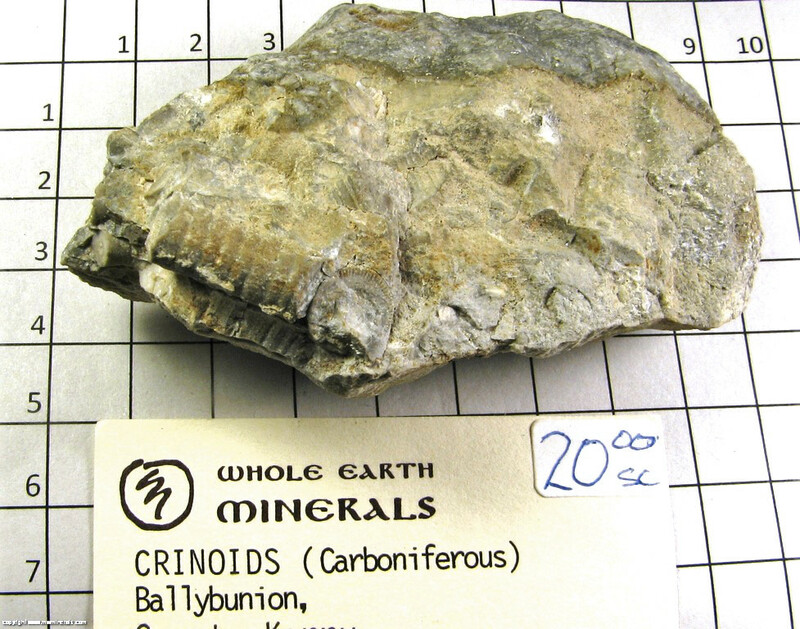 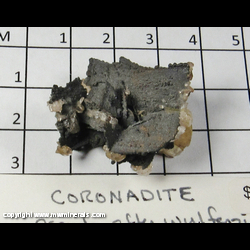 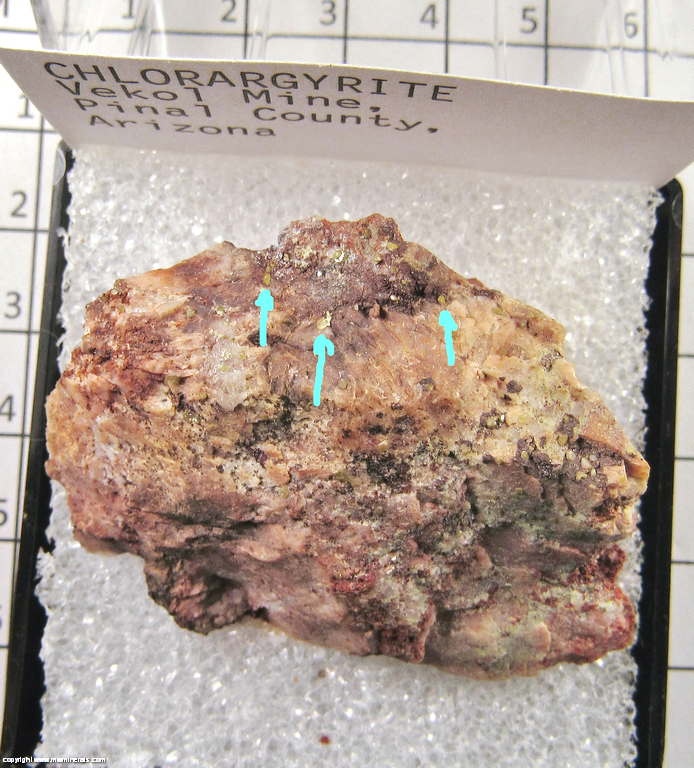 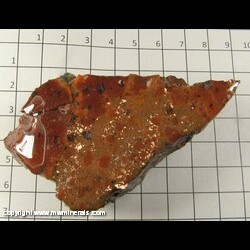 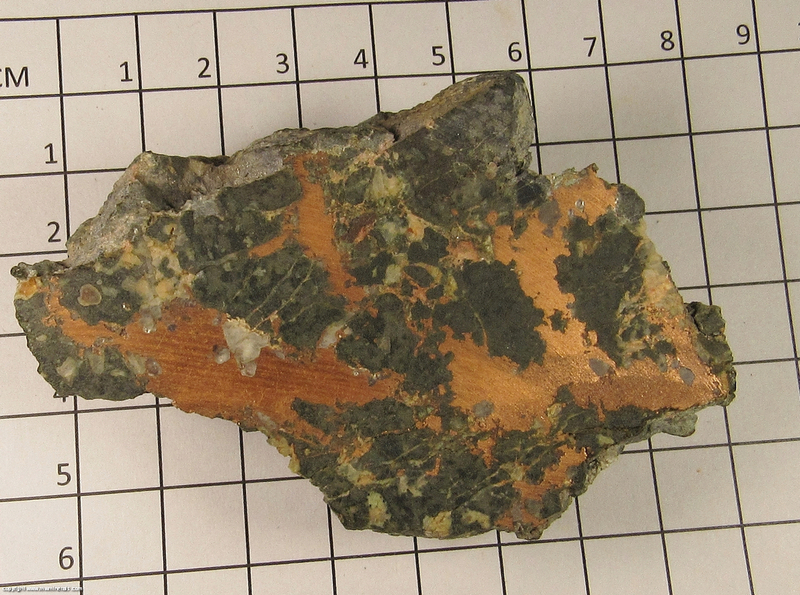 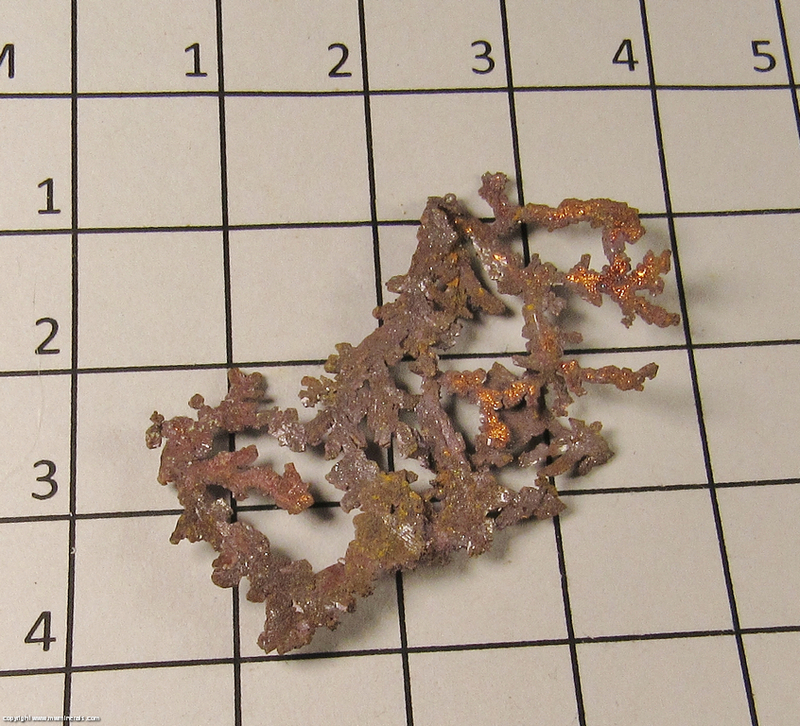 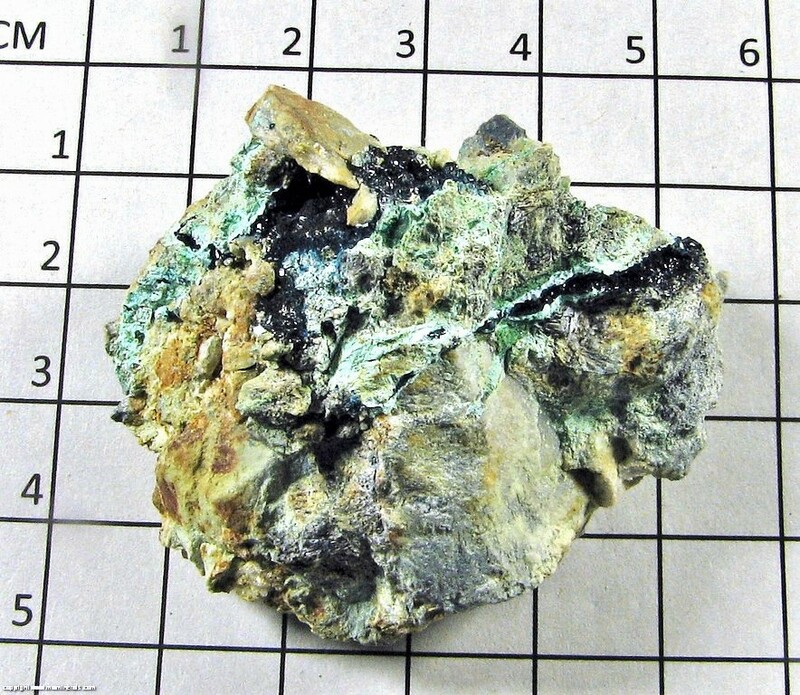 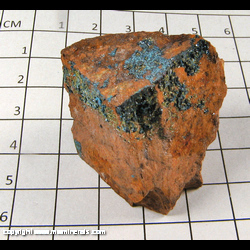 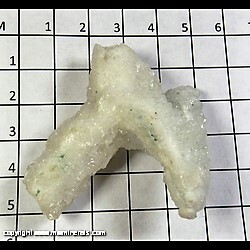 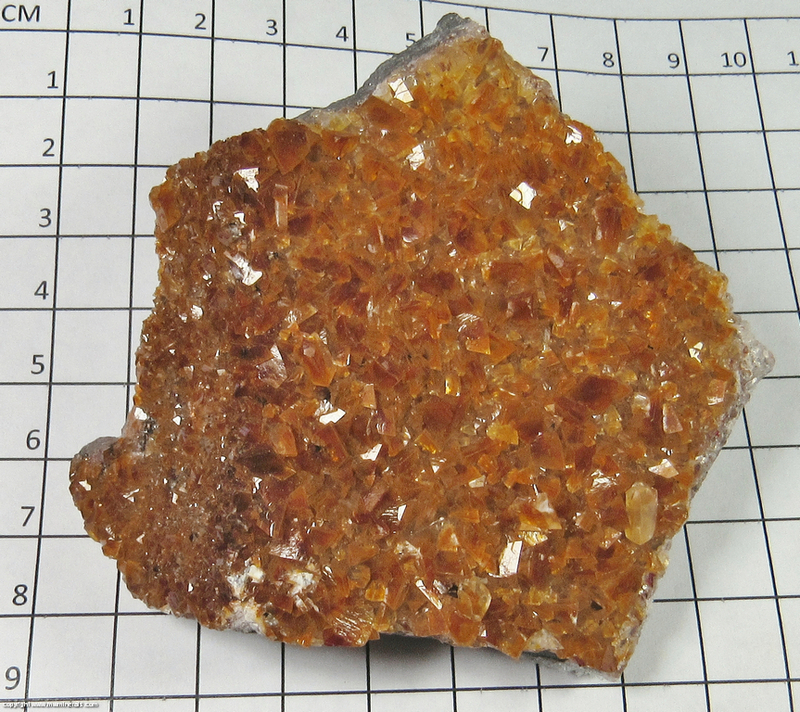 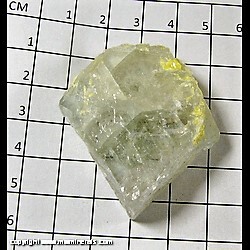 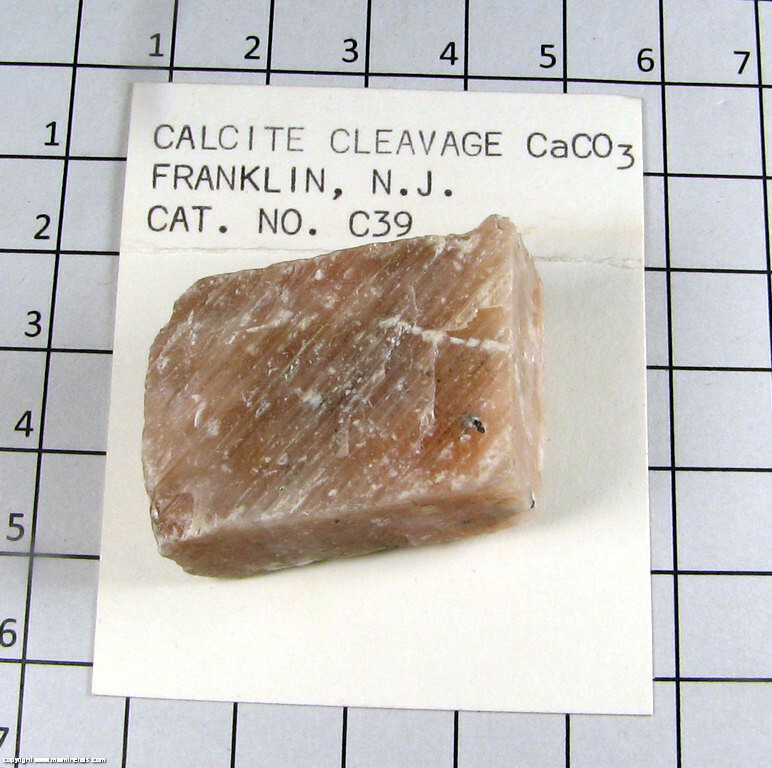 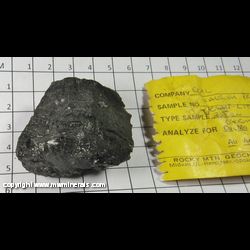 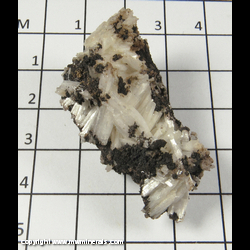 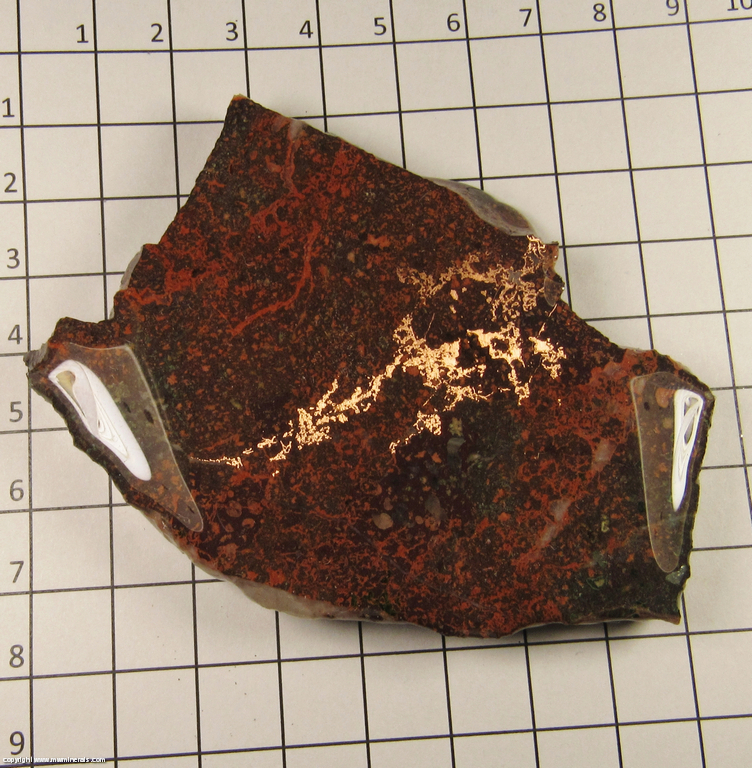 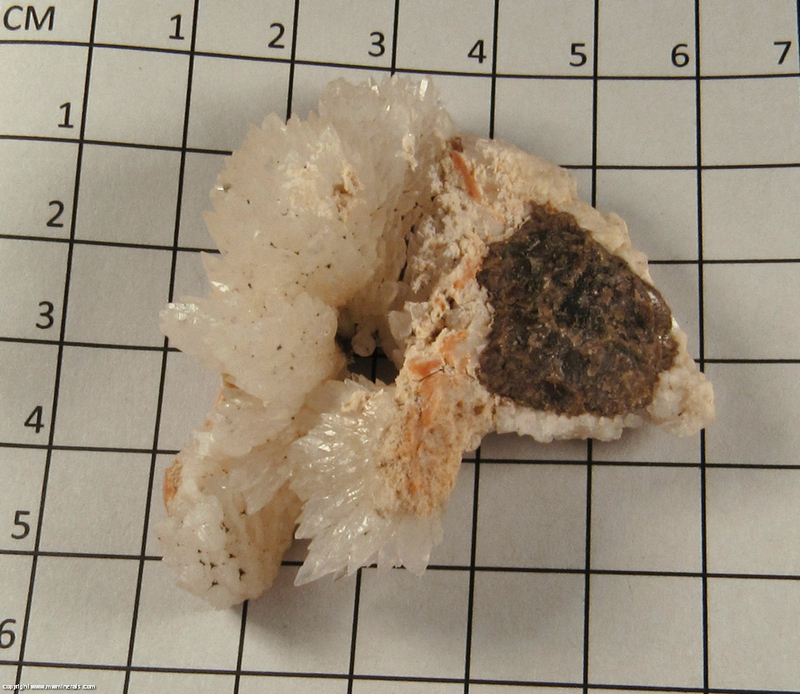 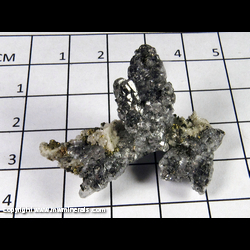 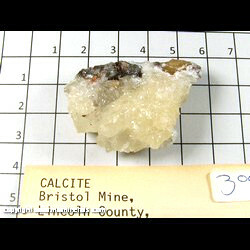 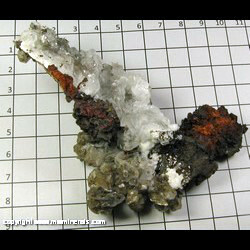 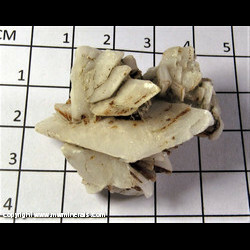 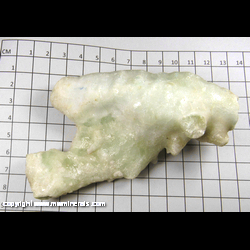 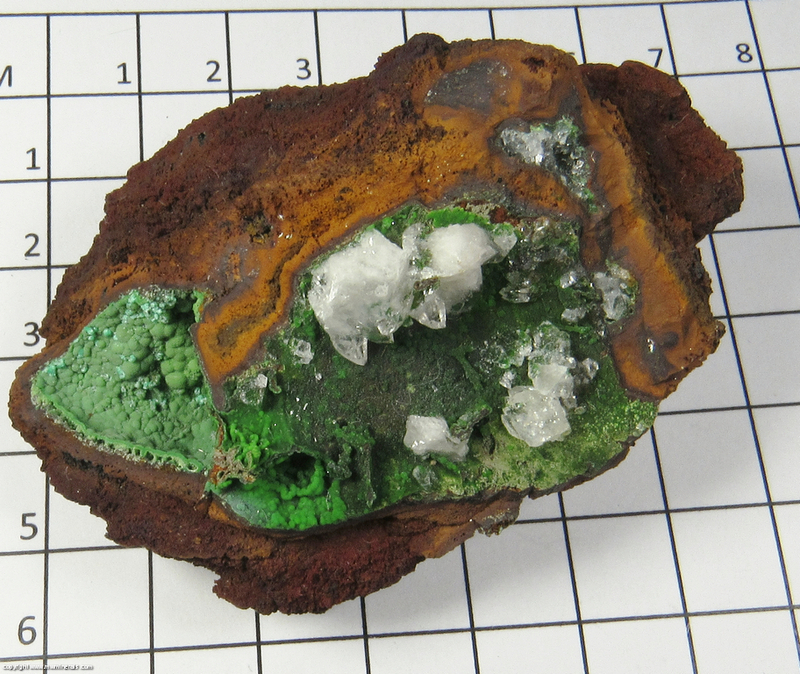 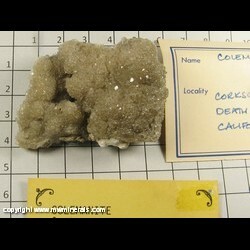 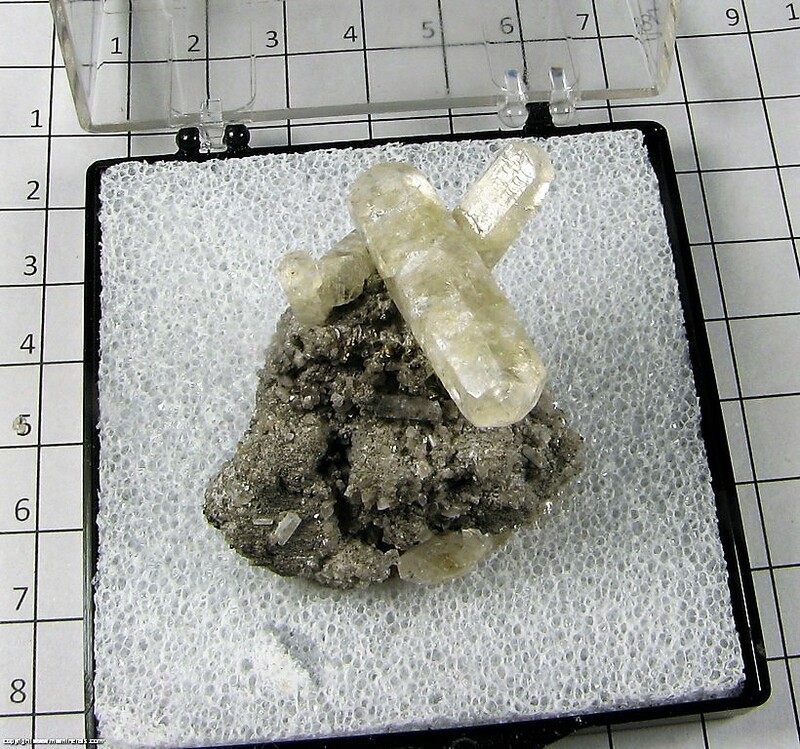 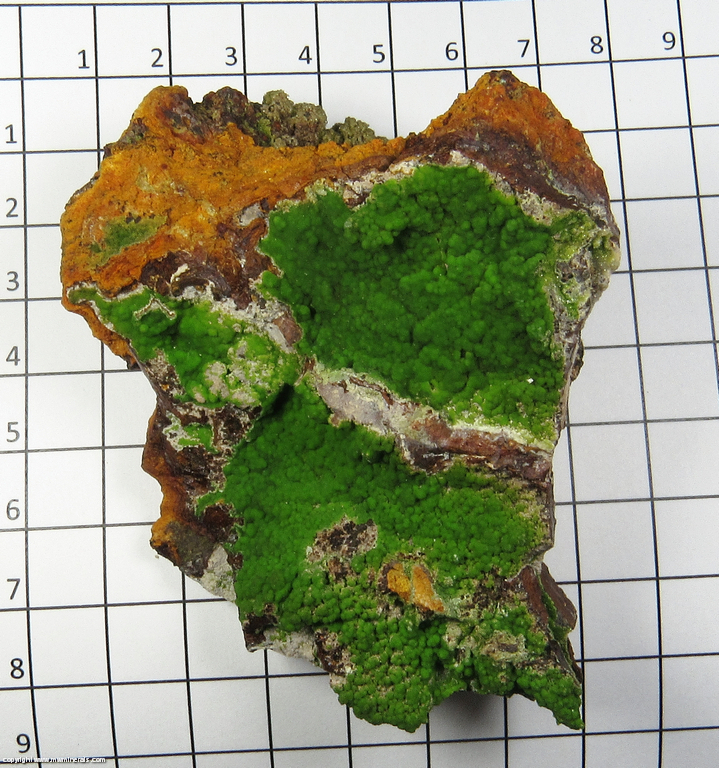 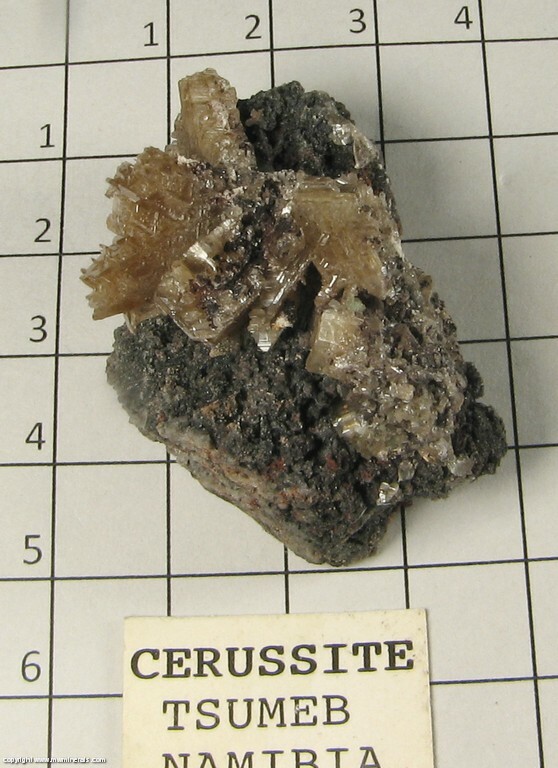 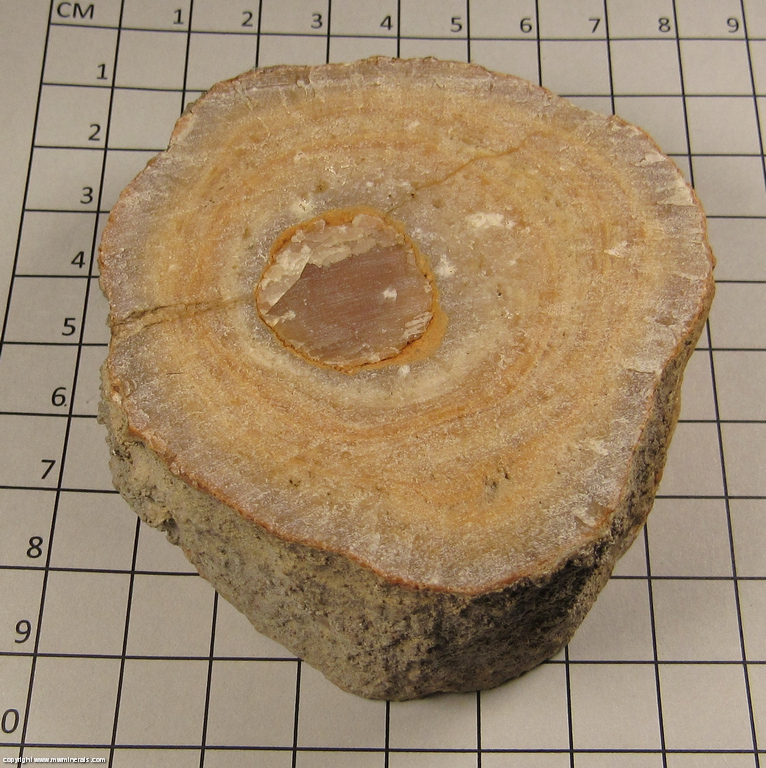 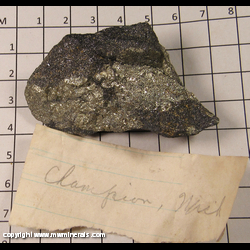 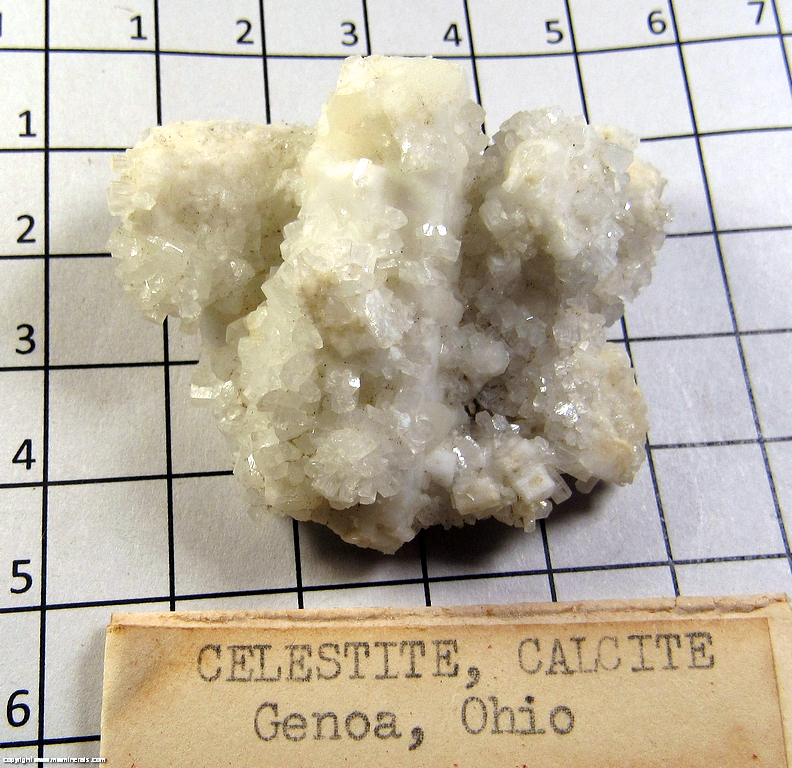 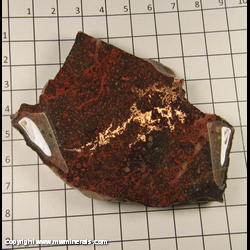 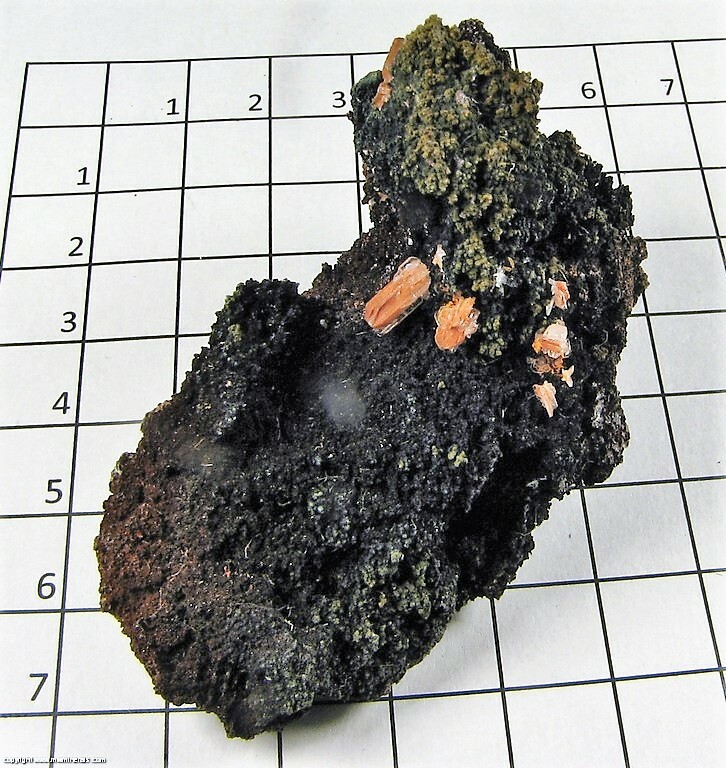 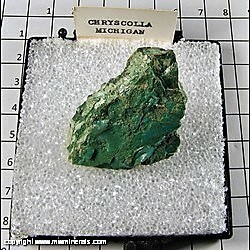 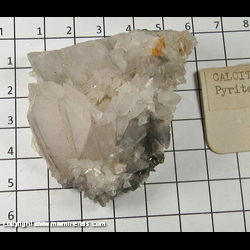 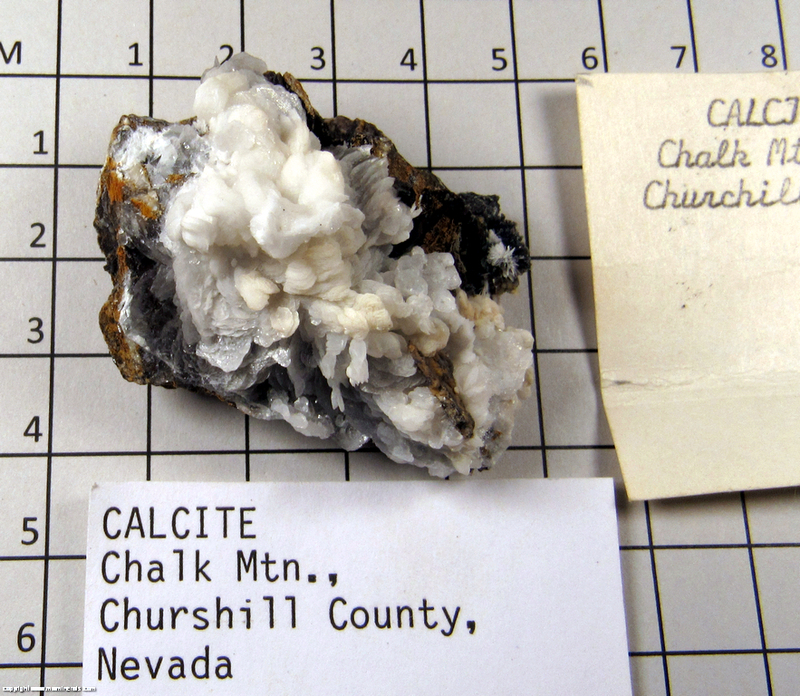 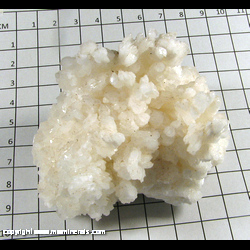 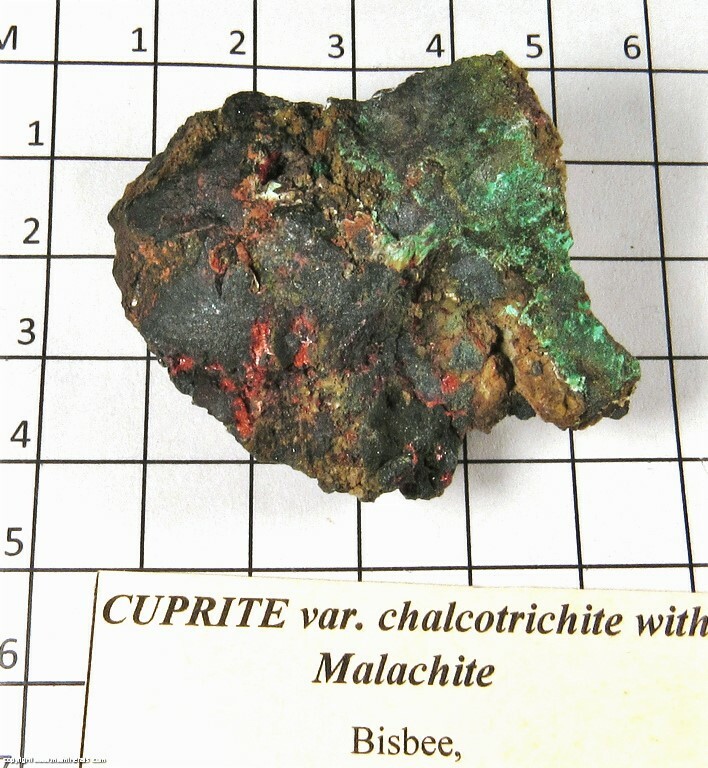 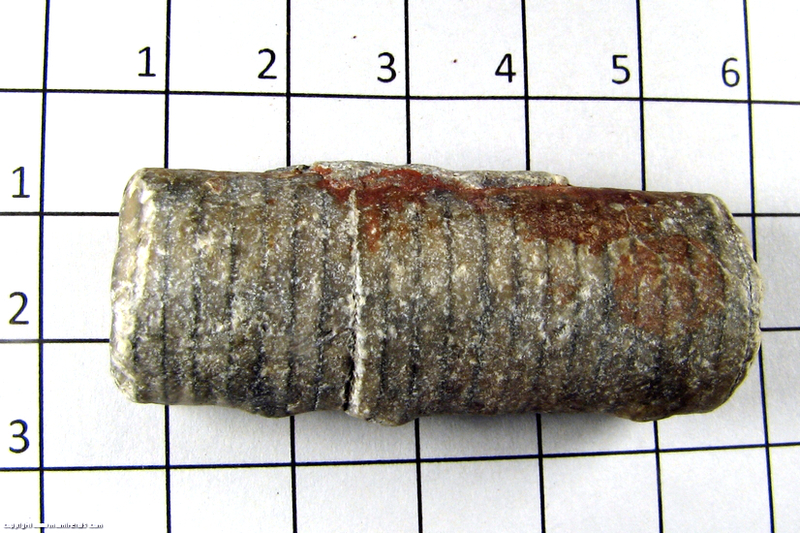 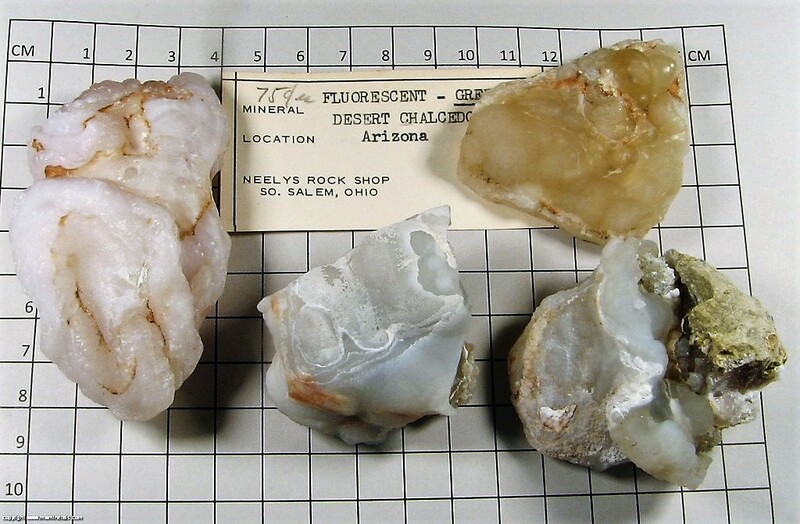 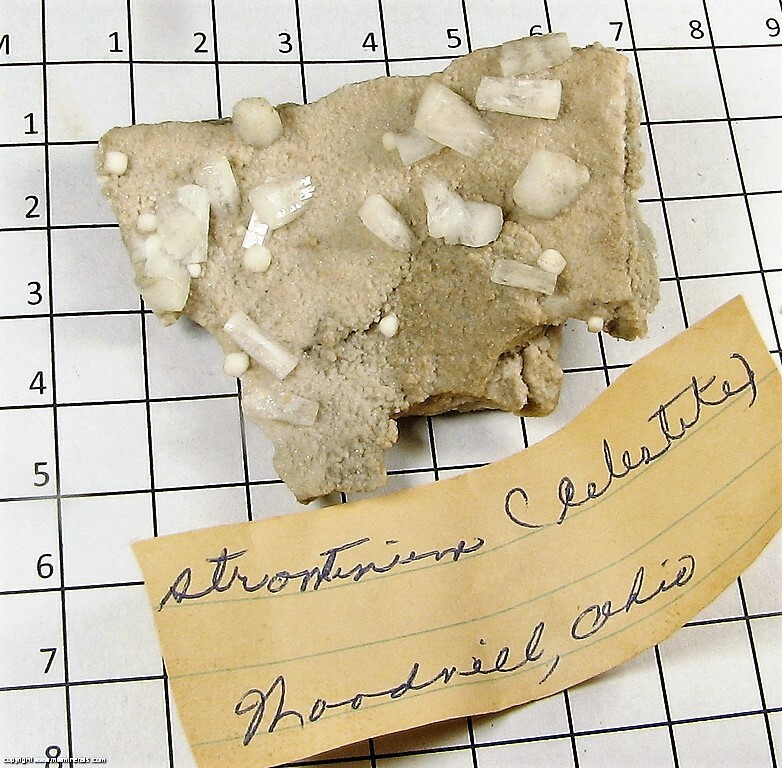 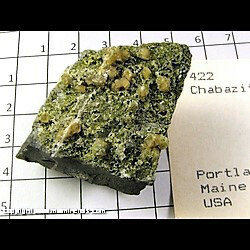 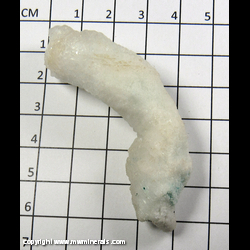 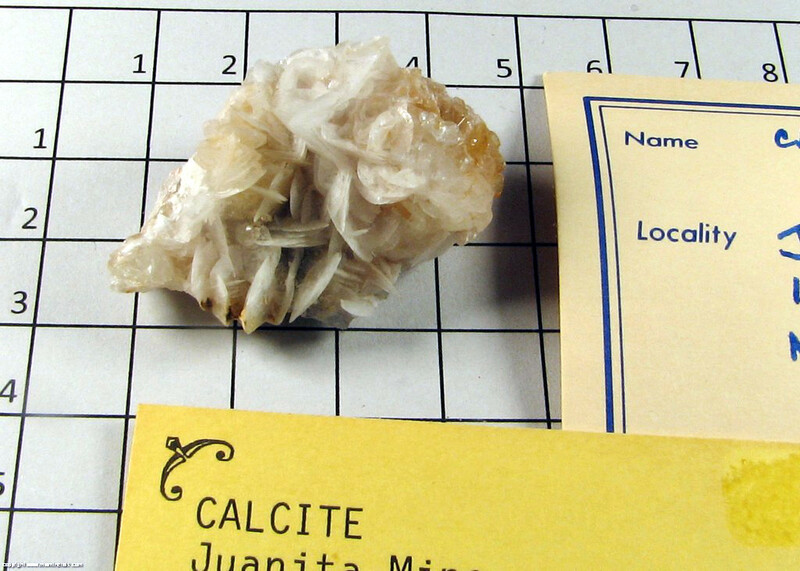 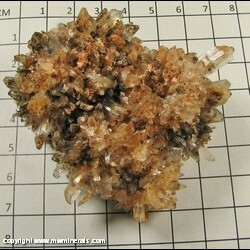 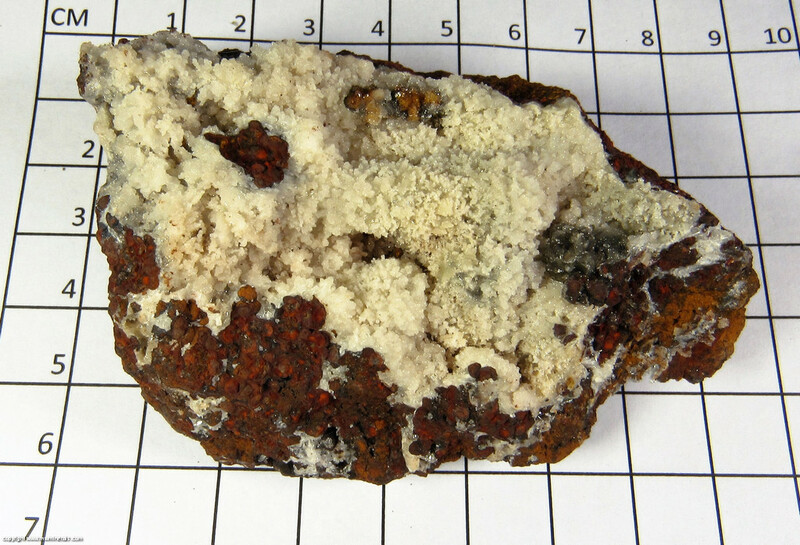 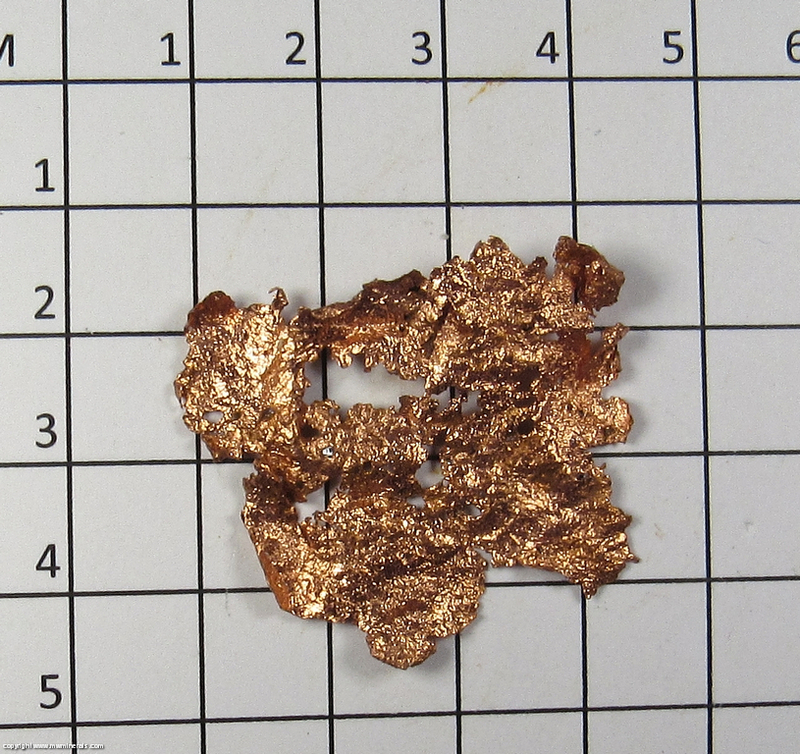 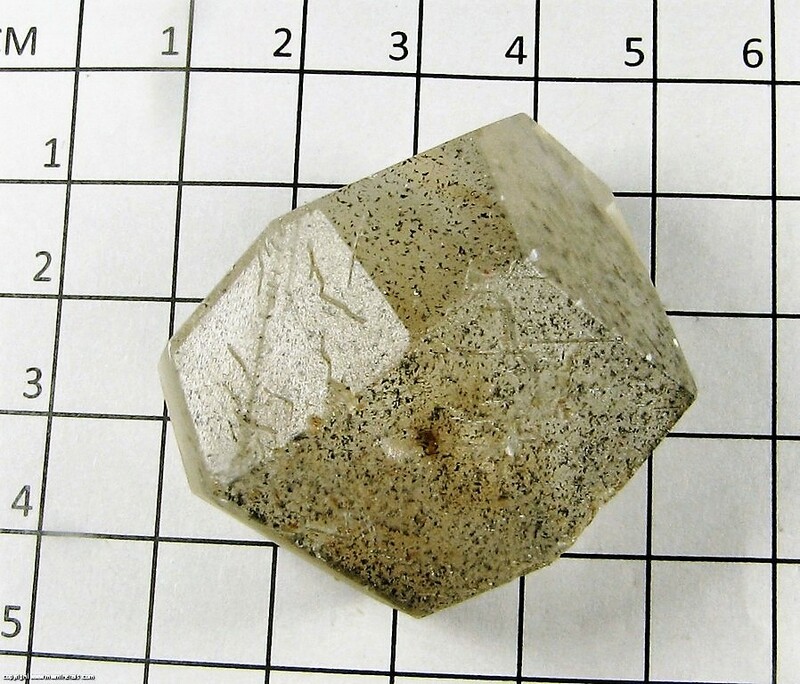 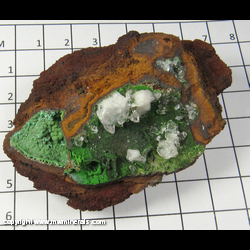 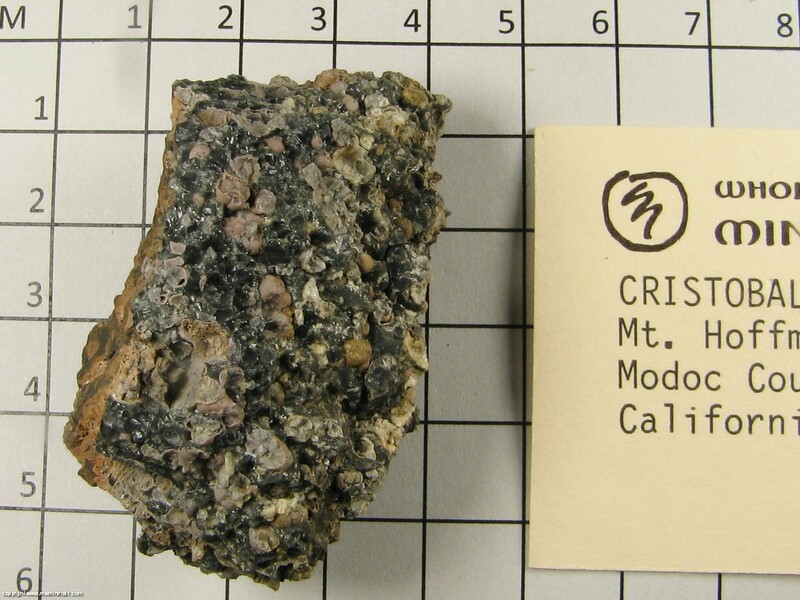 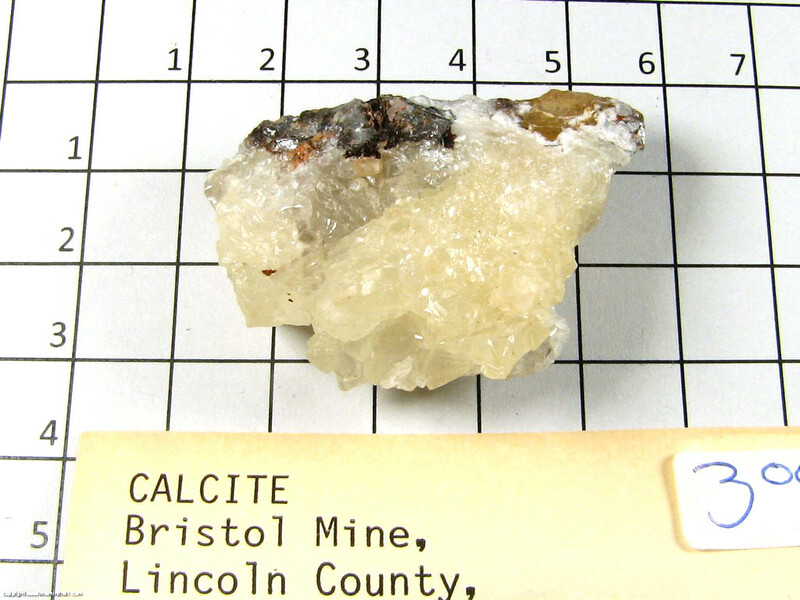 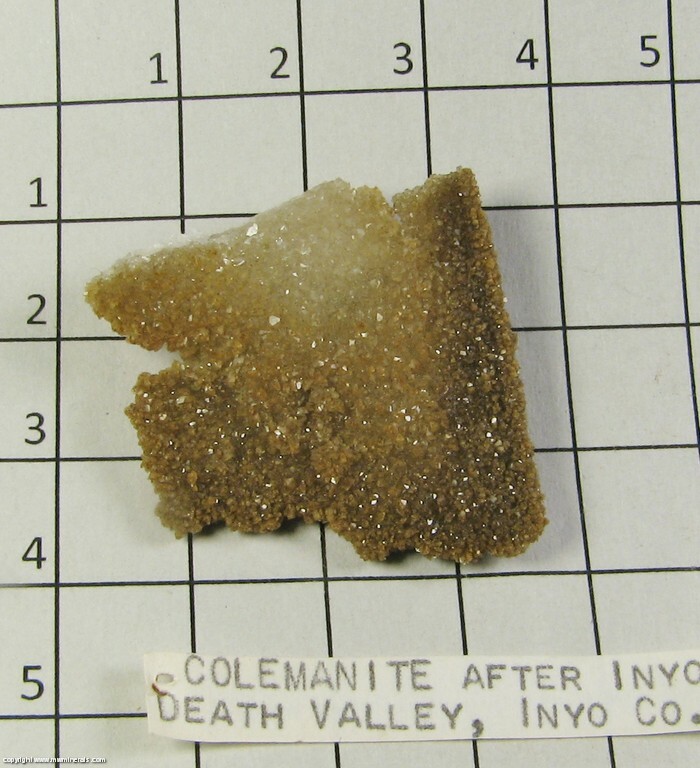 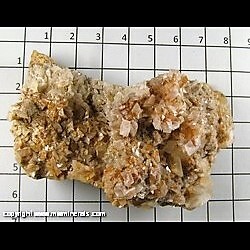 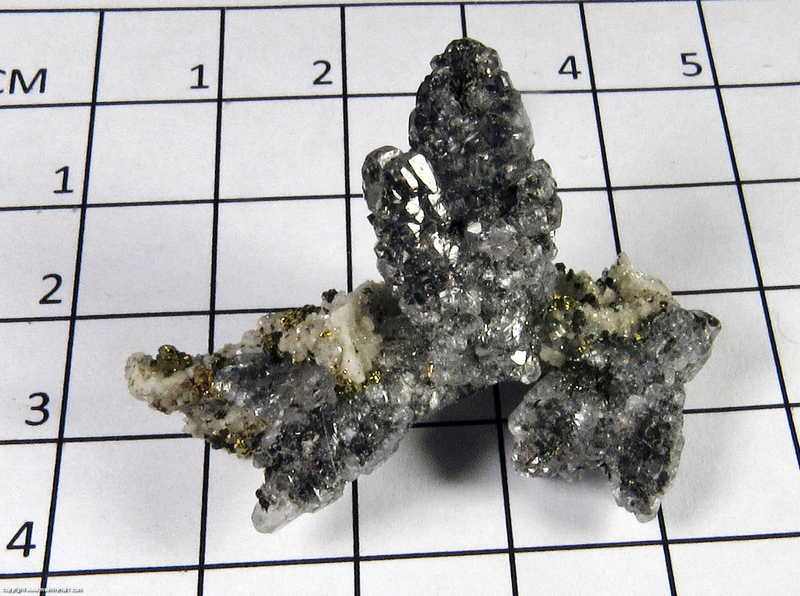 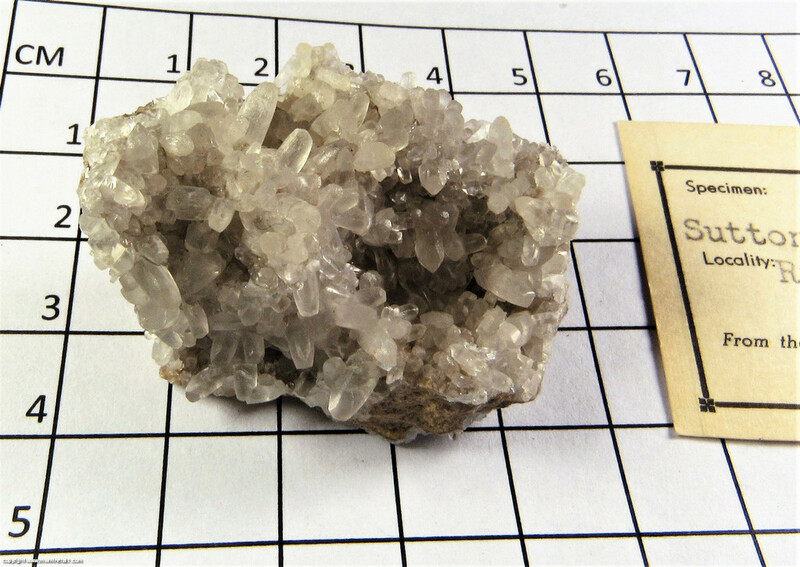 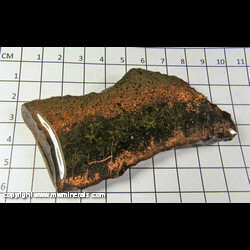 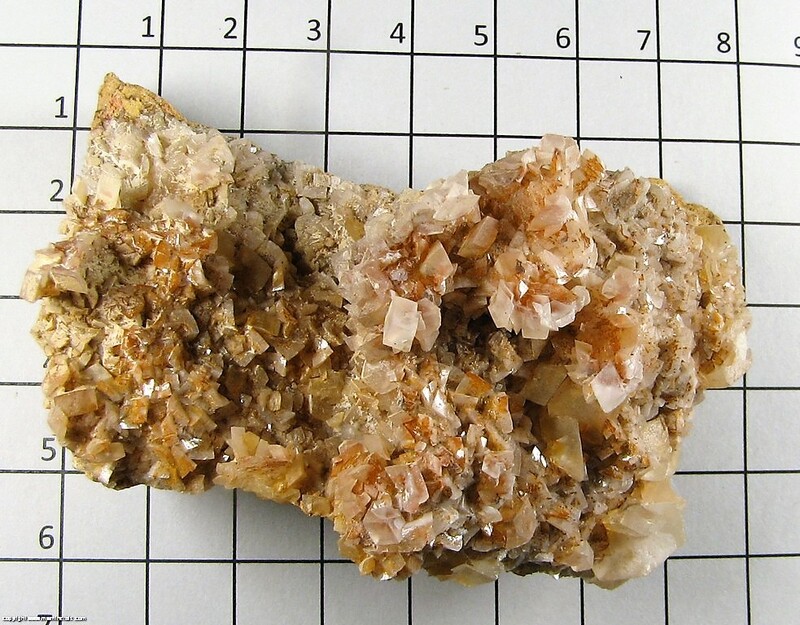 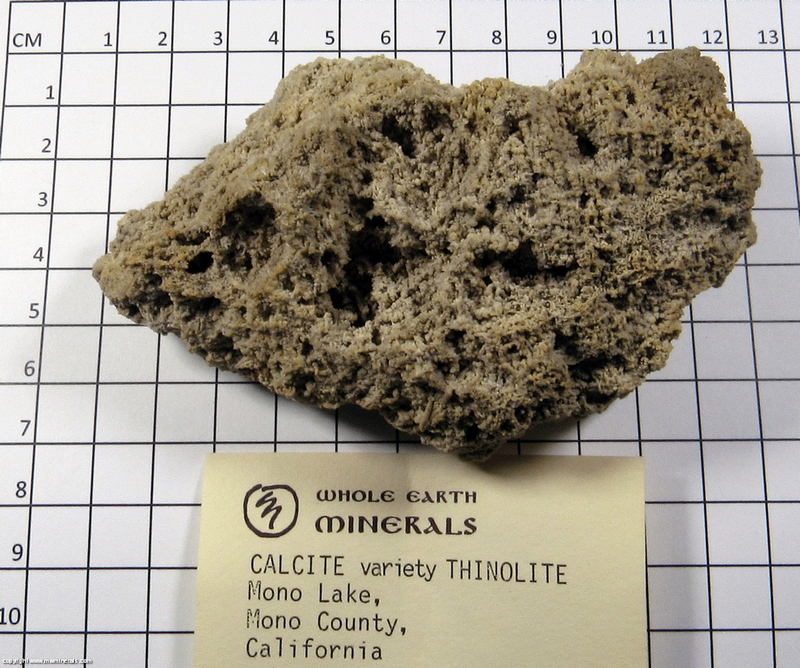 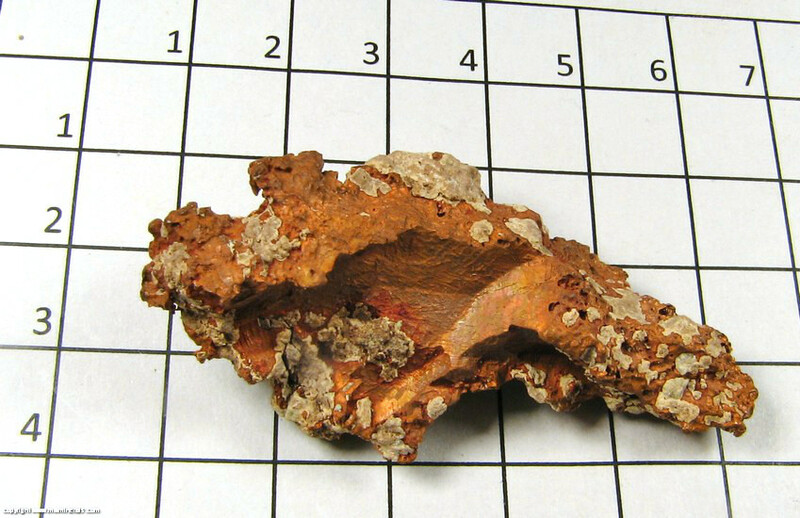 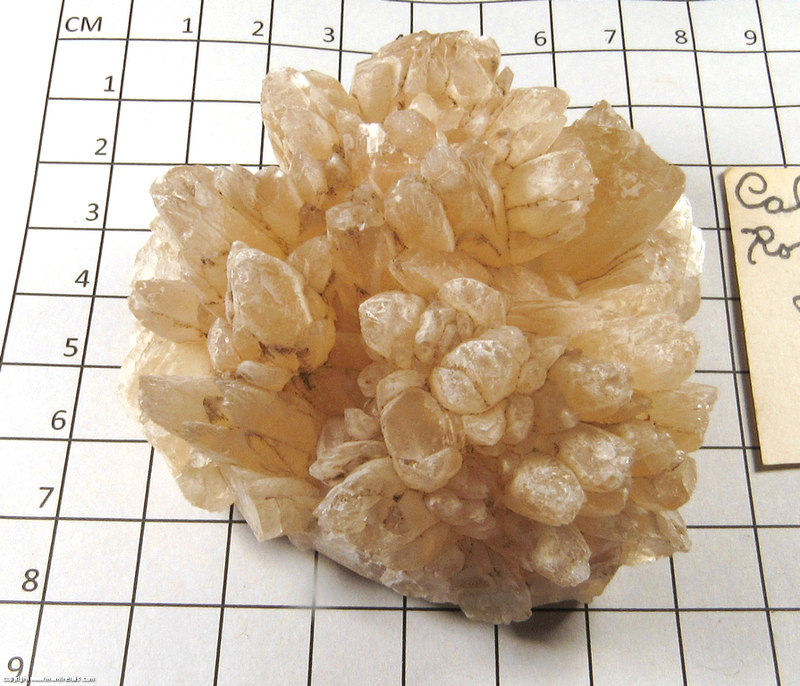 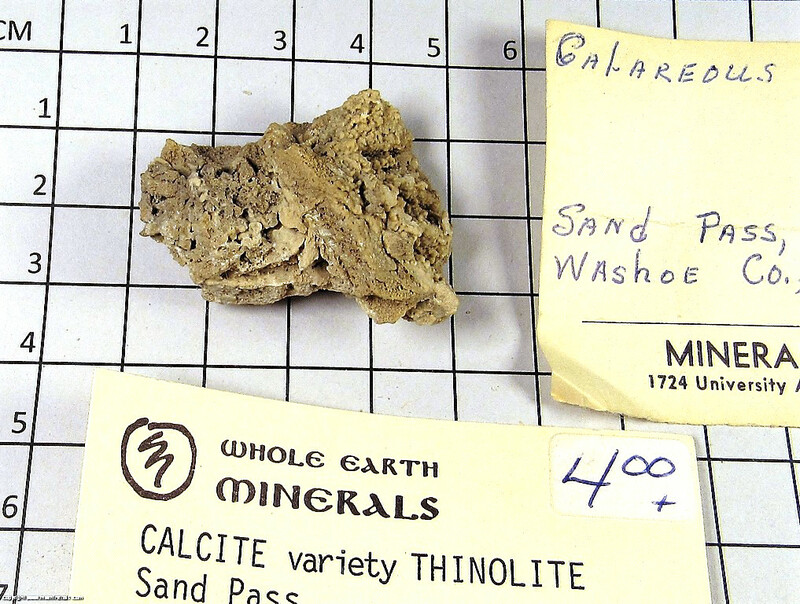 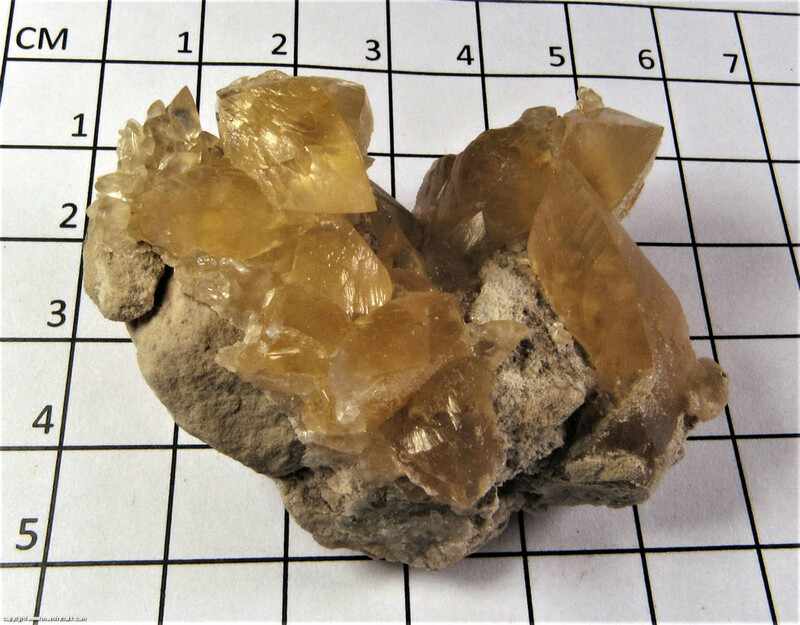 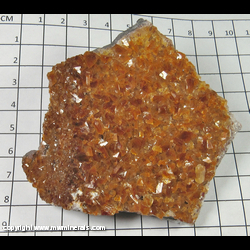 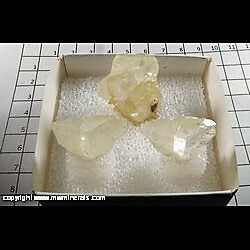 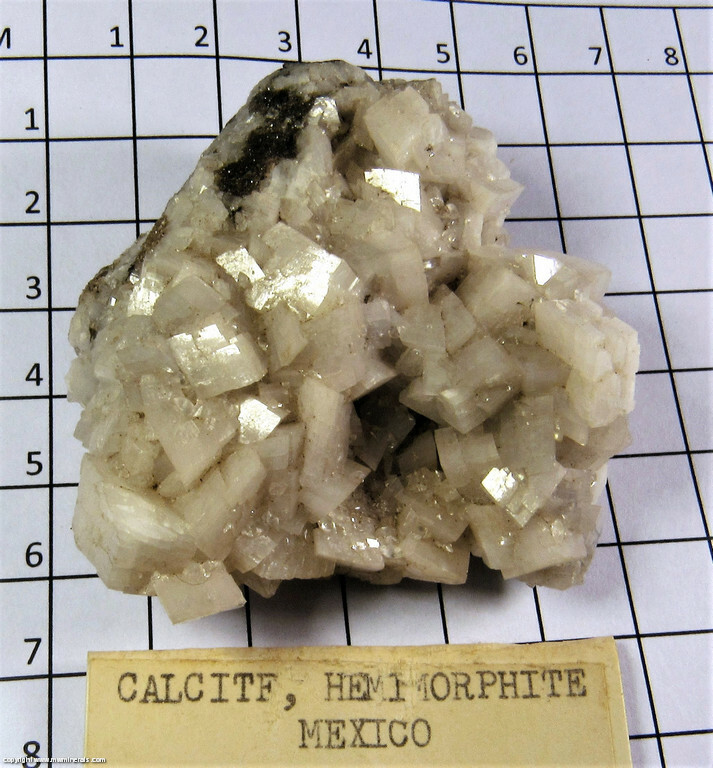 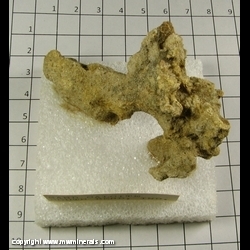 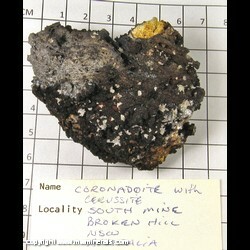 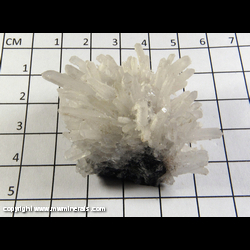 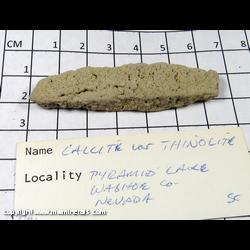 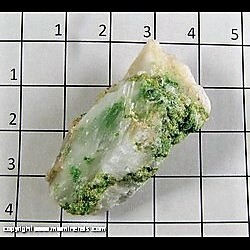 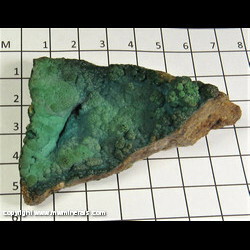 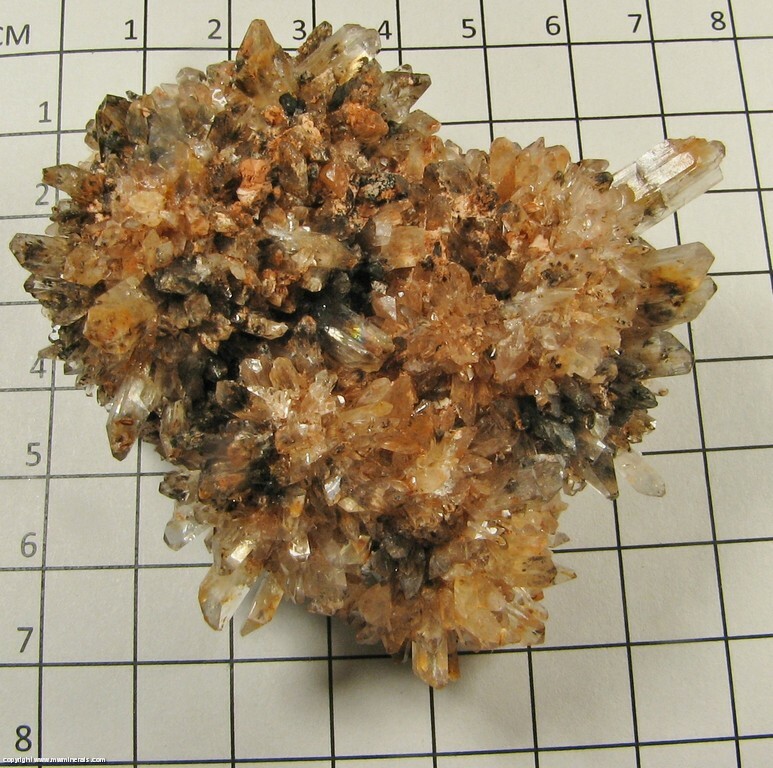 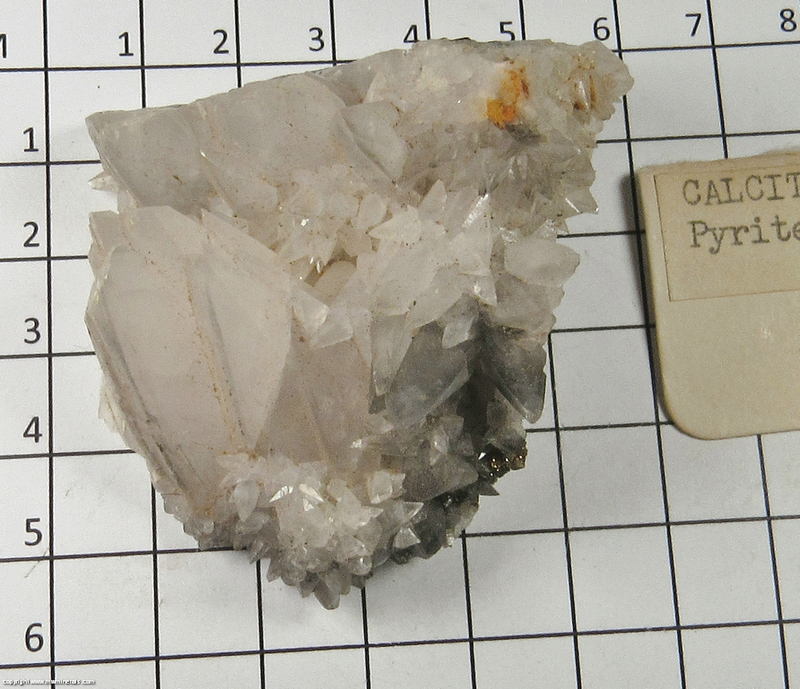 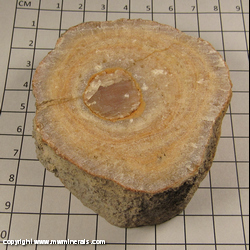 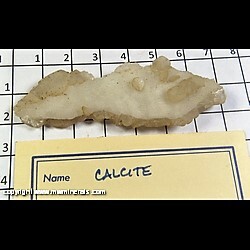 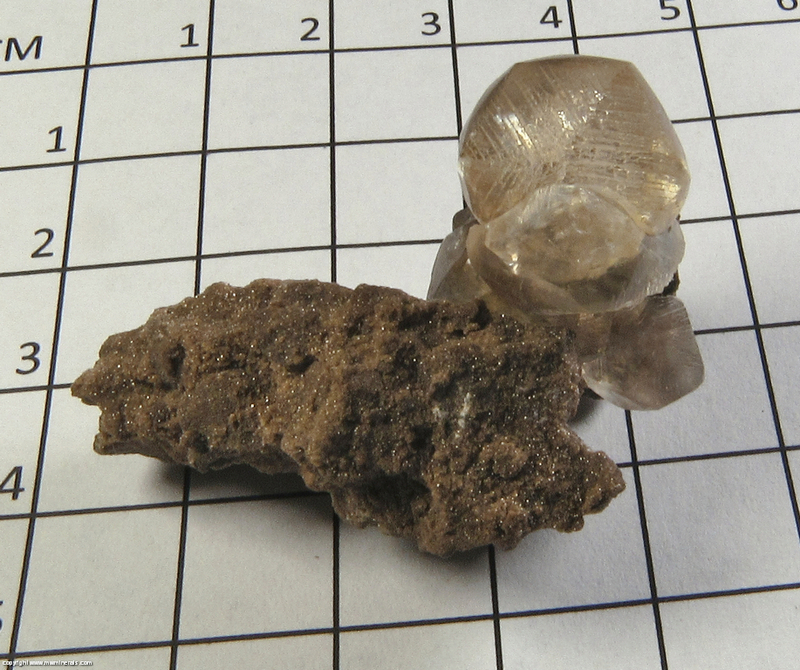 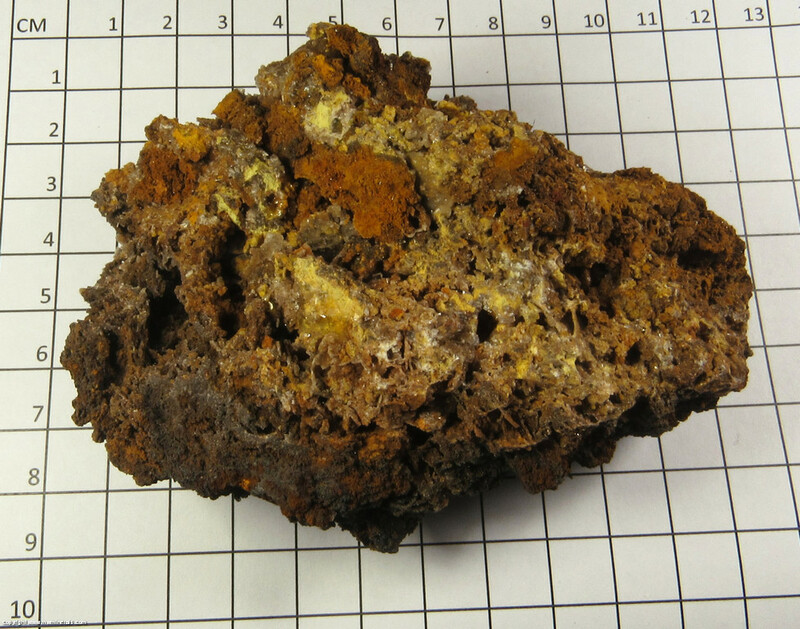 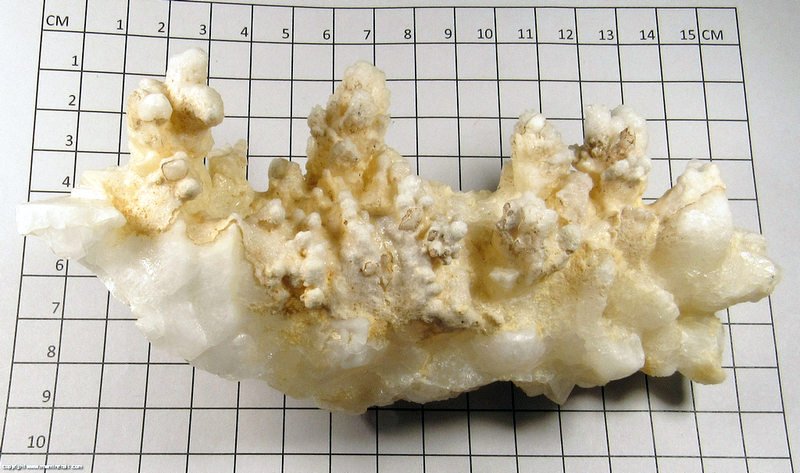 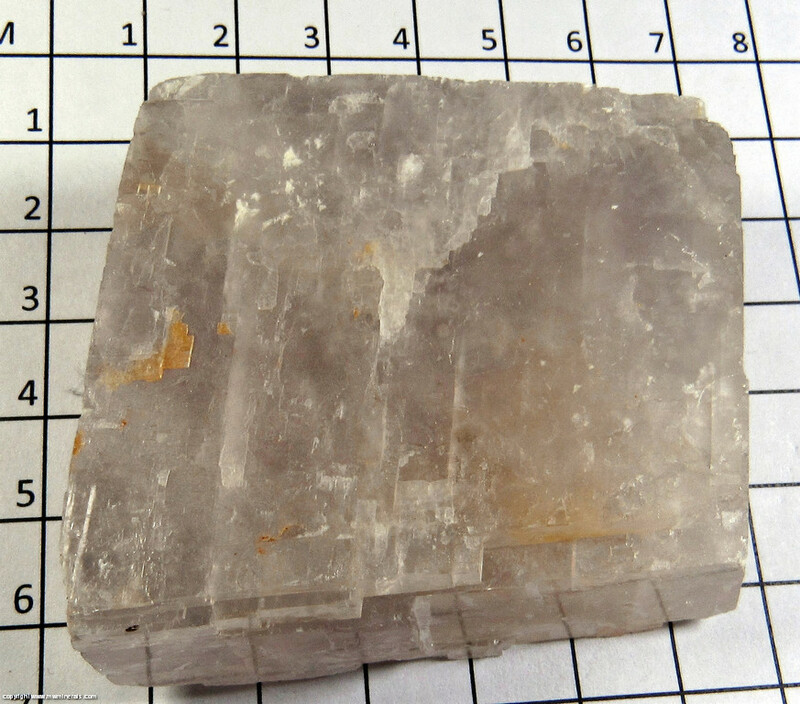 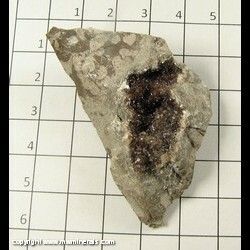 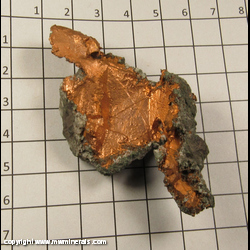 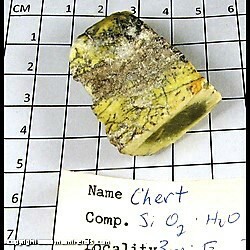 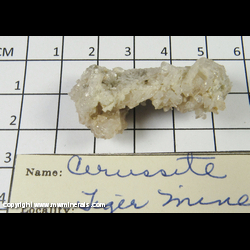 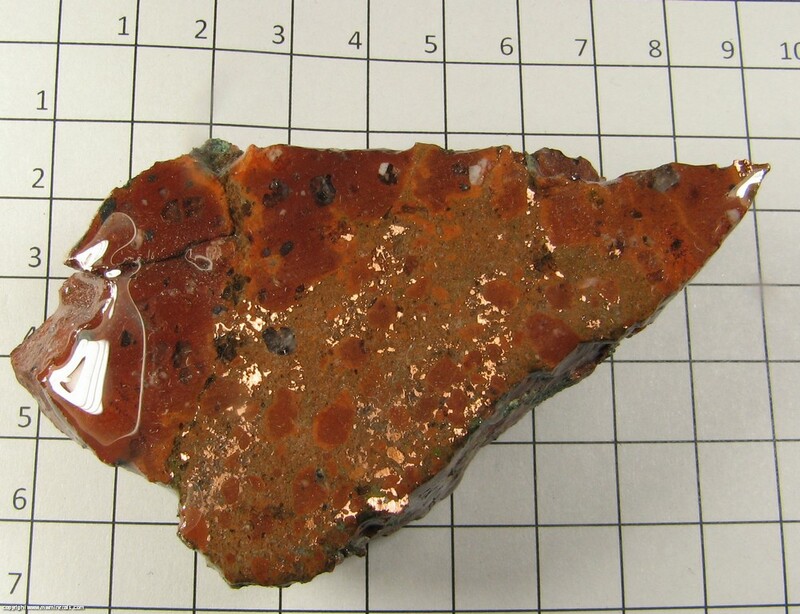 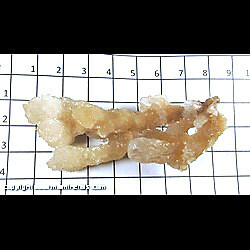 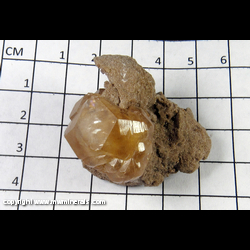 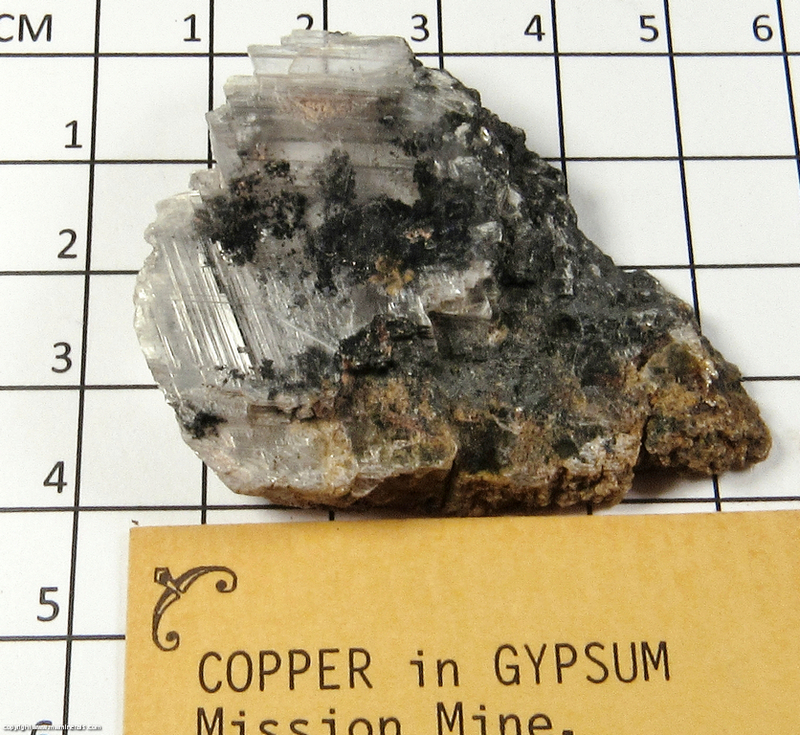 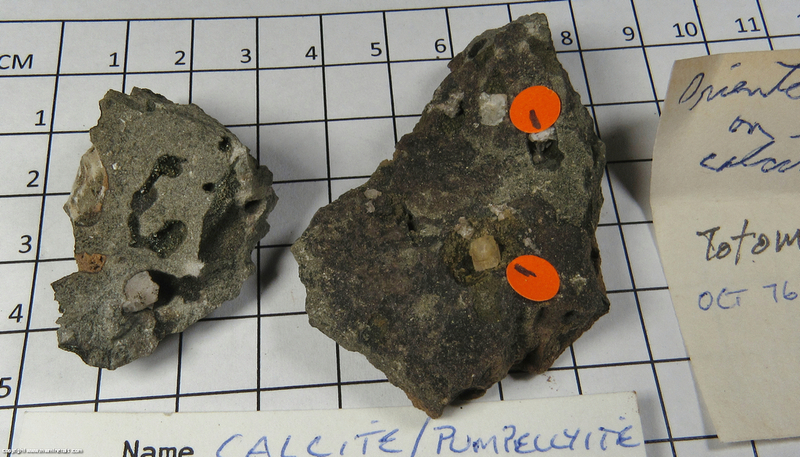 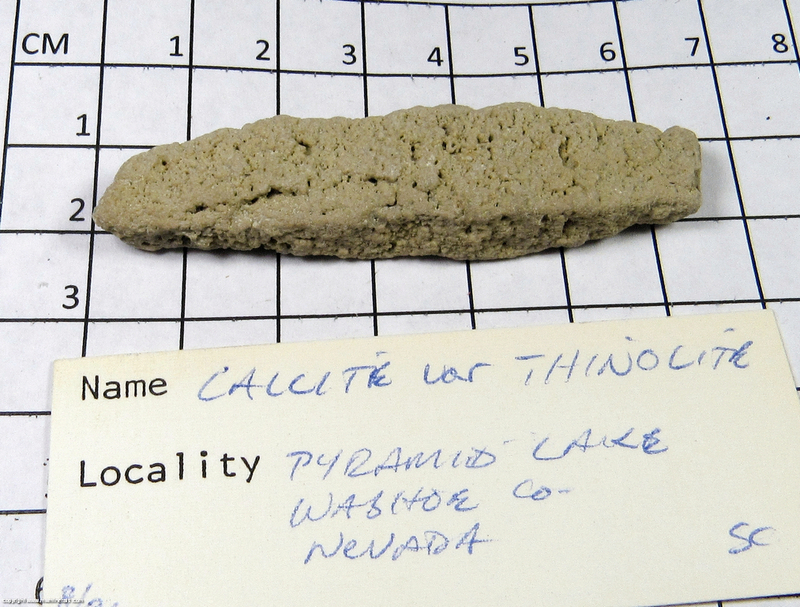 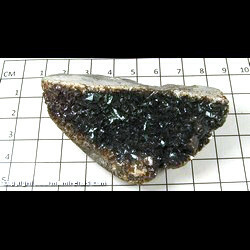 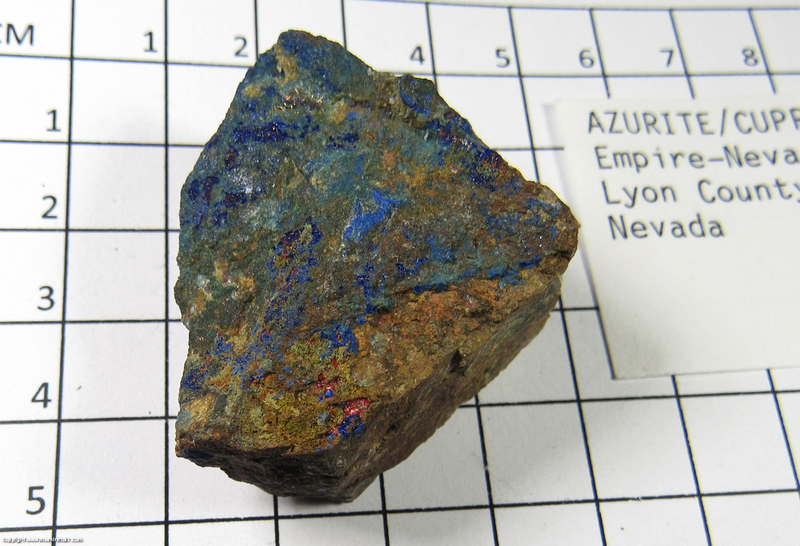 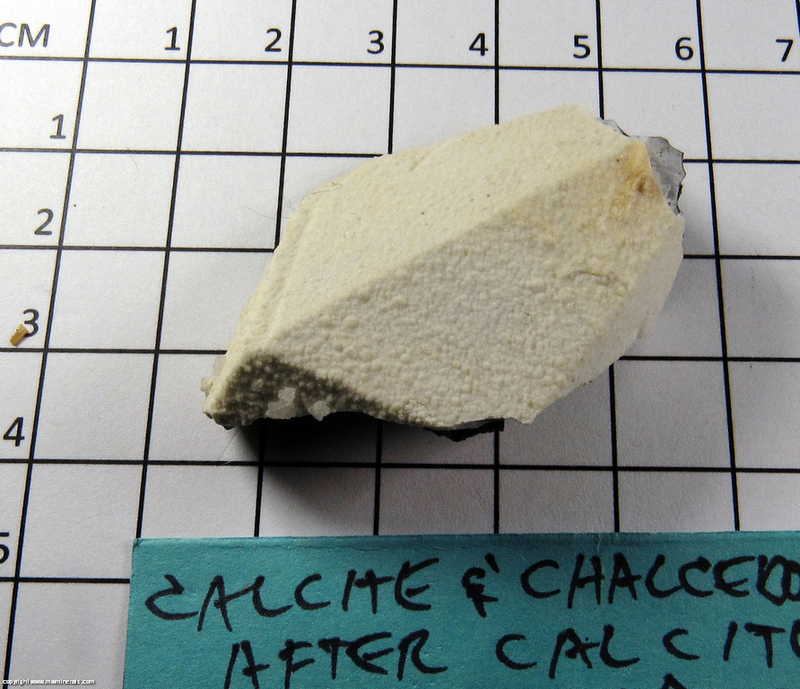 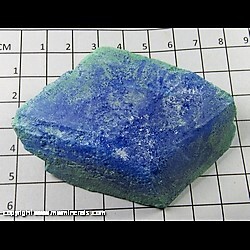 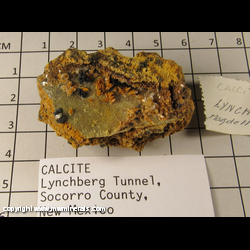 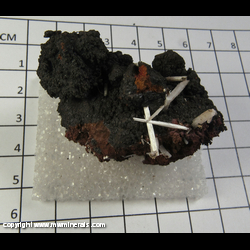 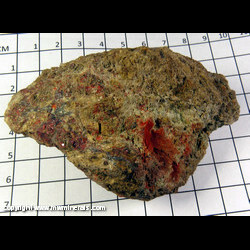 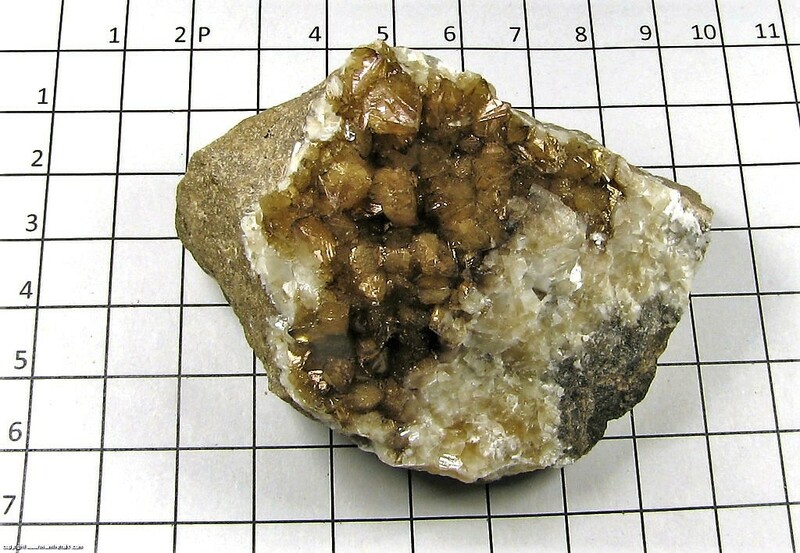 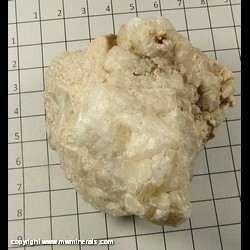 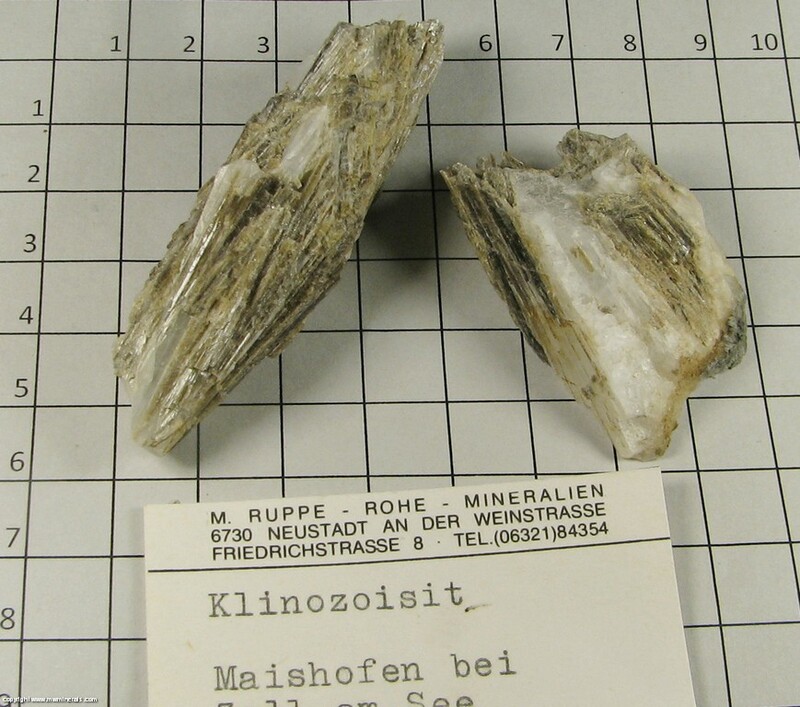 The purpose of these galeries is to make available inexpensive mineral specimens. 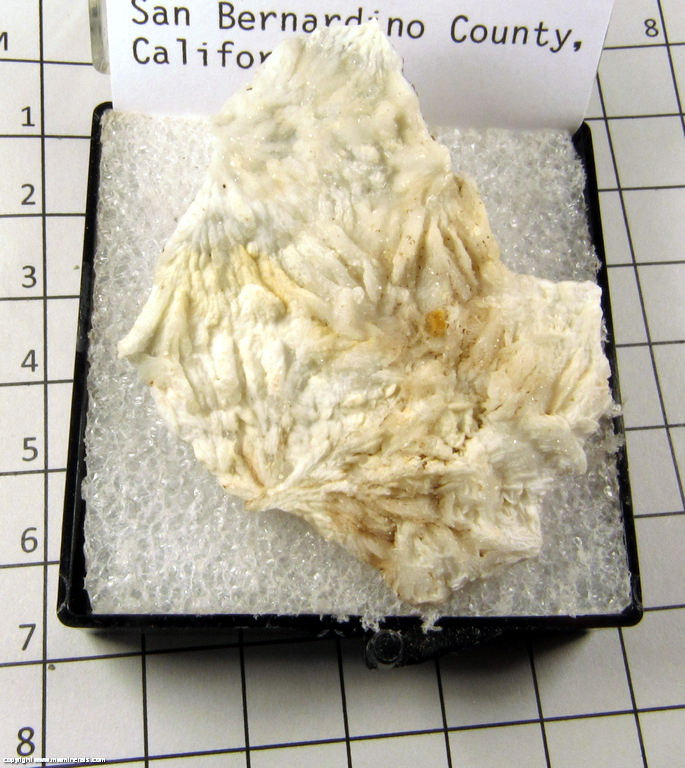 Because we buy a lot of collections, we often get quite a few specimens which while still very nice and desirable they do not command a high price. 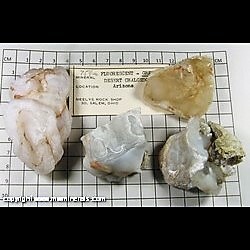 And unfortunately, the price does not allow for much time to be expended on presenting these specimens. 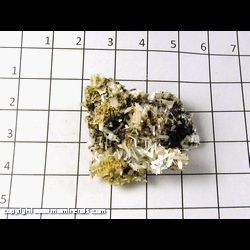 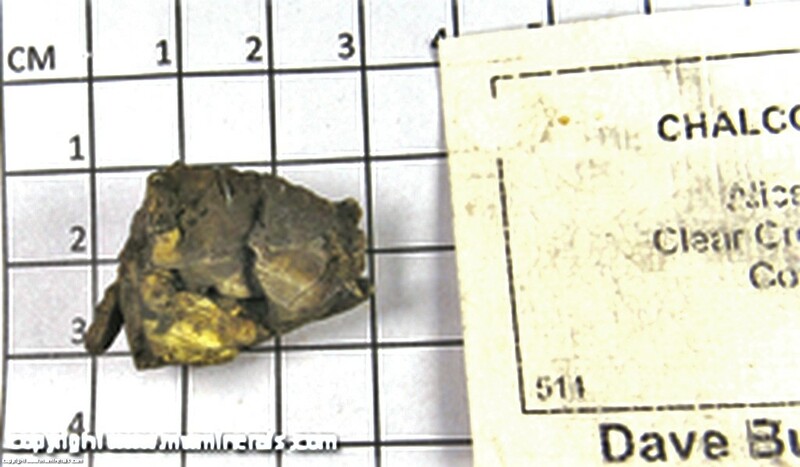 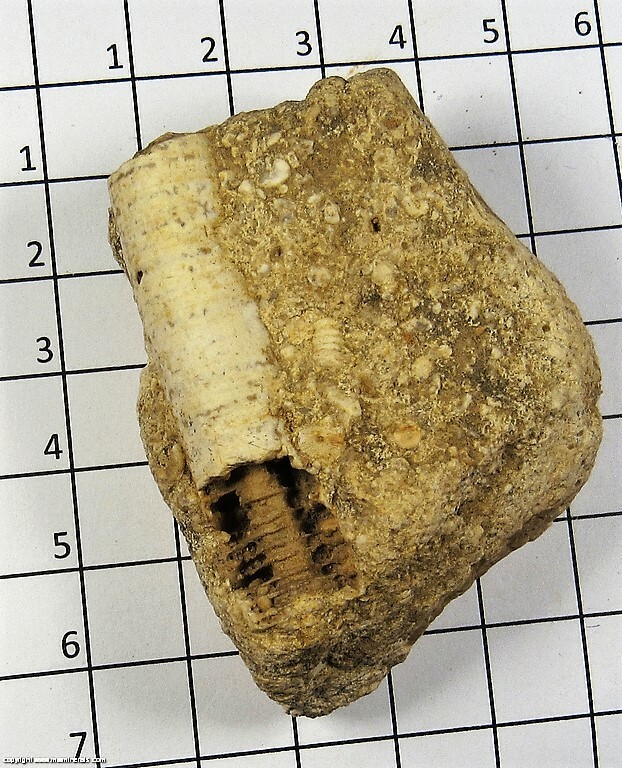 For this reason, there is only one photo of each specimen (click on the photo in the gallery to see a larger image). 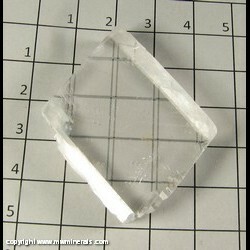 Size can be determined by the grid in each photo which is composed of 1 cm squares. 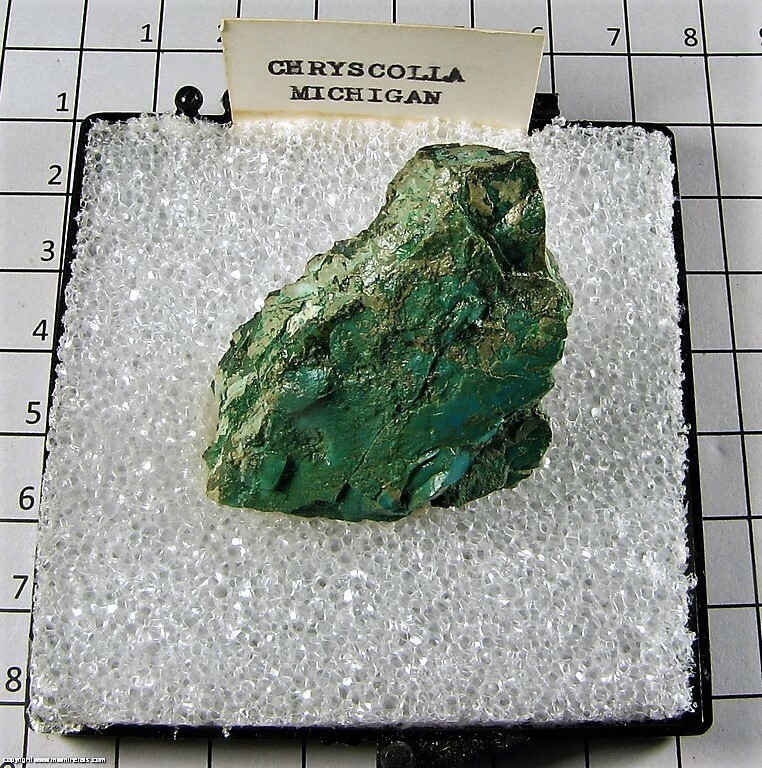 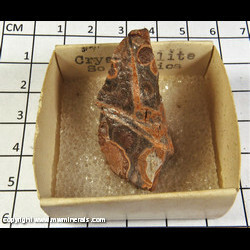 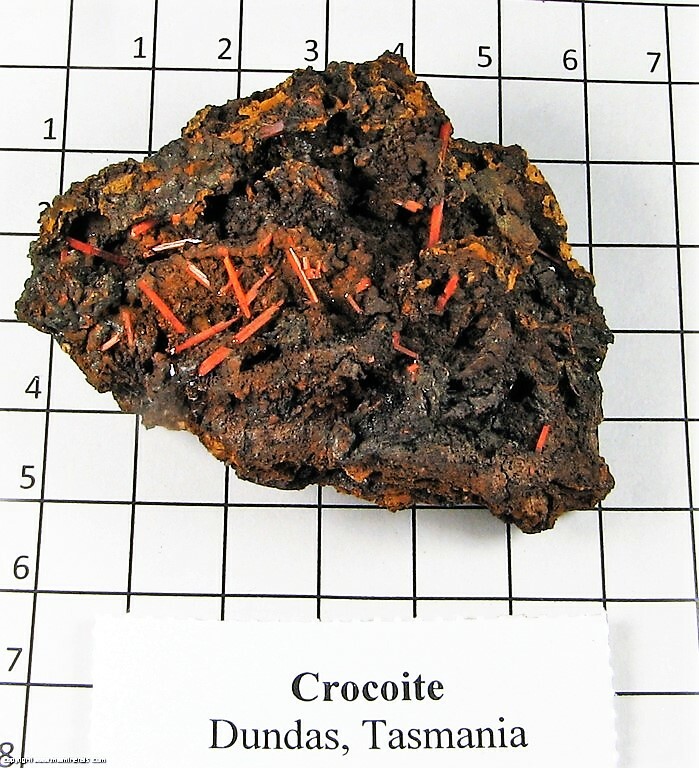 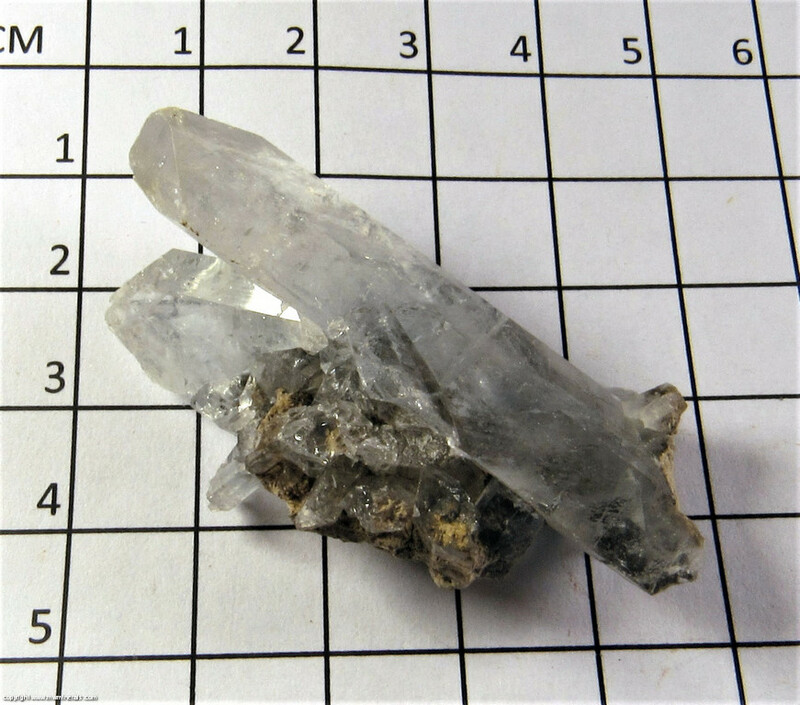 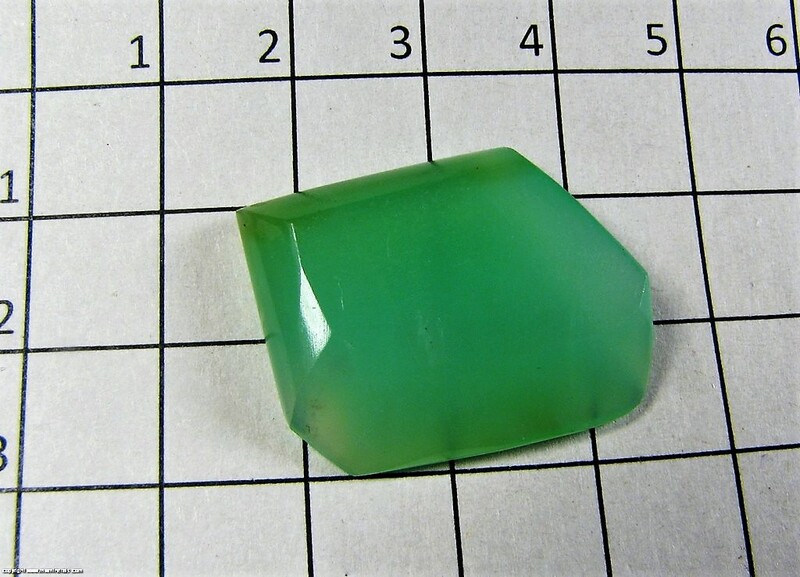 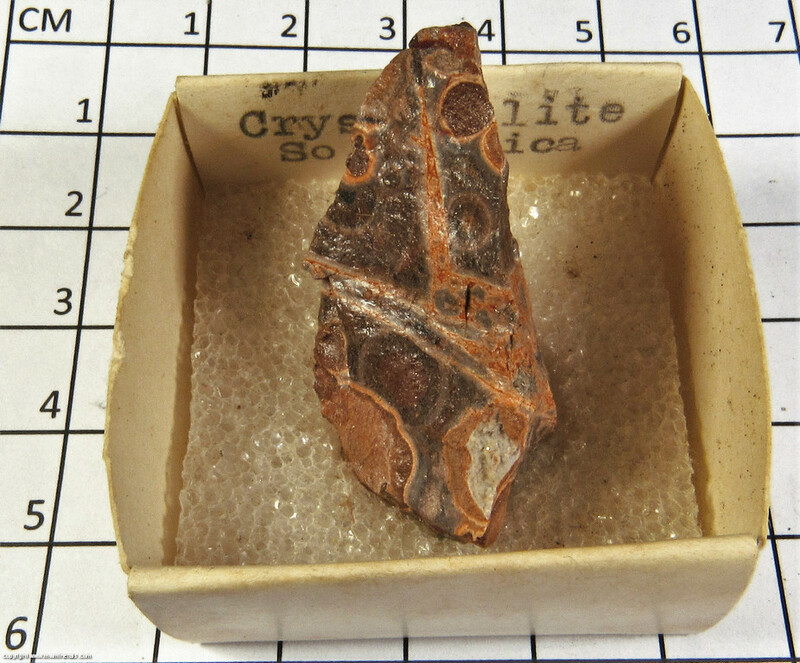 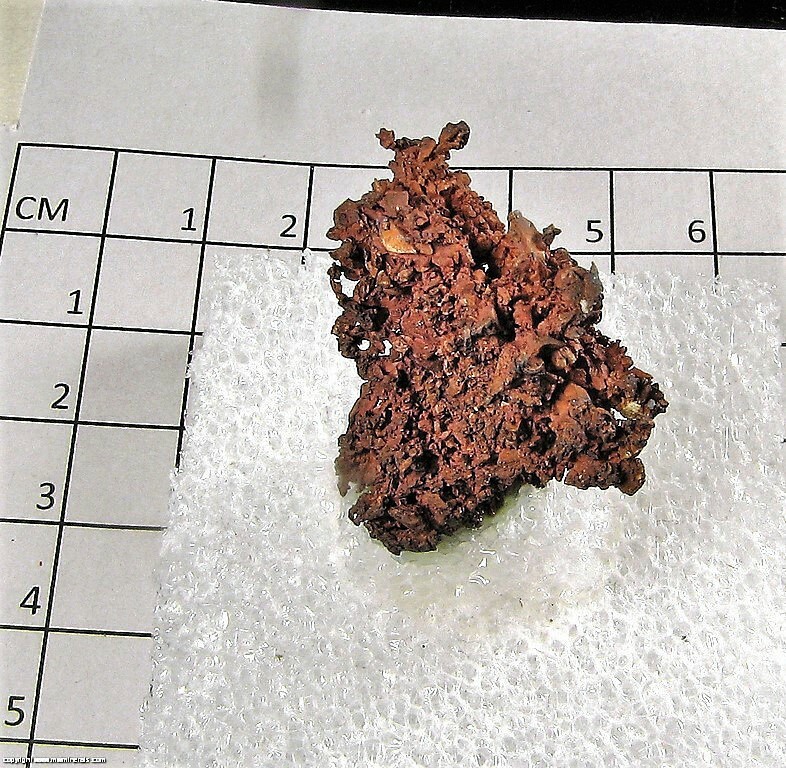 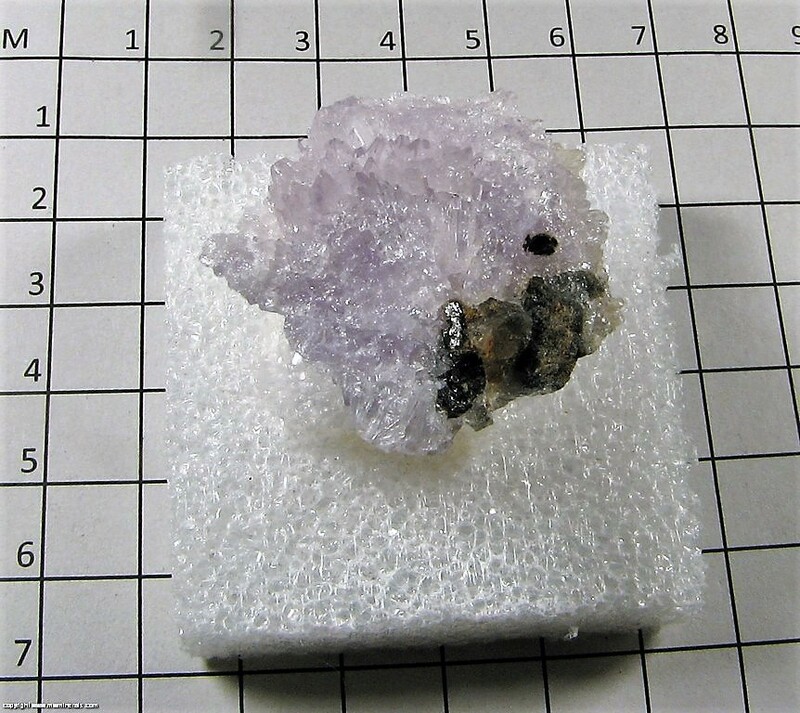 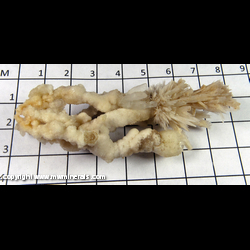 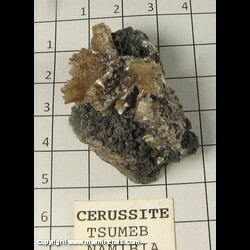 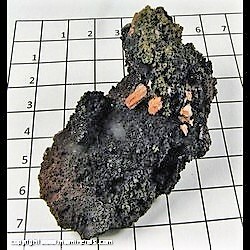 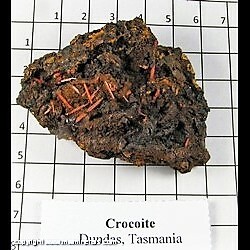 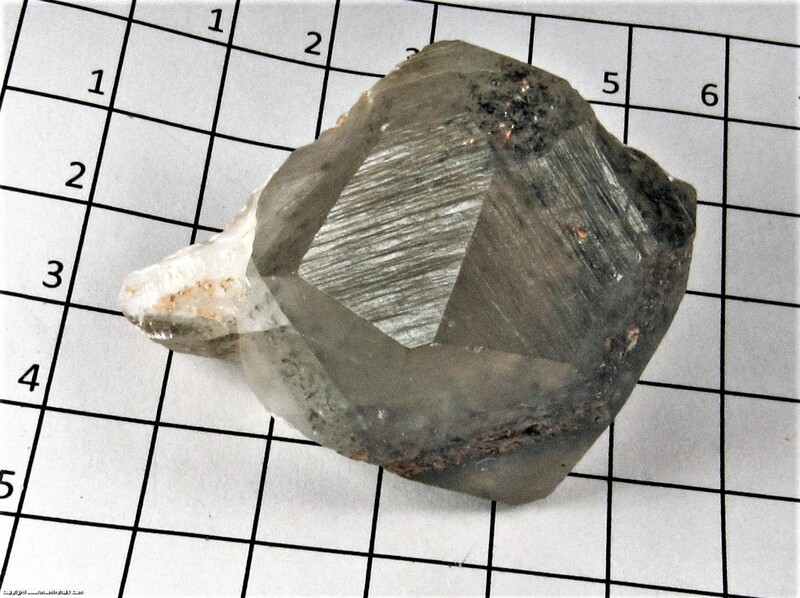 These specimens are priced at very reasonable prices, so please do not ask for additional photos or detailed information; unfortunately, there just is not enough time to answer. 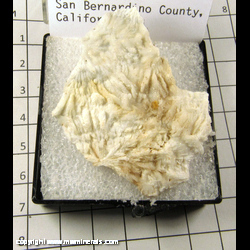 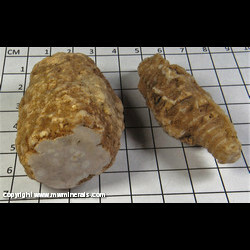 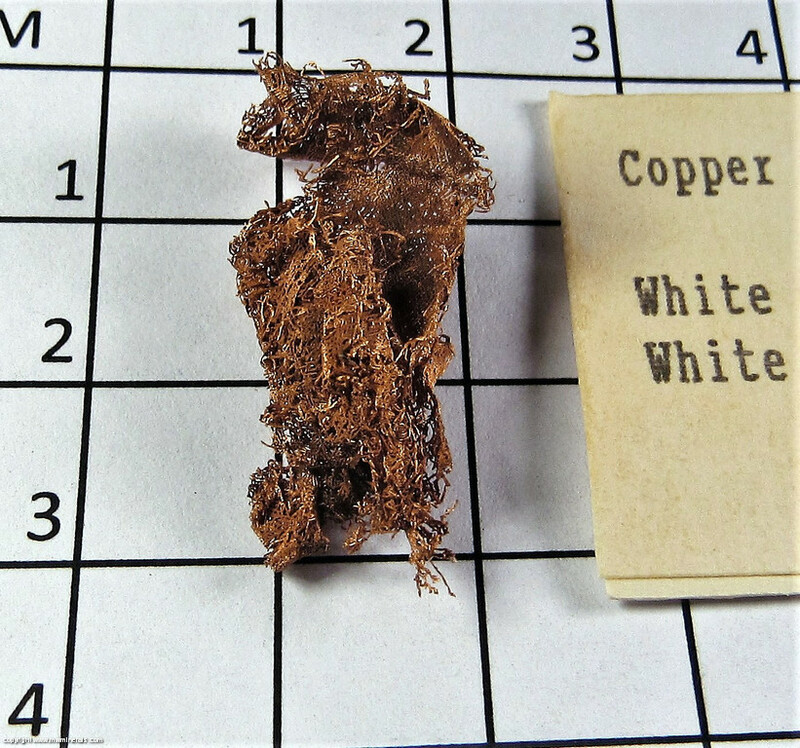 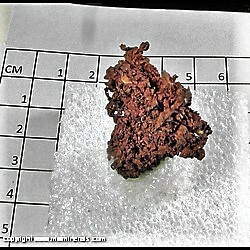 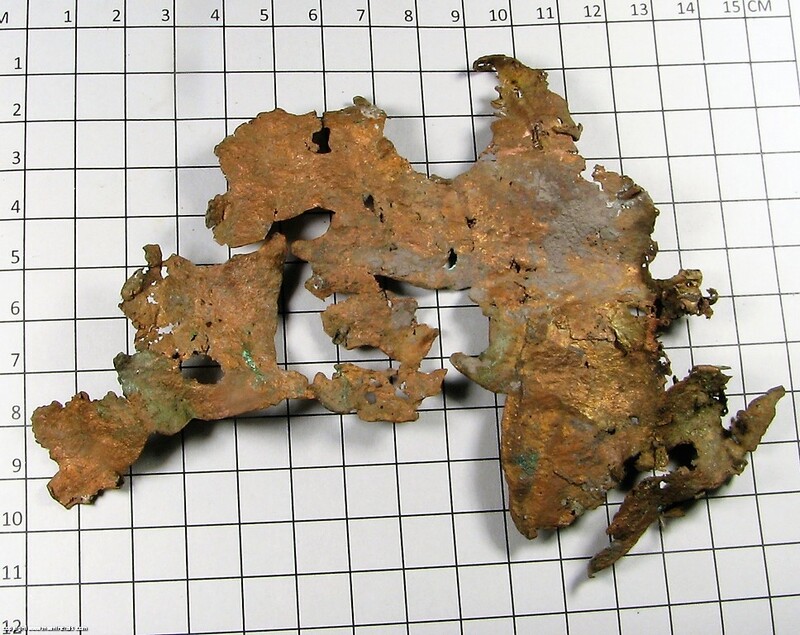 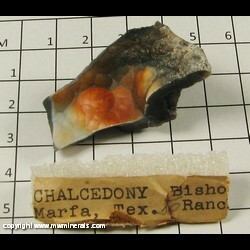 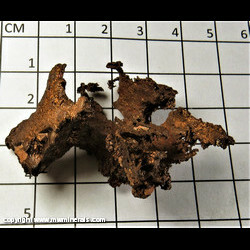 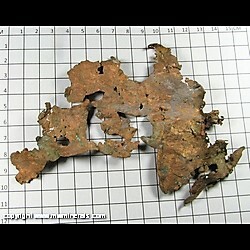 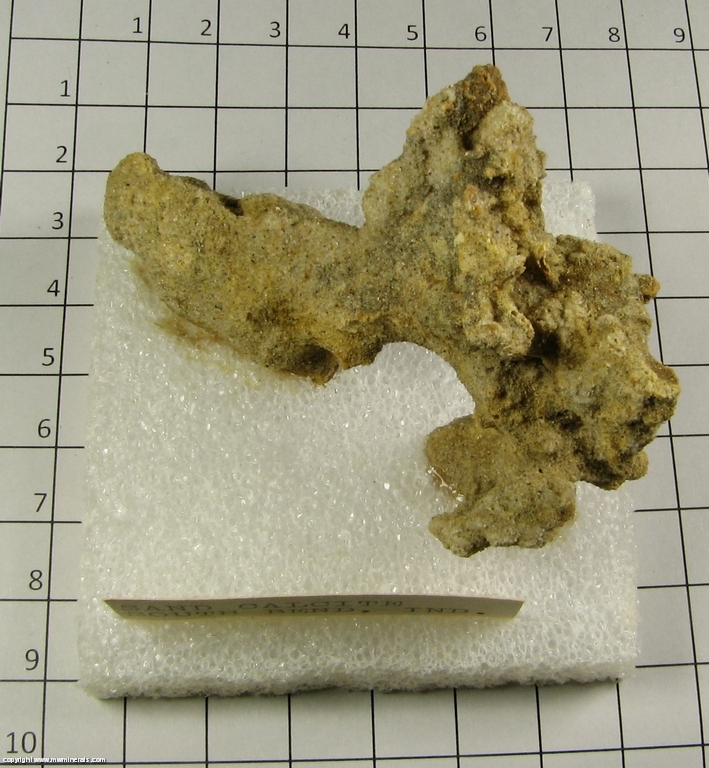 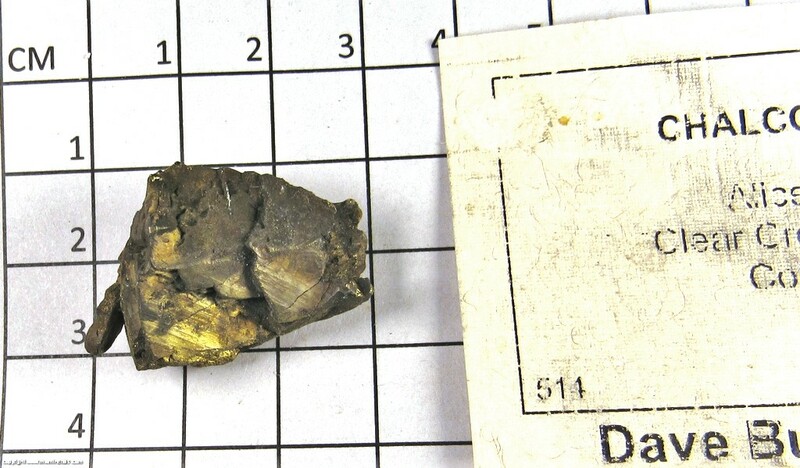 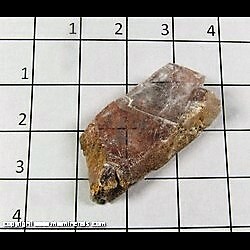 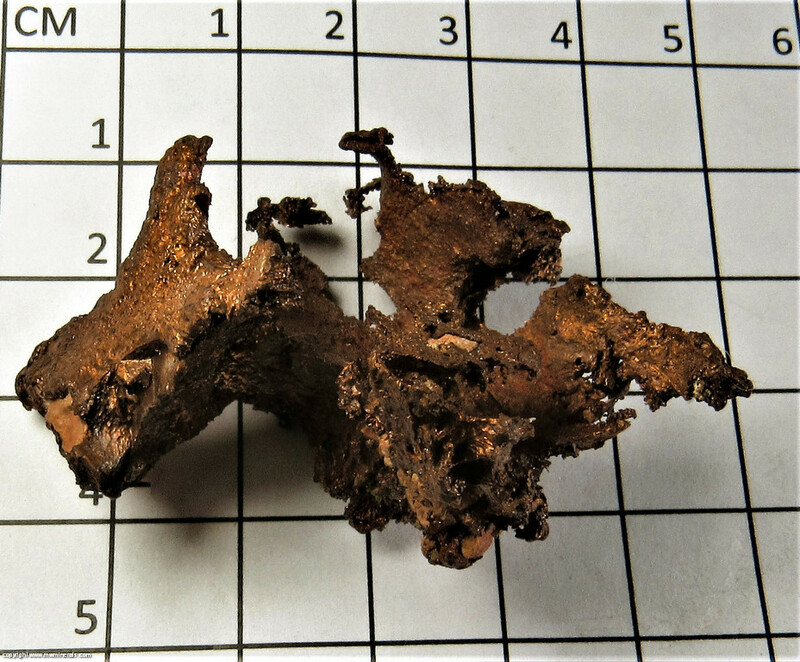 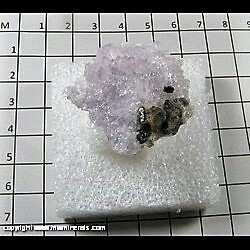 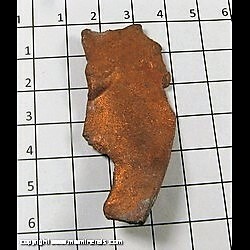 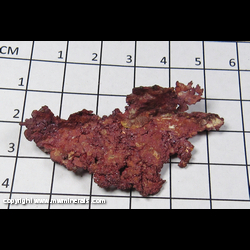 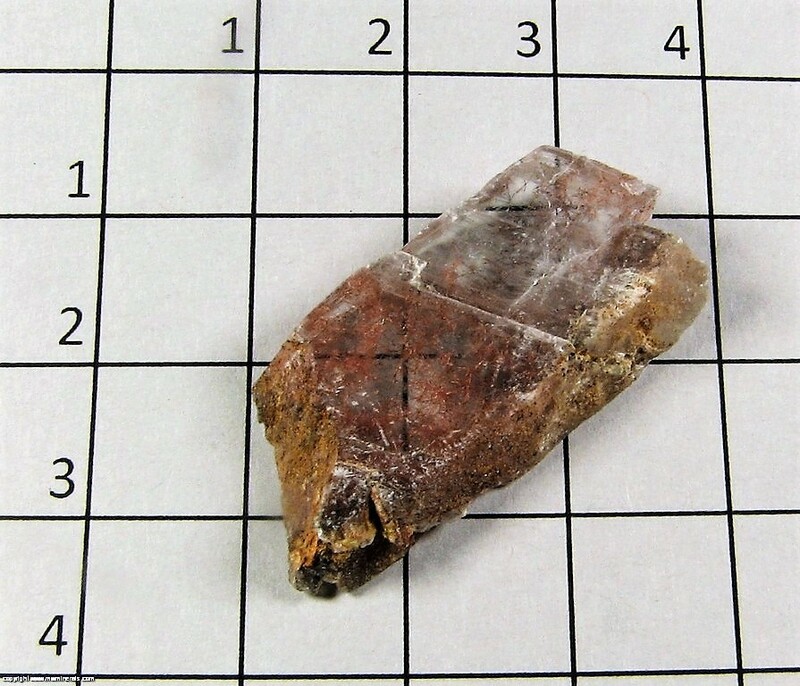 As far as quality and damage on the specimens, this has been taken into consideration as per the price. If there is damage, it should be visible in the photos or in some cases damage will be mentioned.